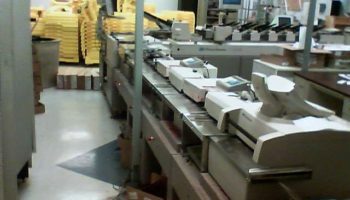 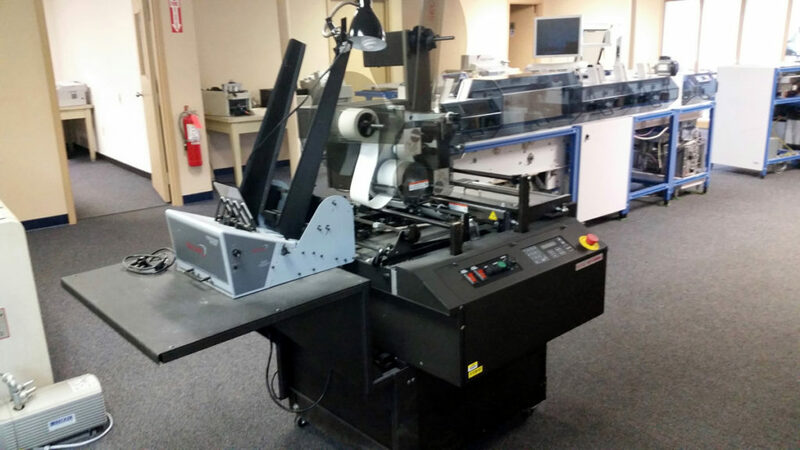 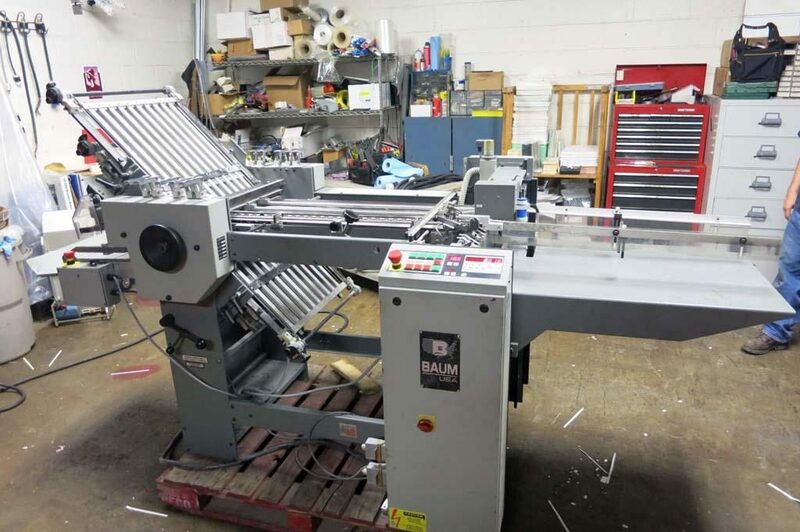 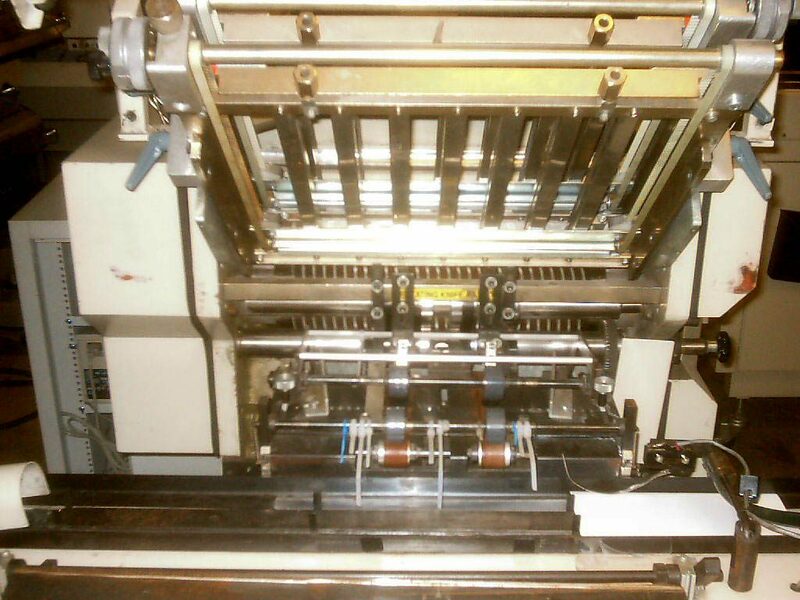 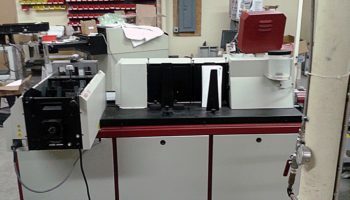 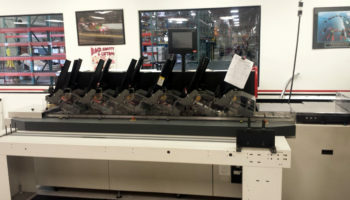 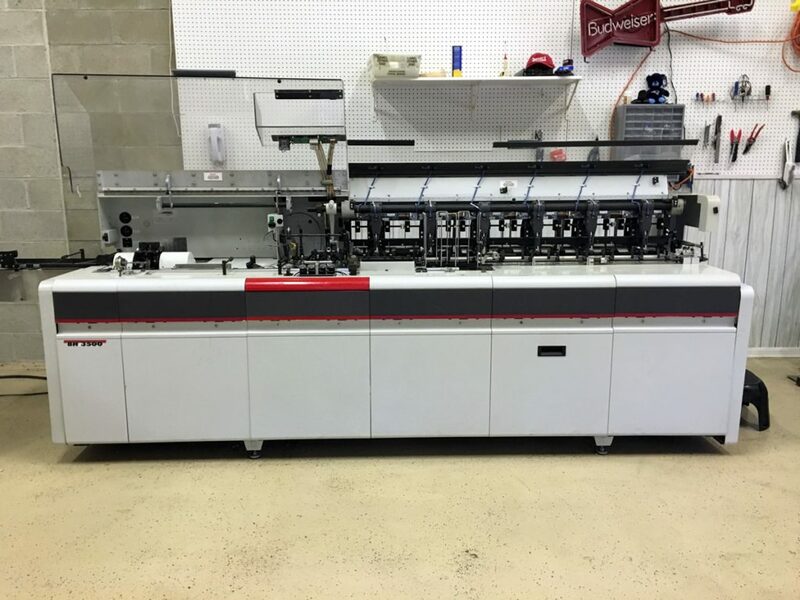 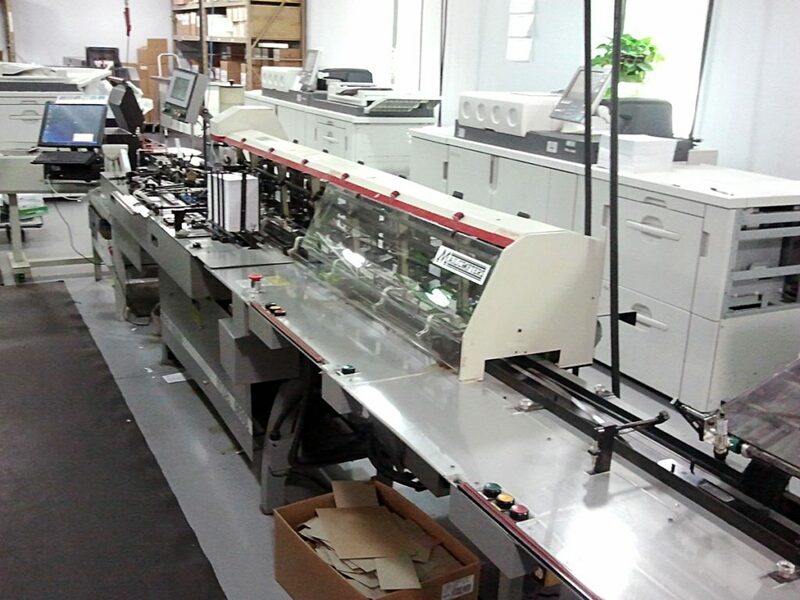 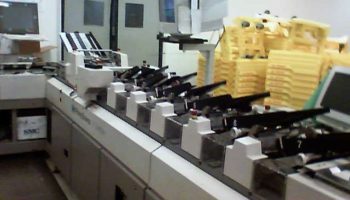 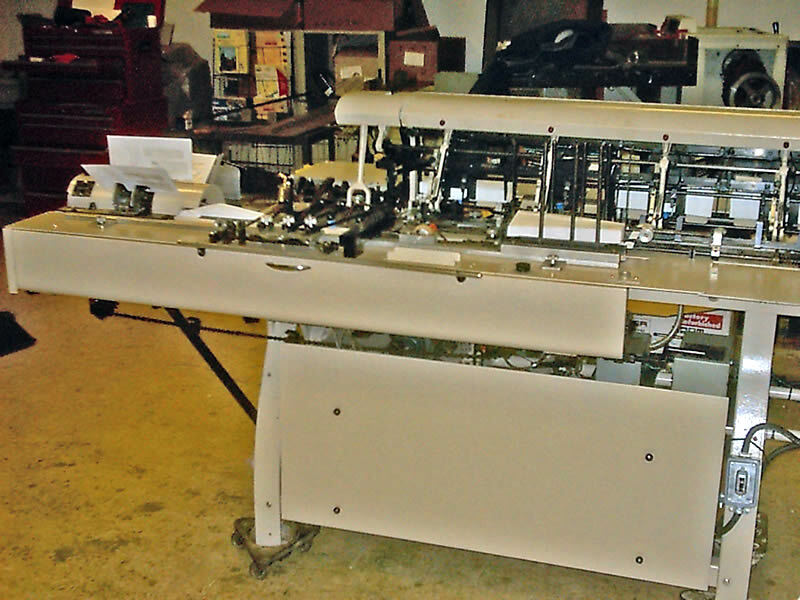 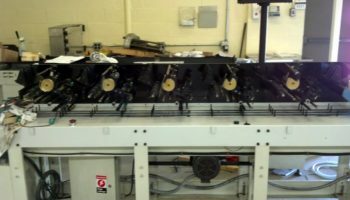 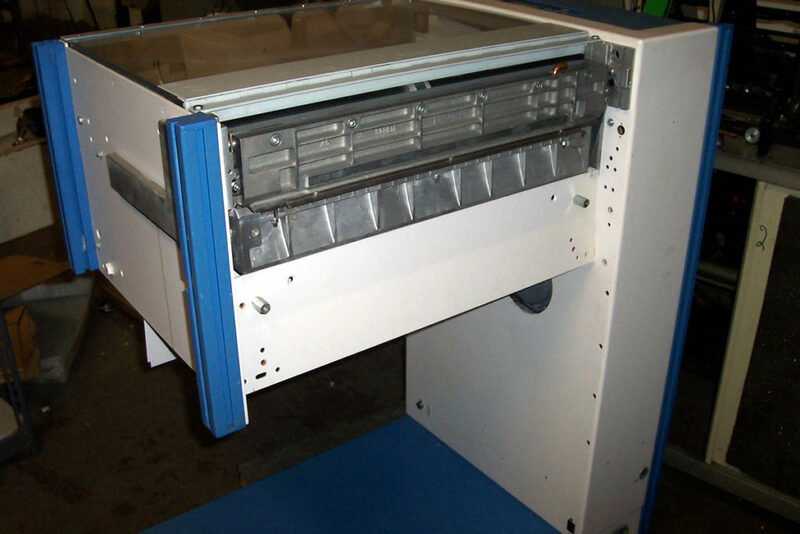 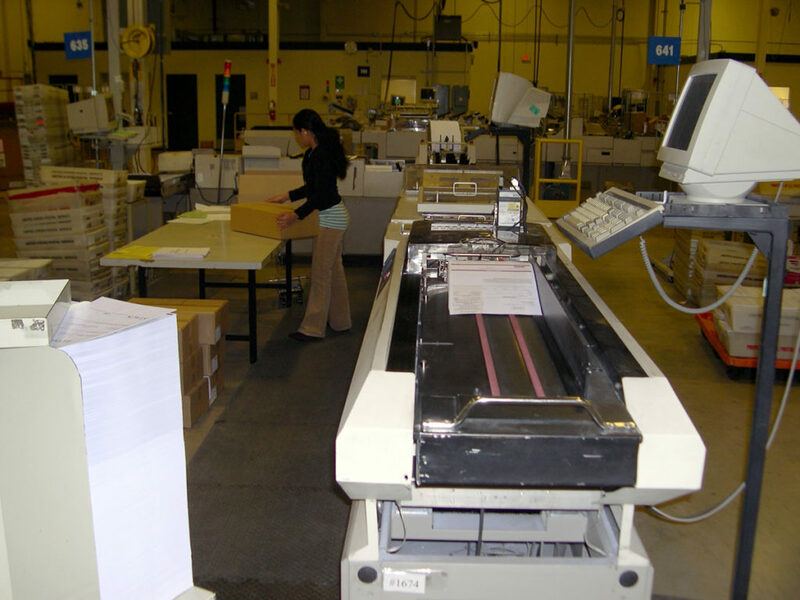 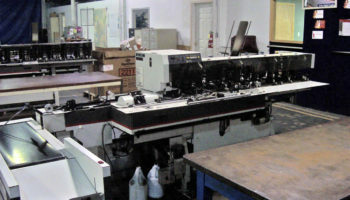 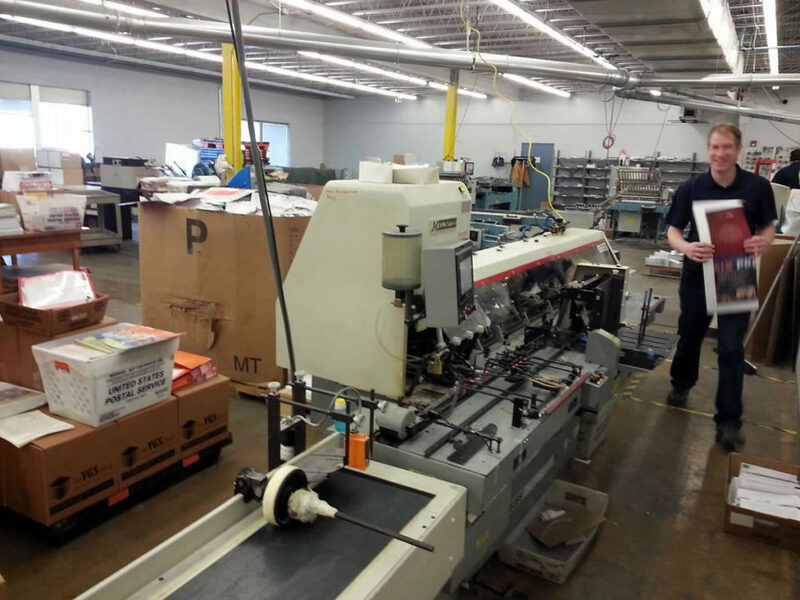 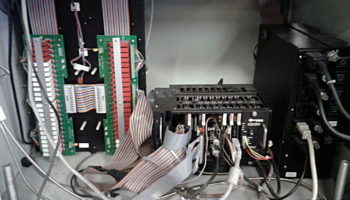 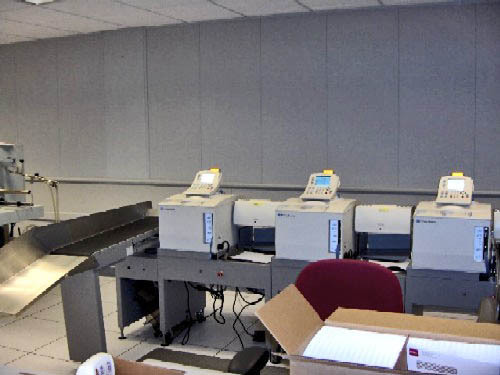 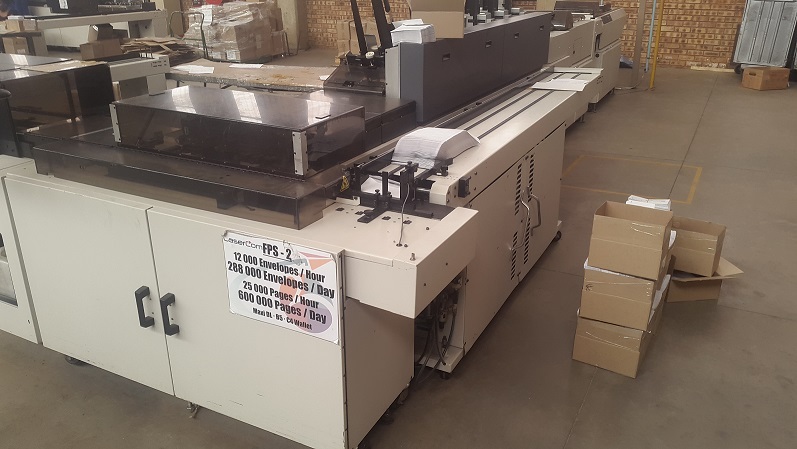 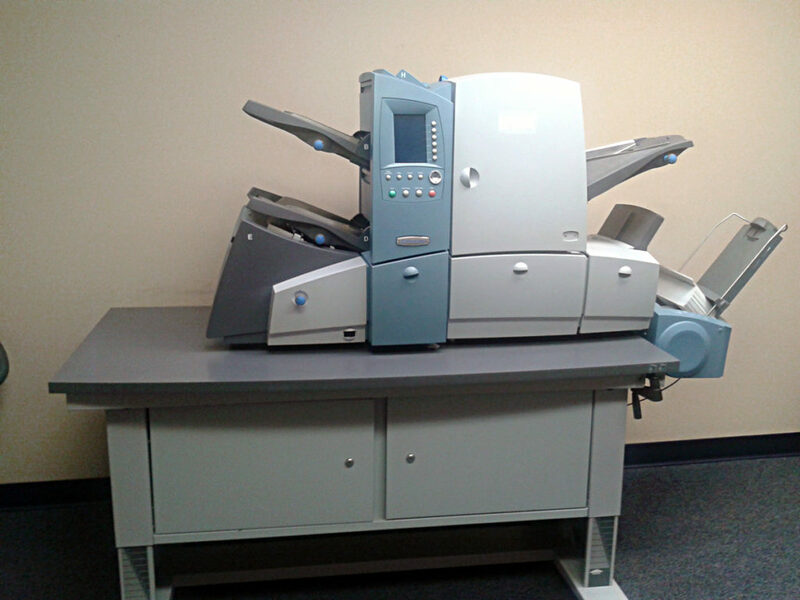 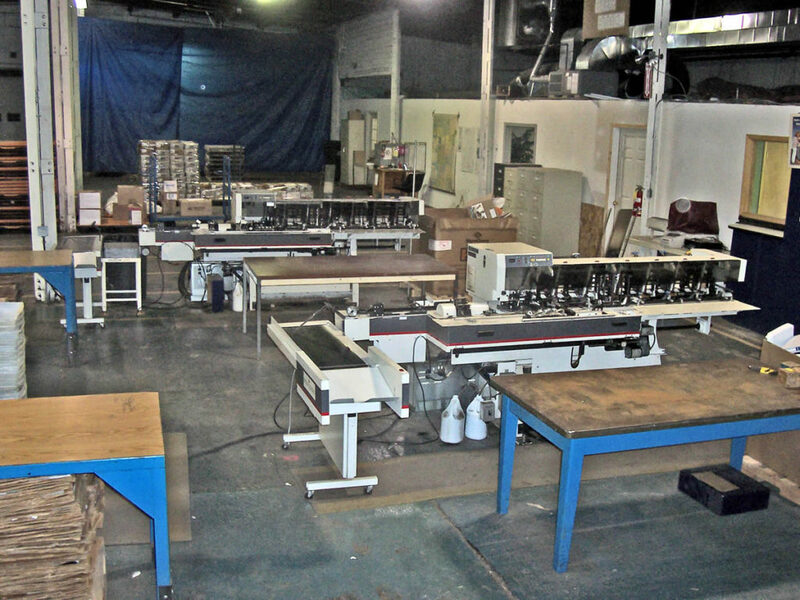 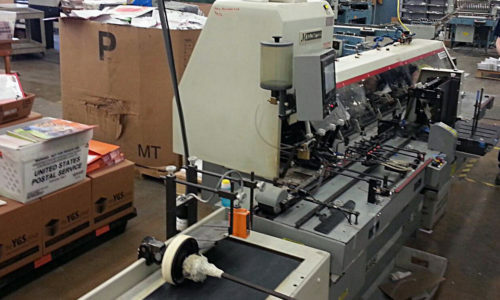 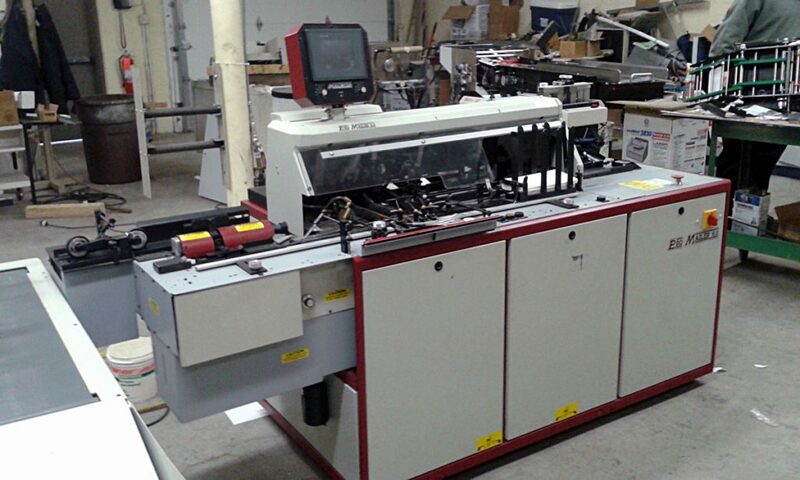 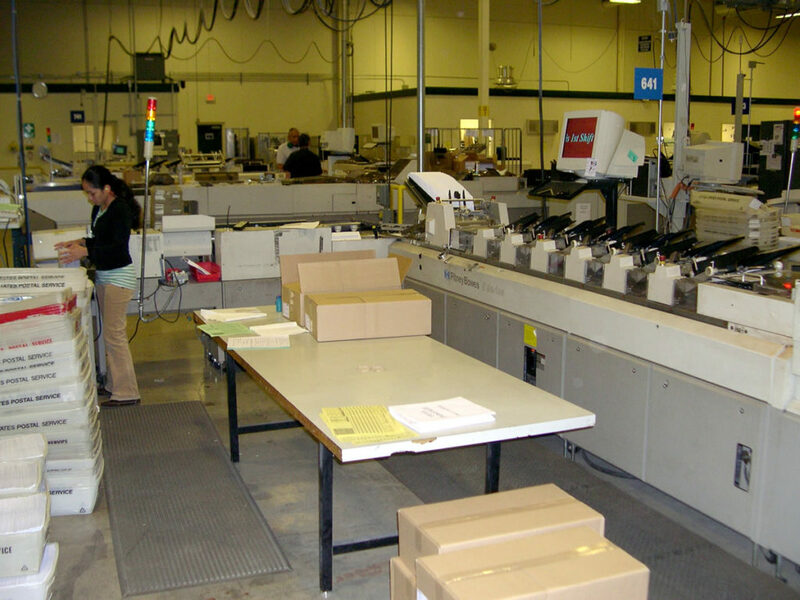 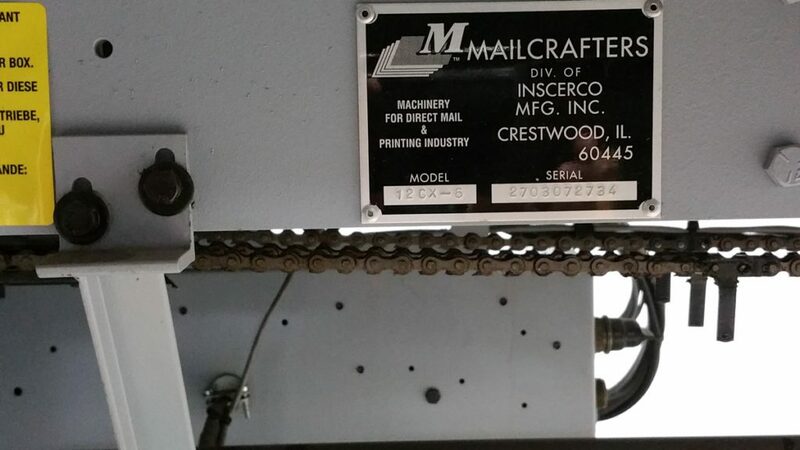 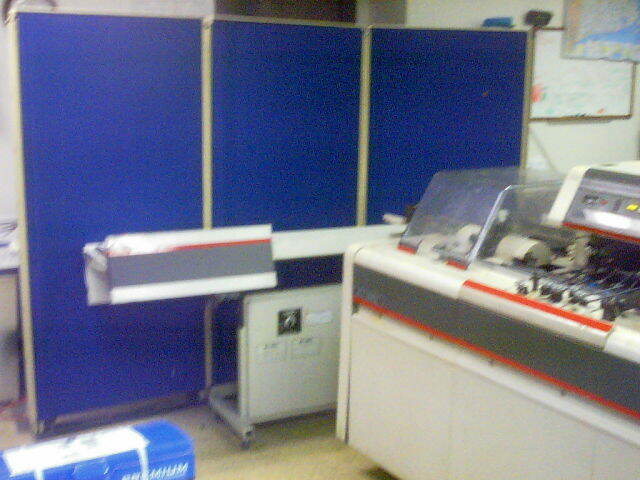 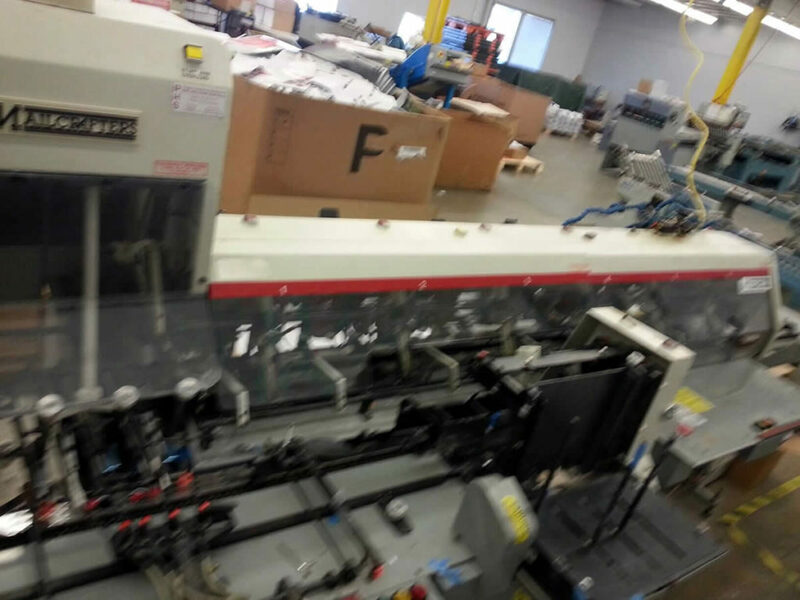 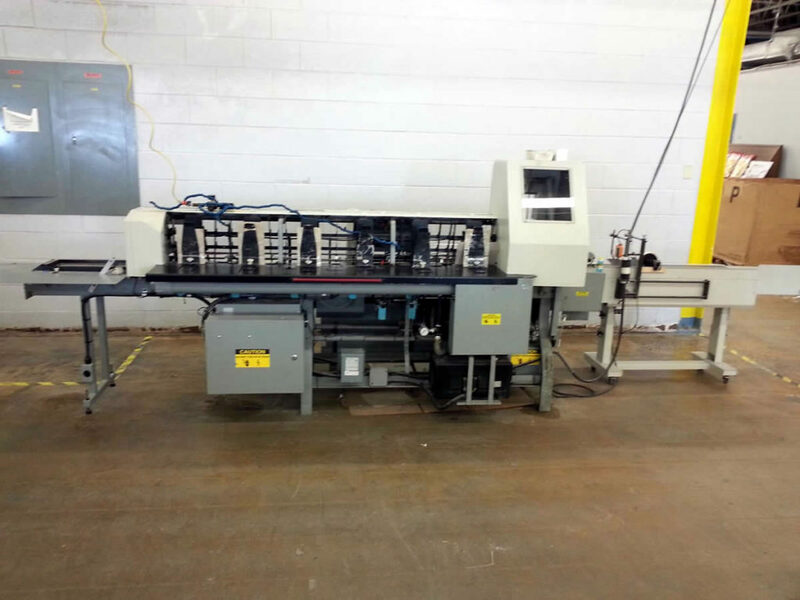 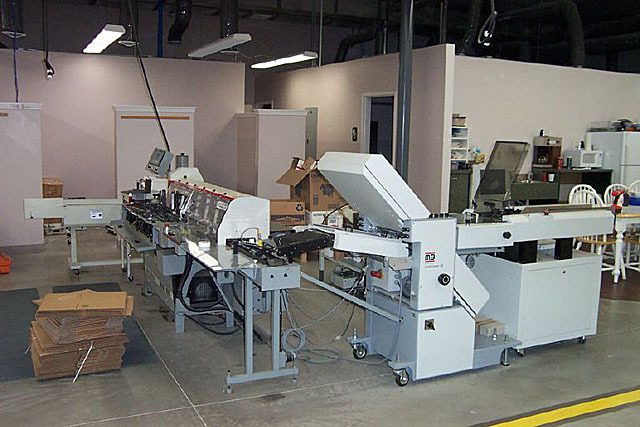 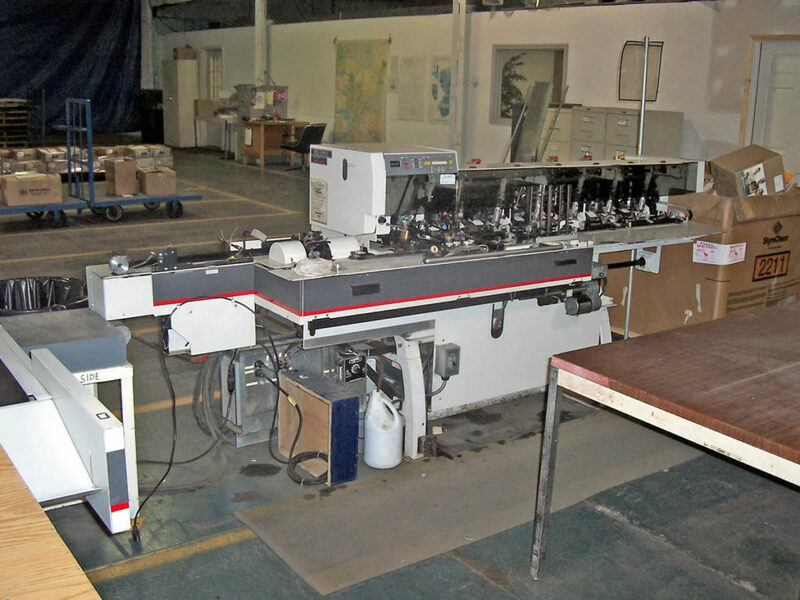 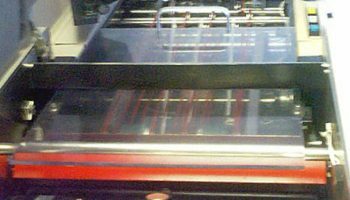 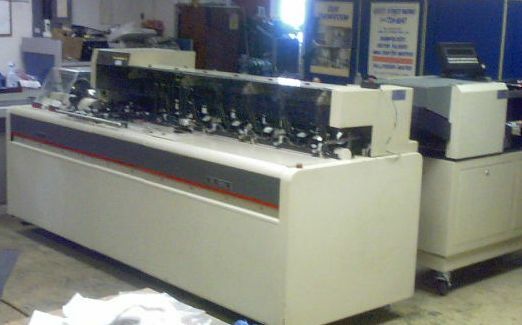 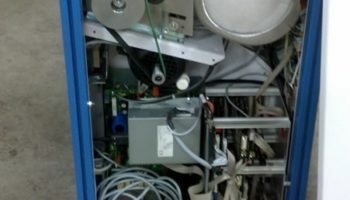 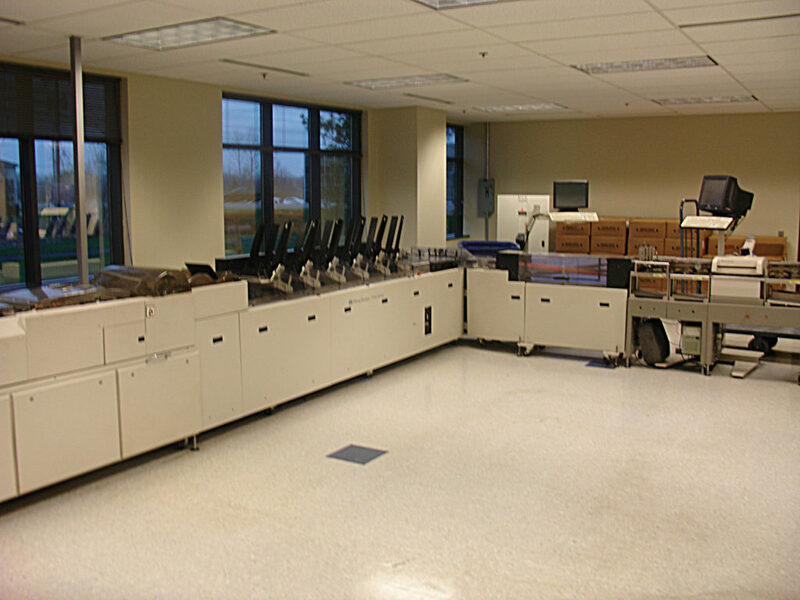 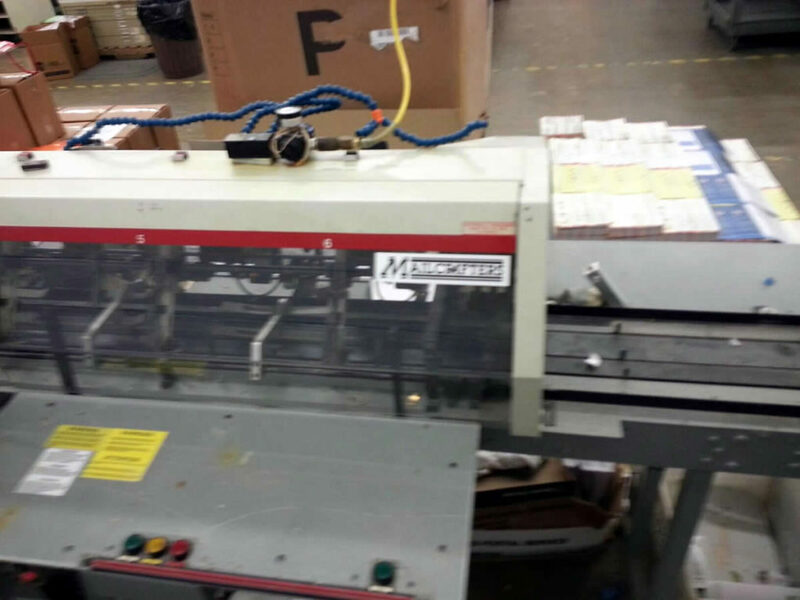 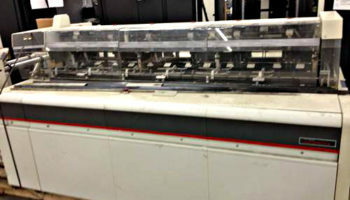 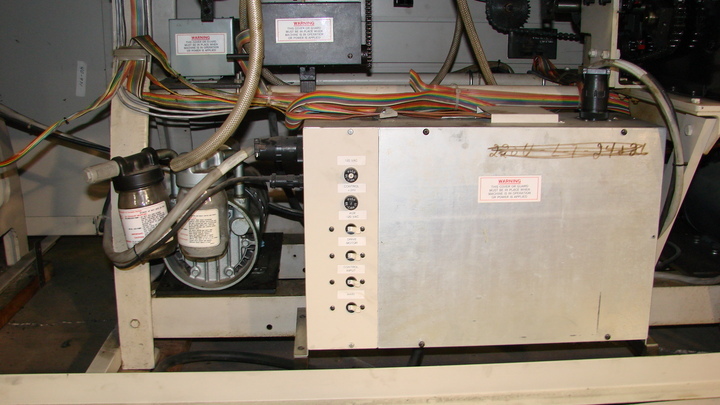 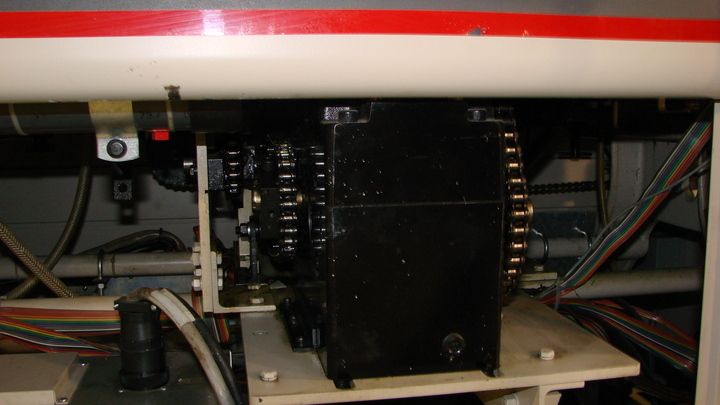 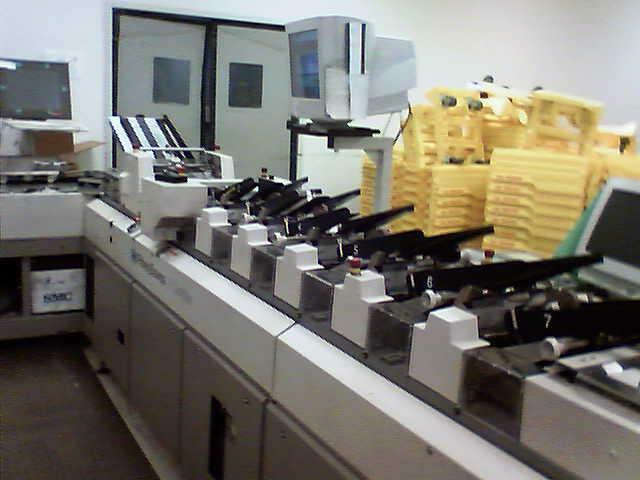 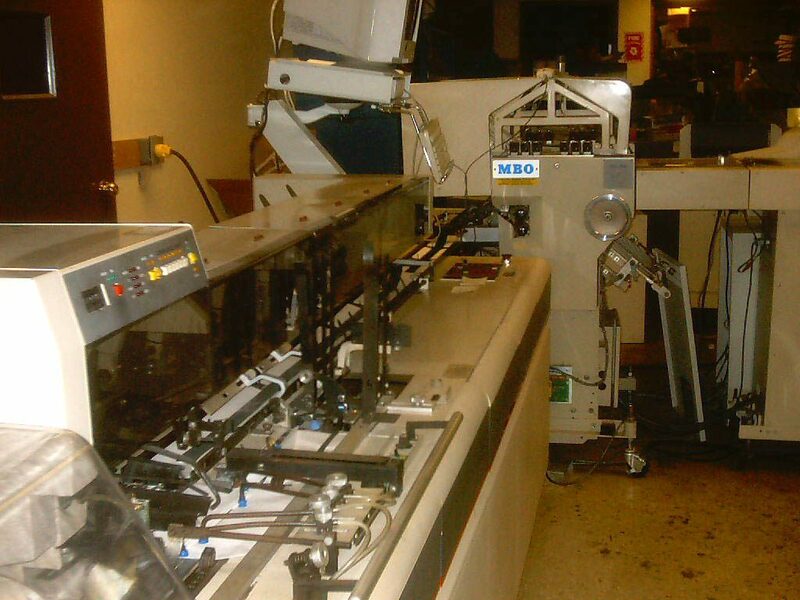 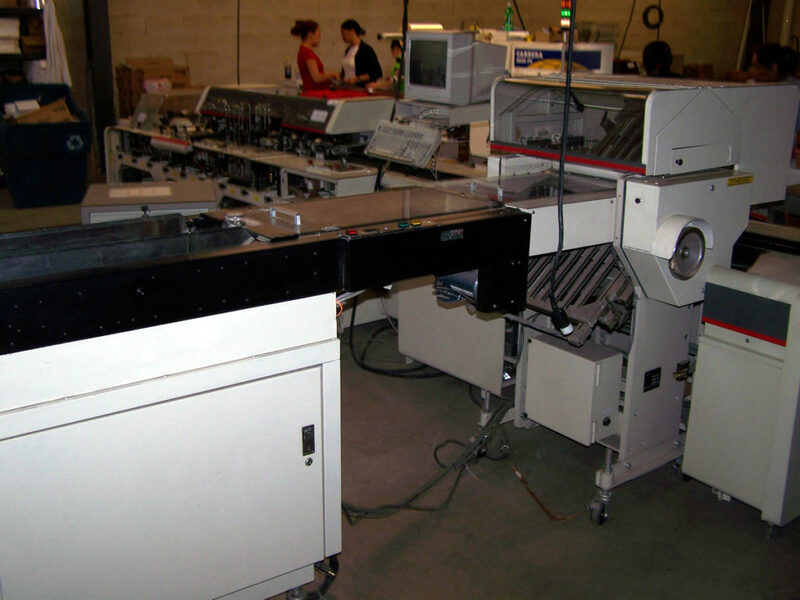 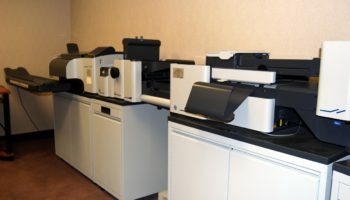 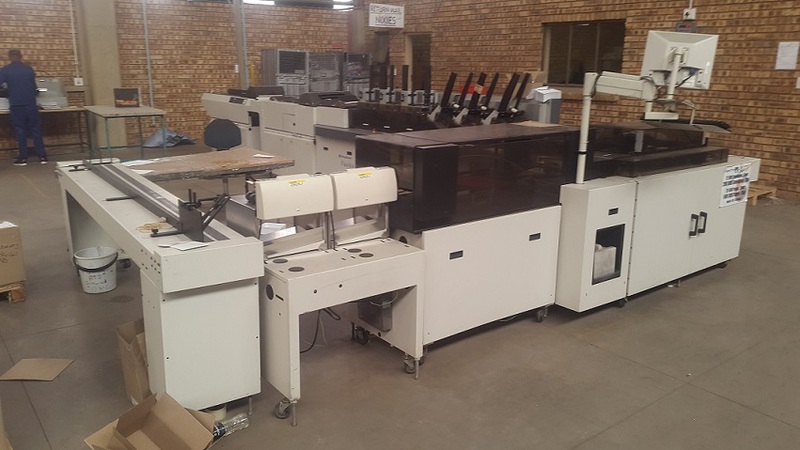 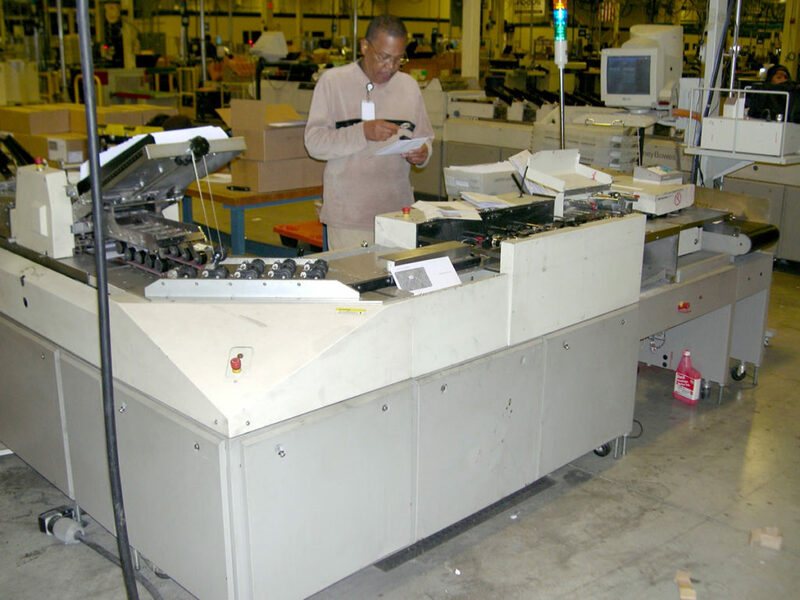 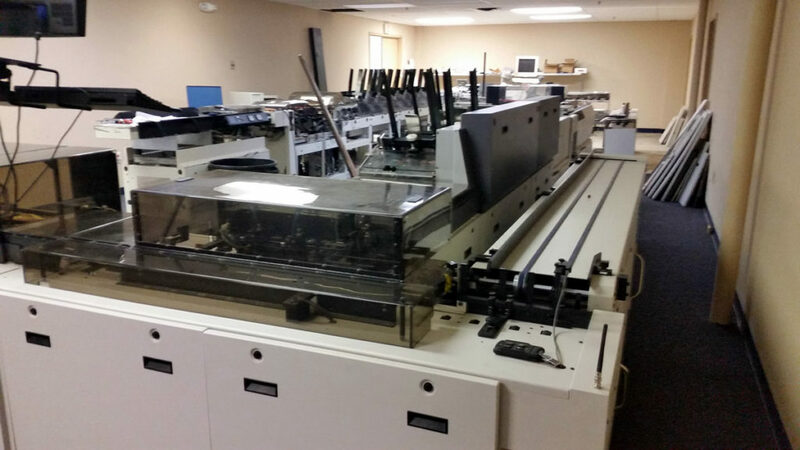 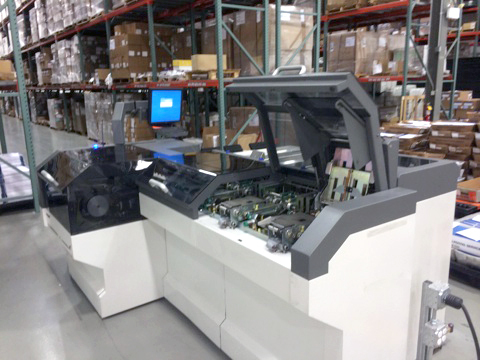 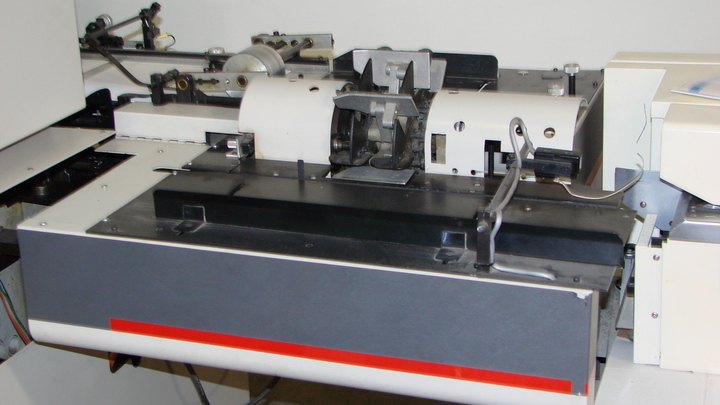 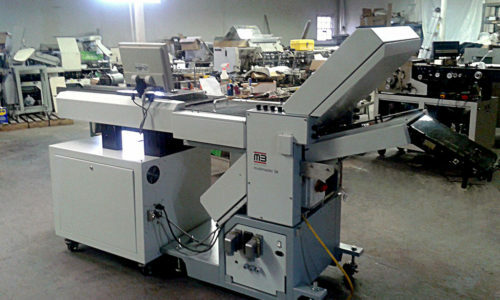 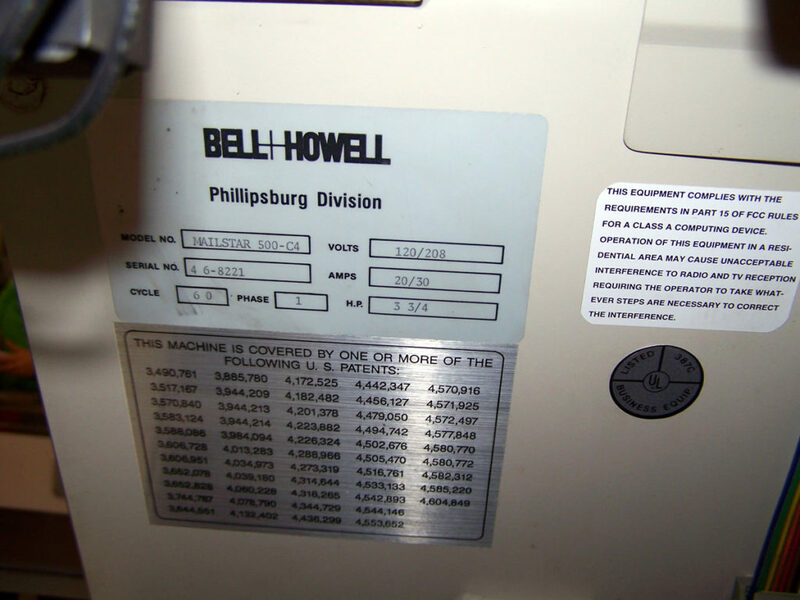 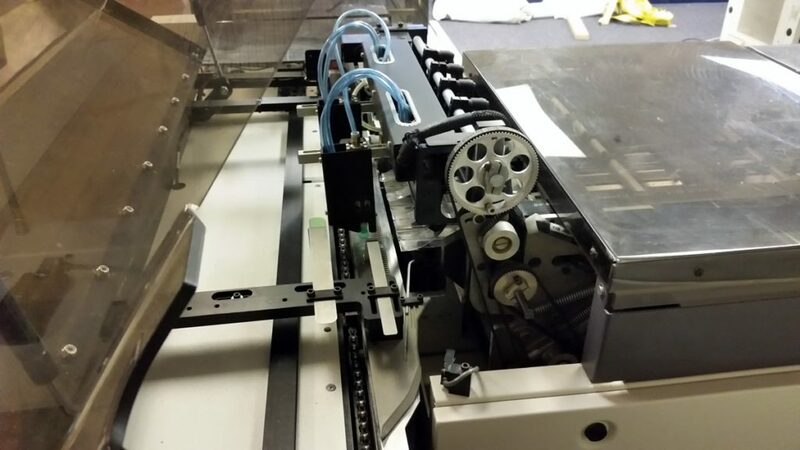 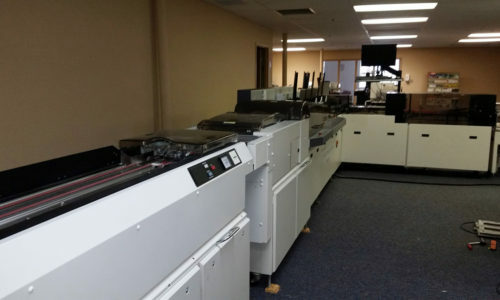 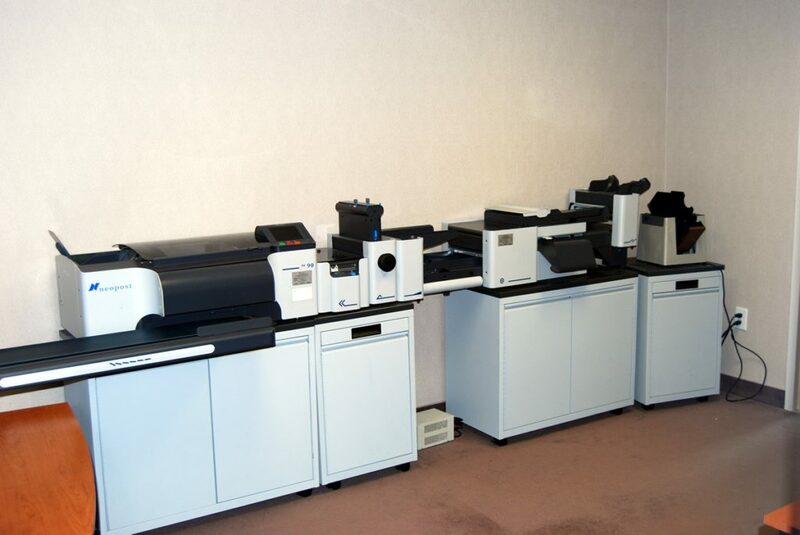 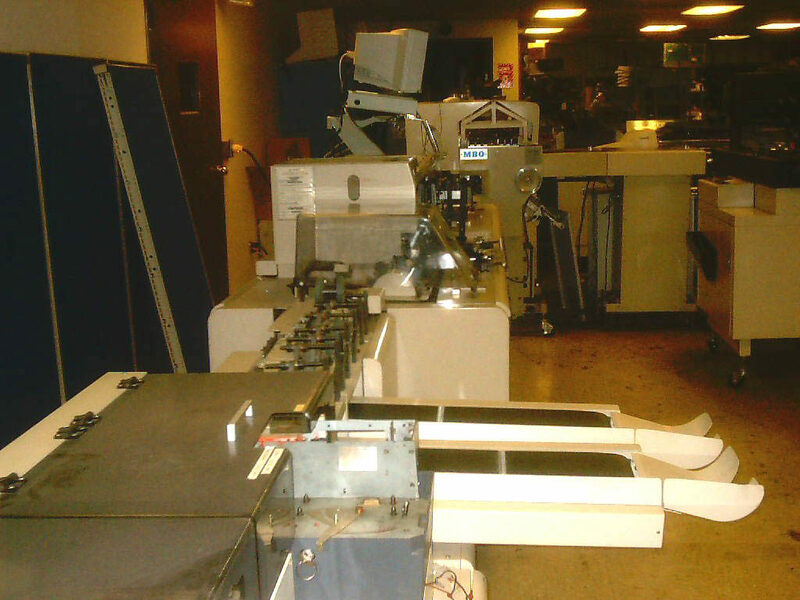 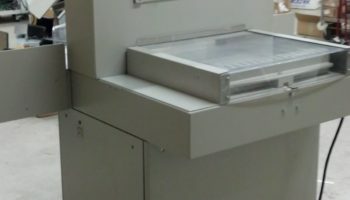 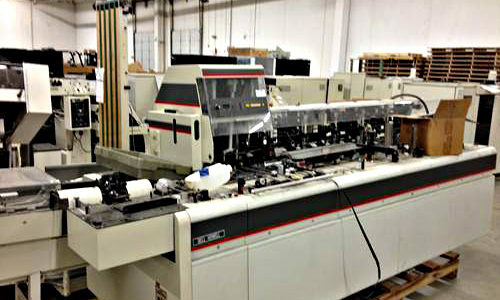 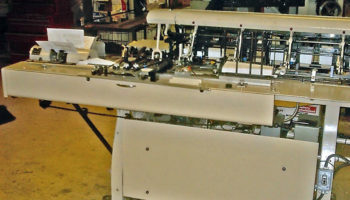 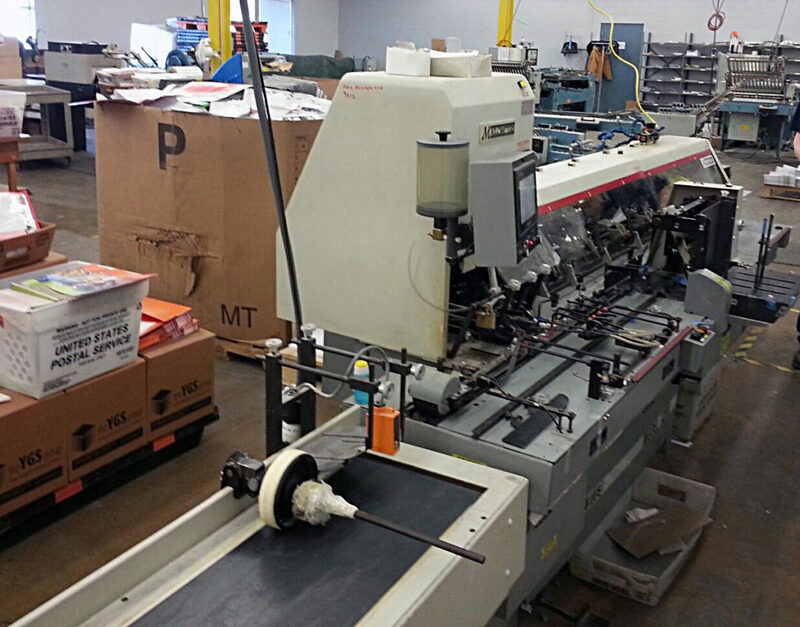 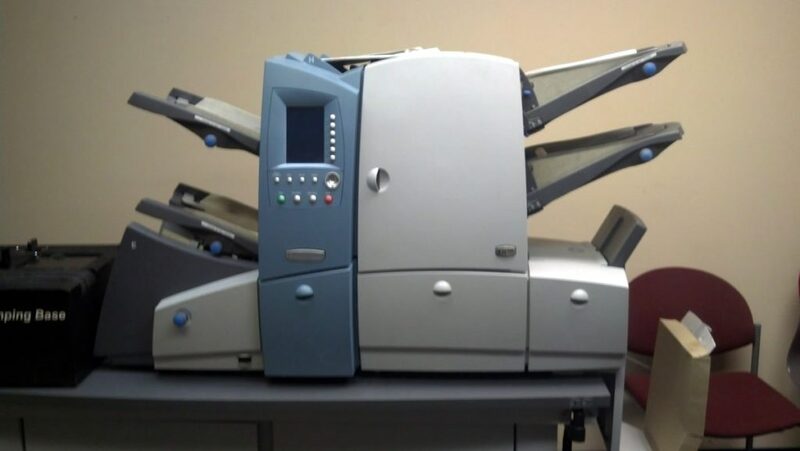 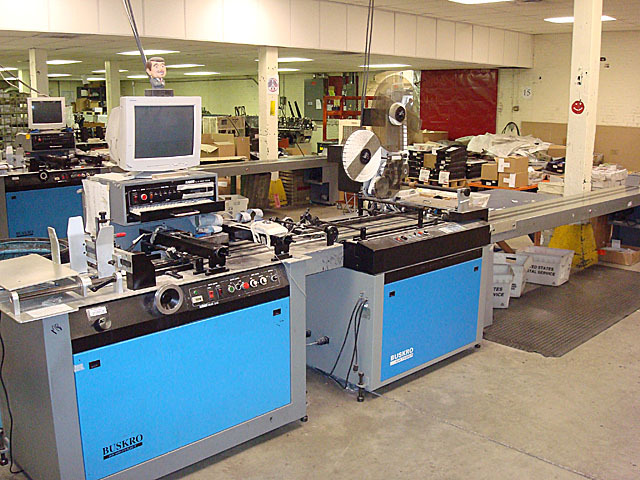 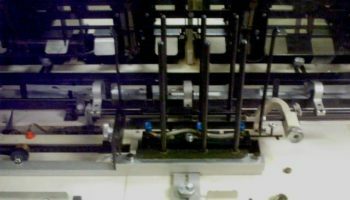 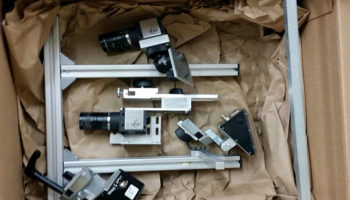 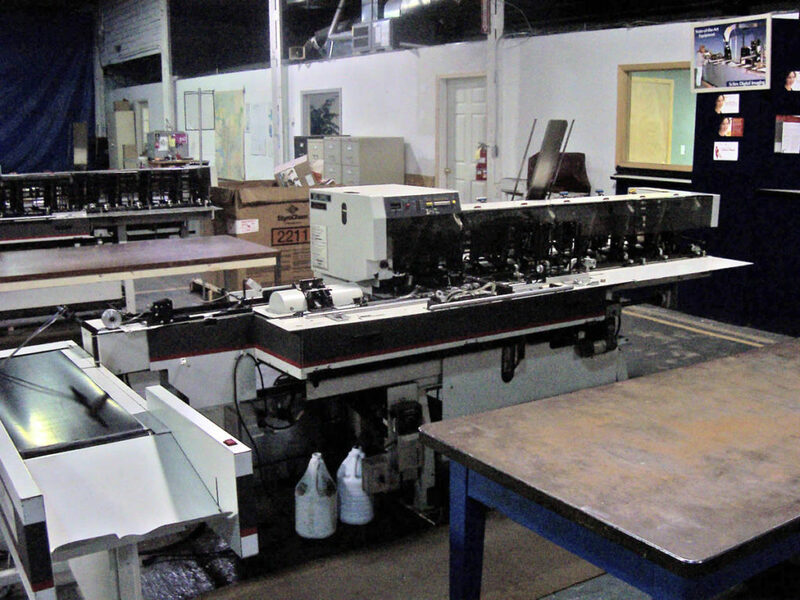 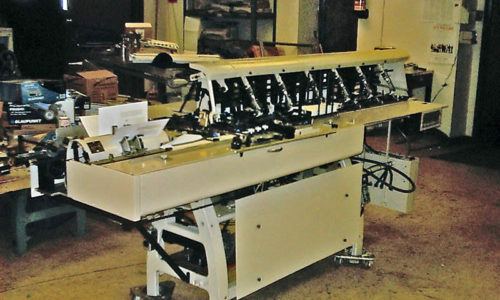 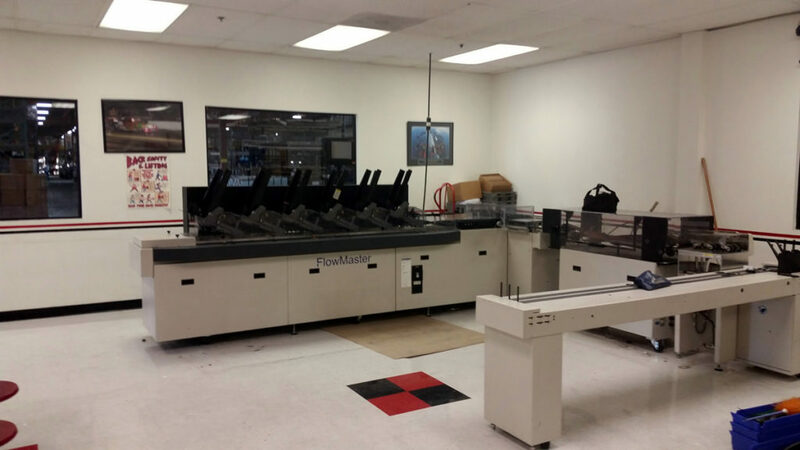 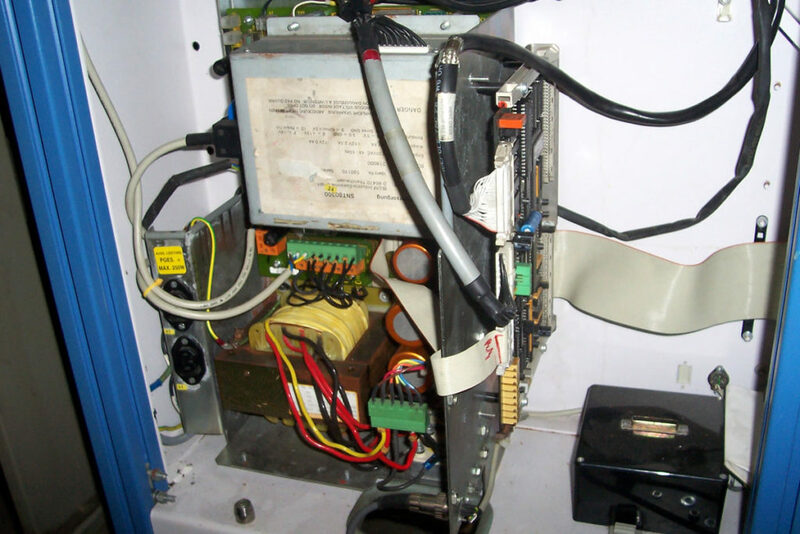 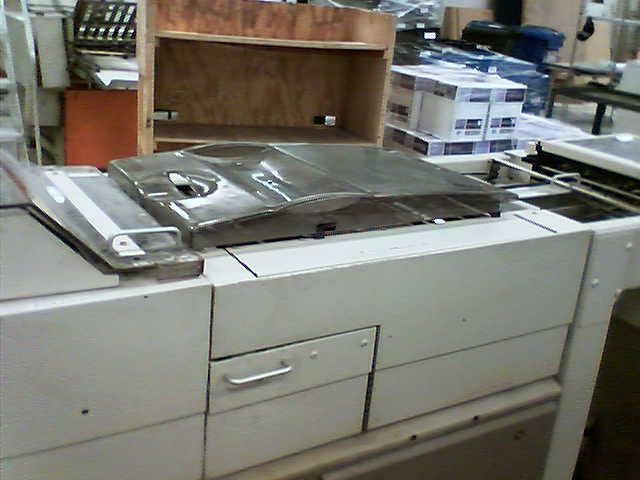 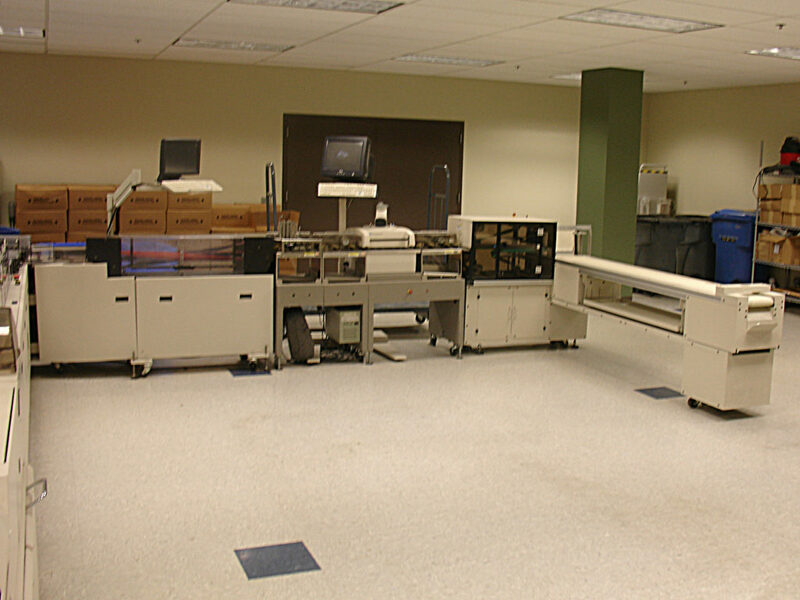 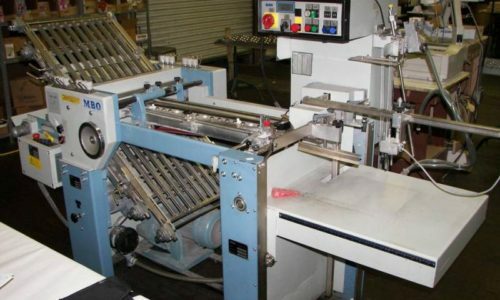 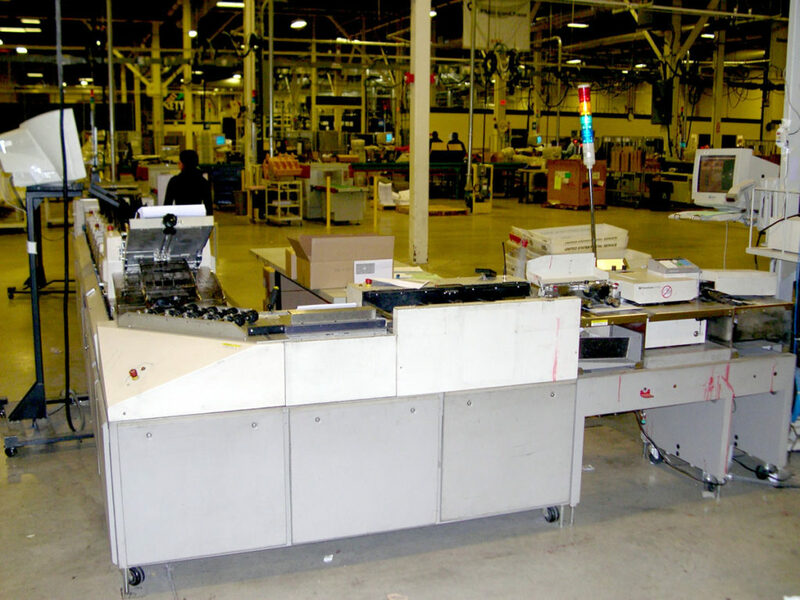 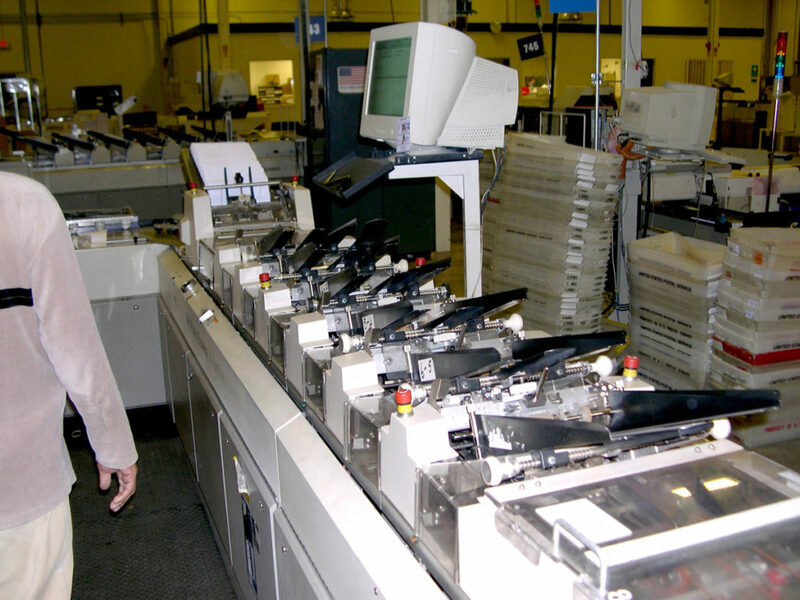 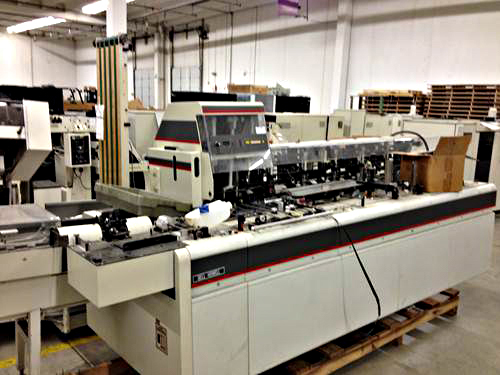 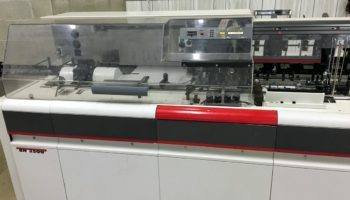 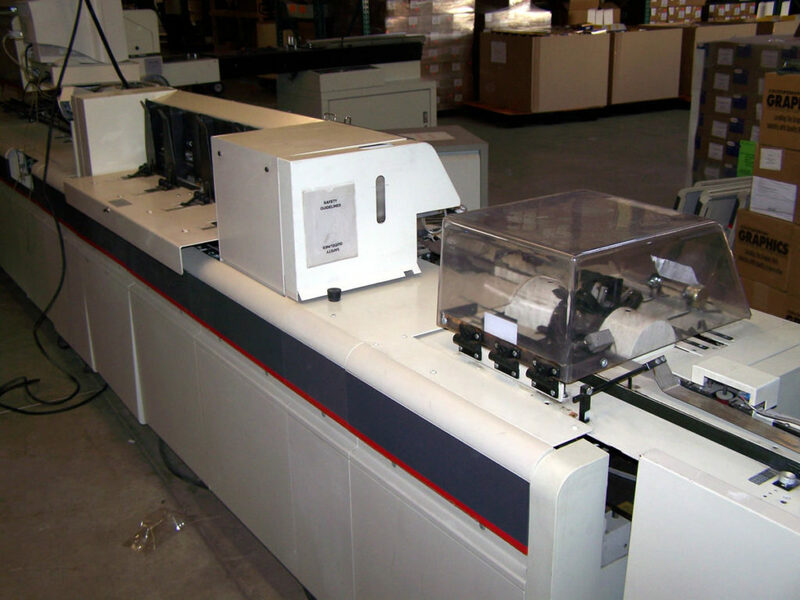 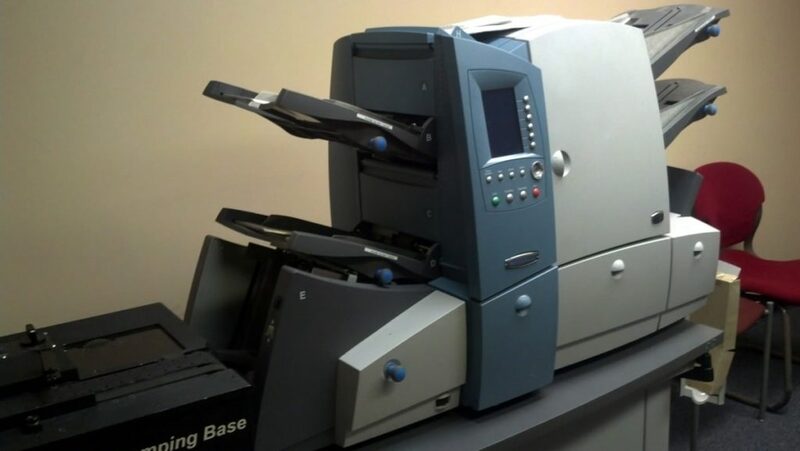 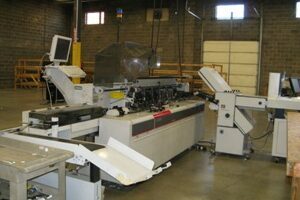 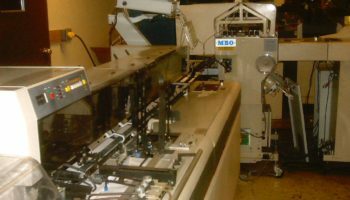 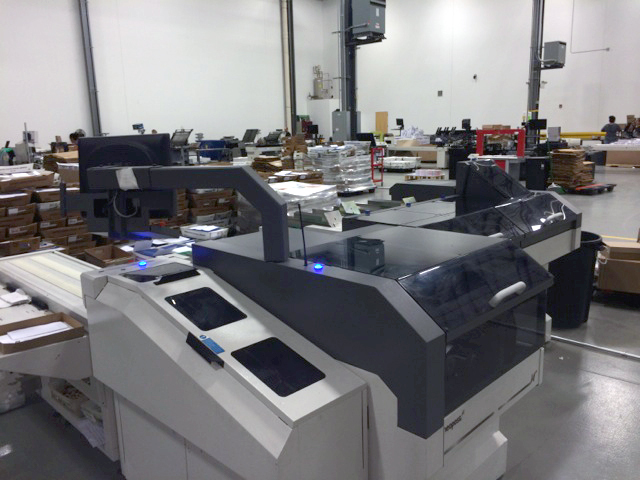 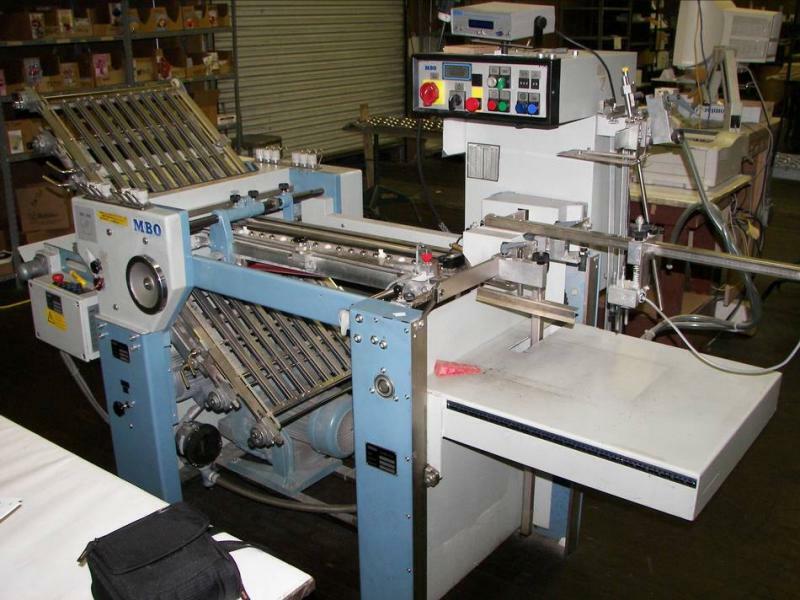 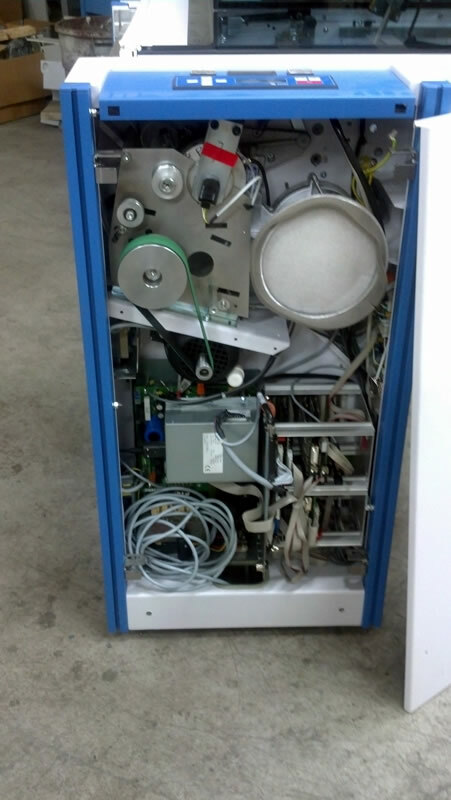 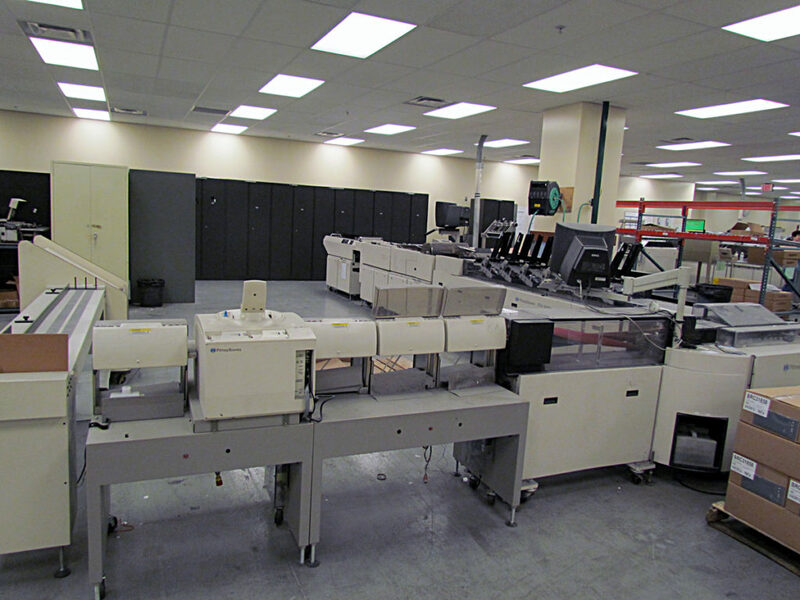 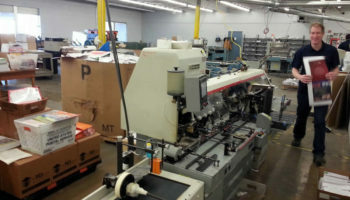 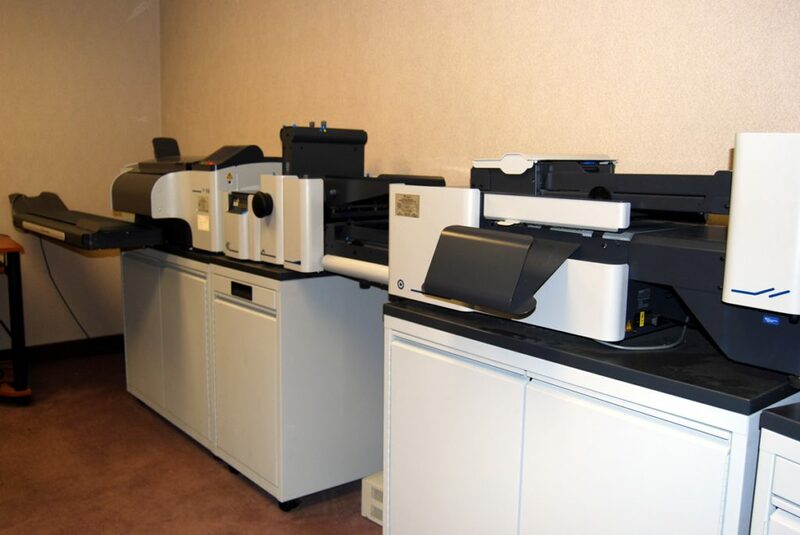 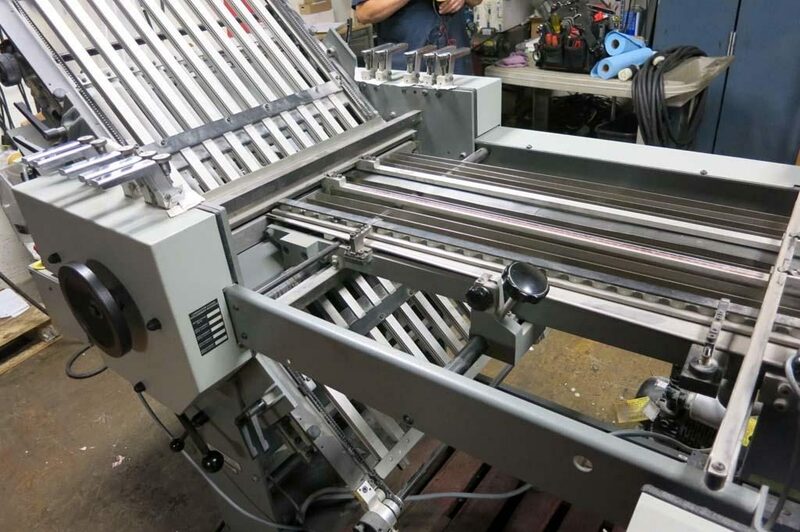 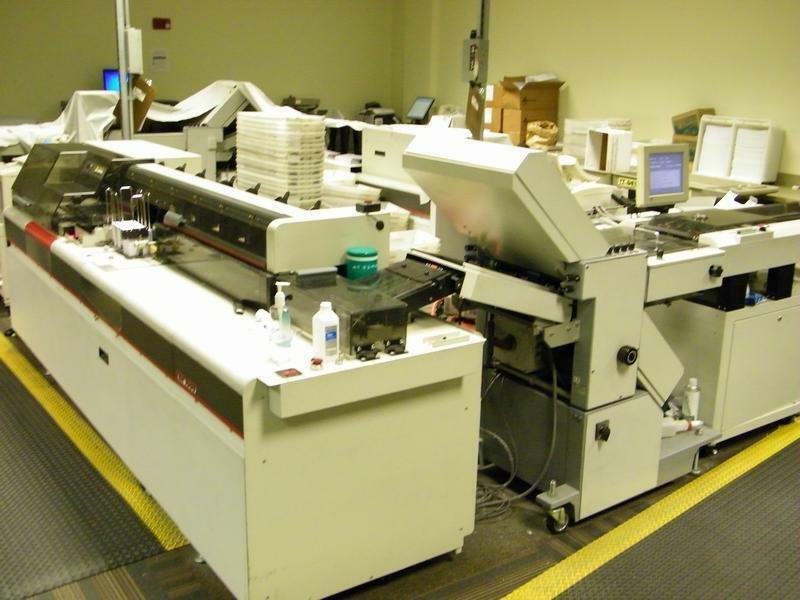 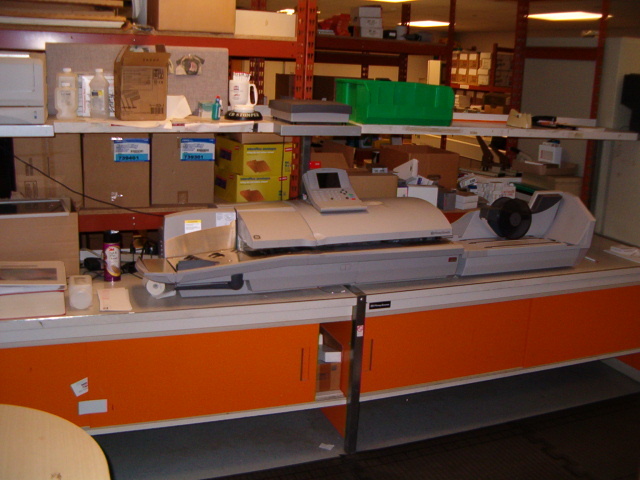 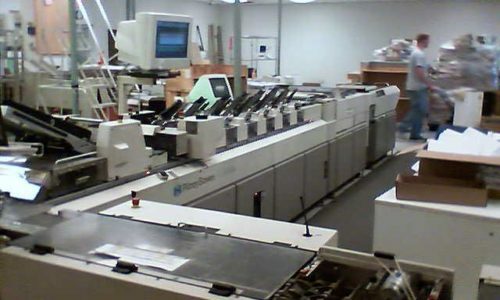 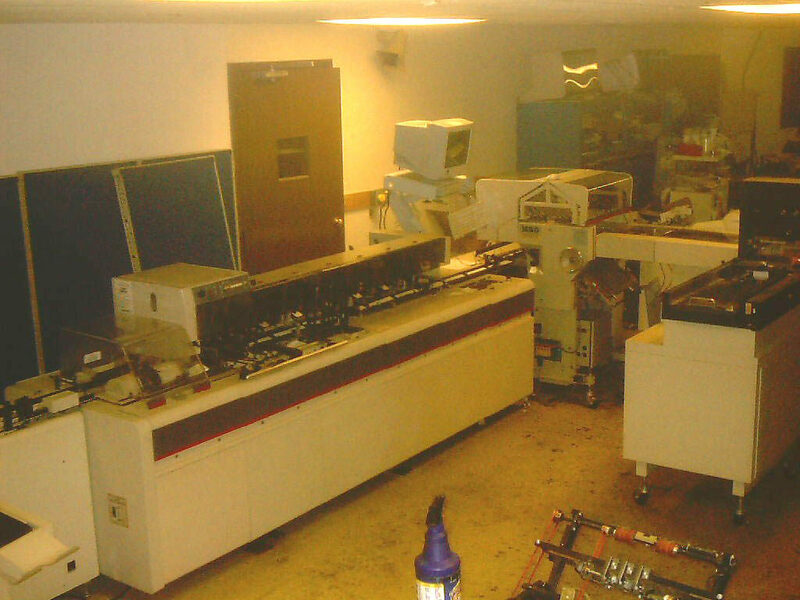 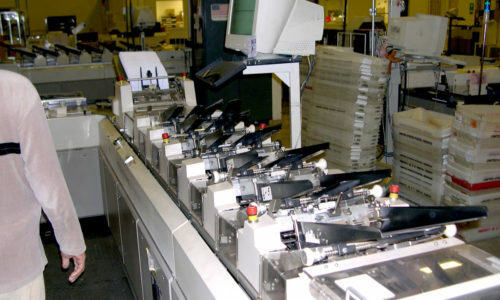 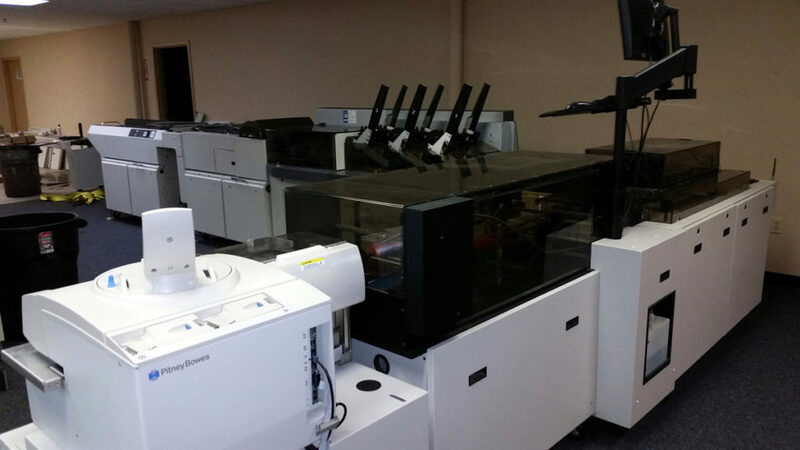 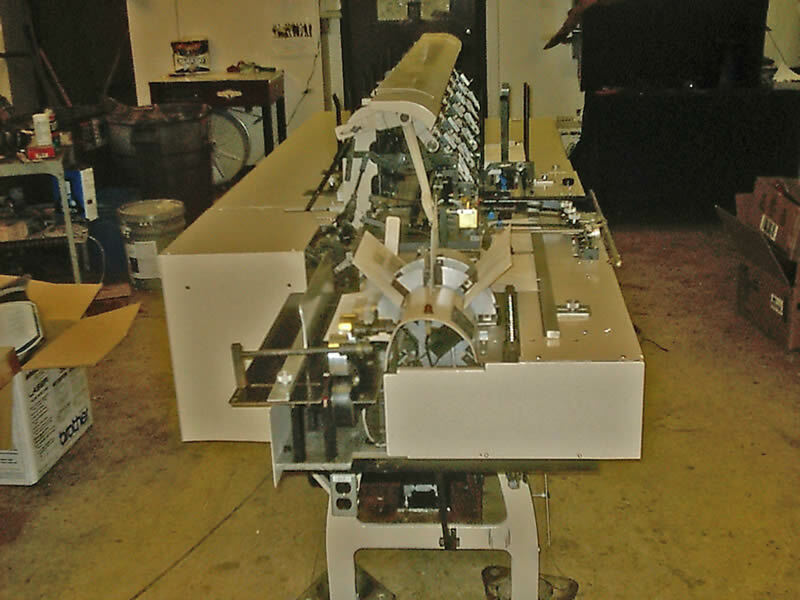 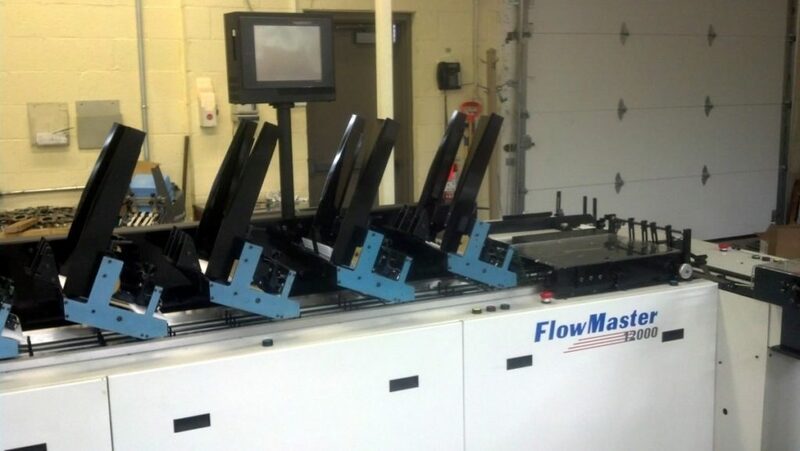 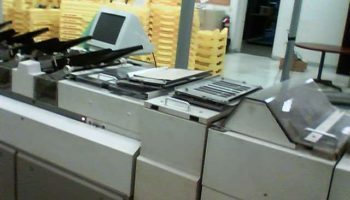 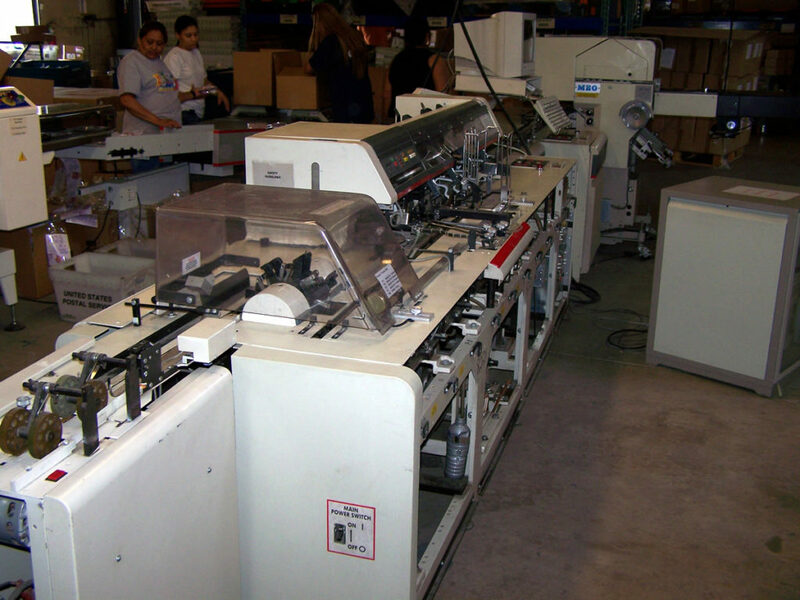 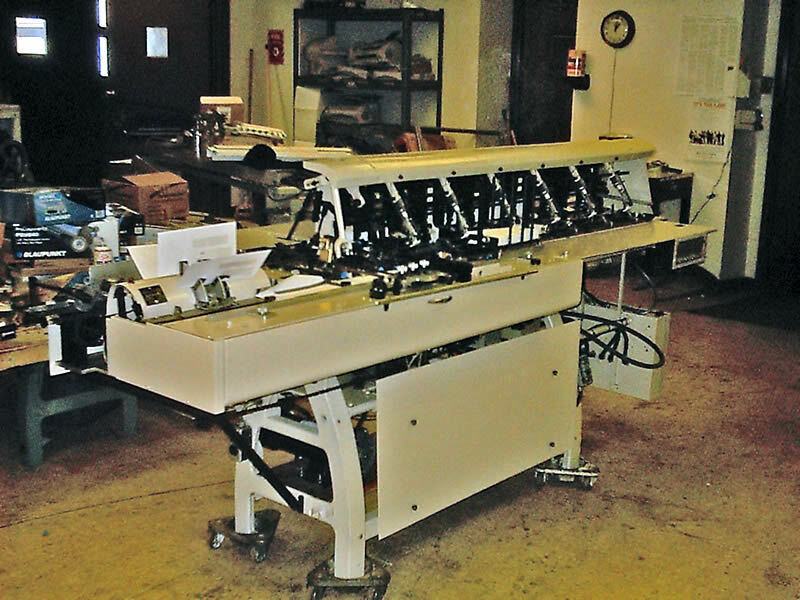 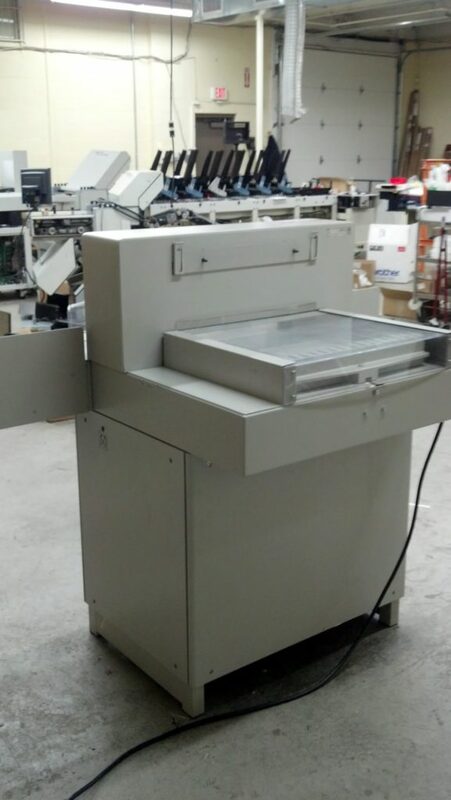 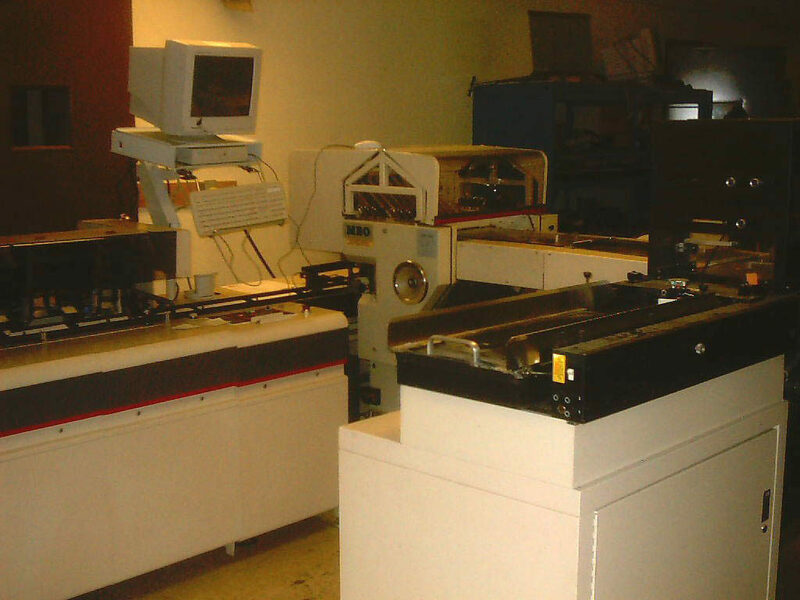 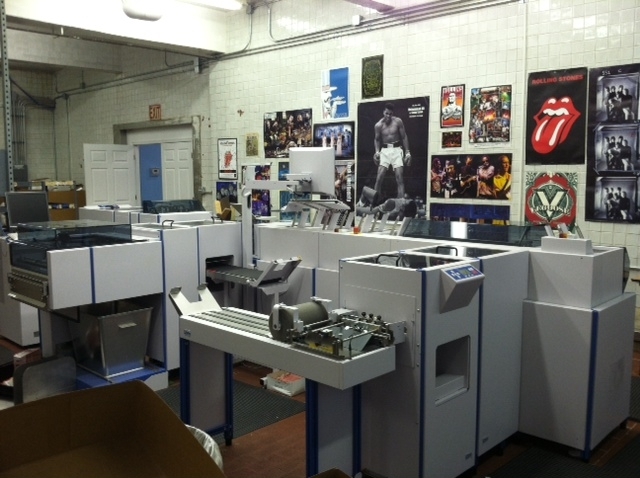 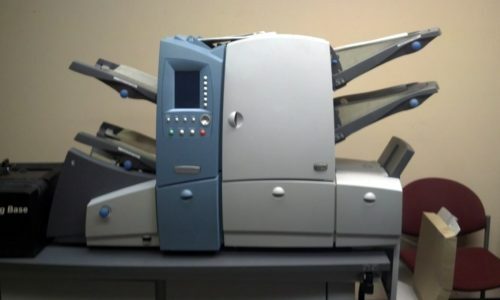 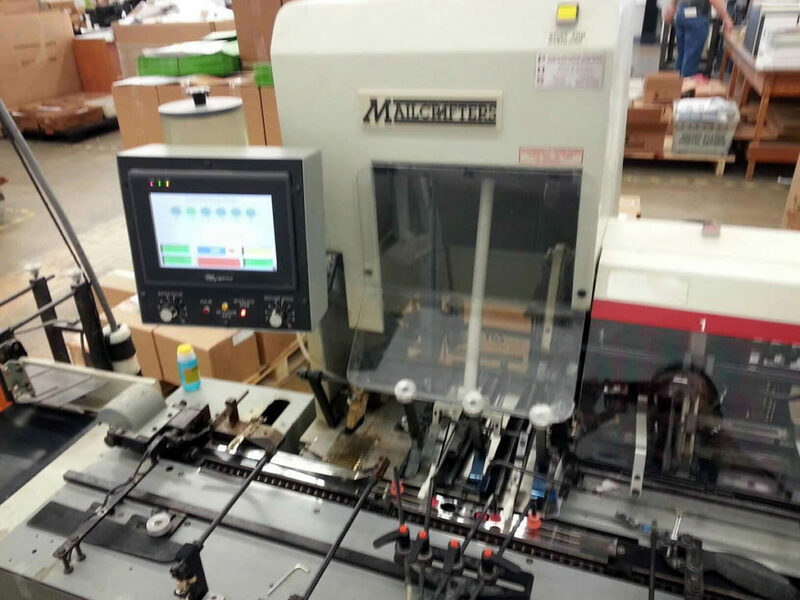 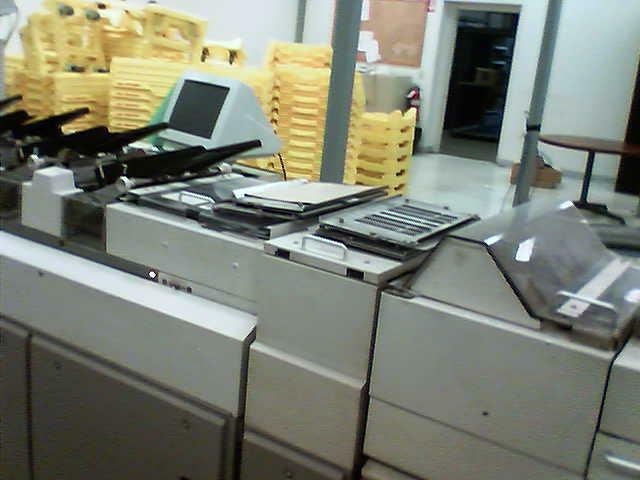 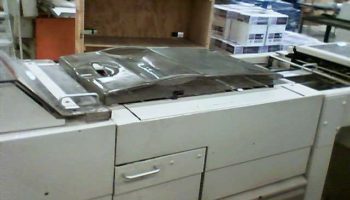 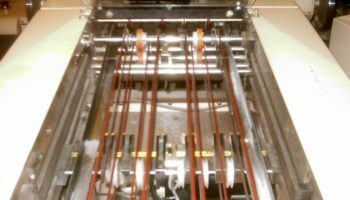 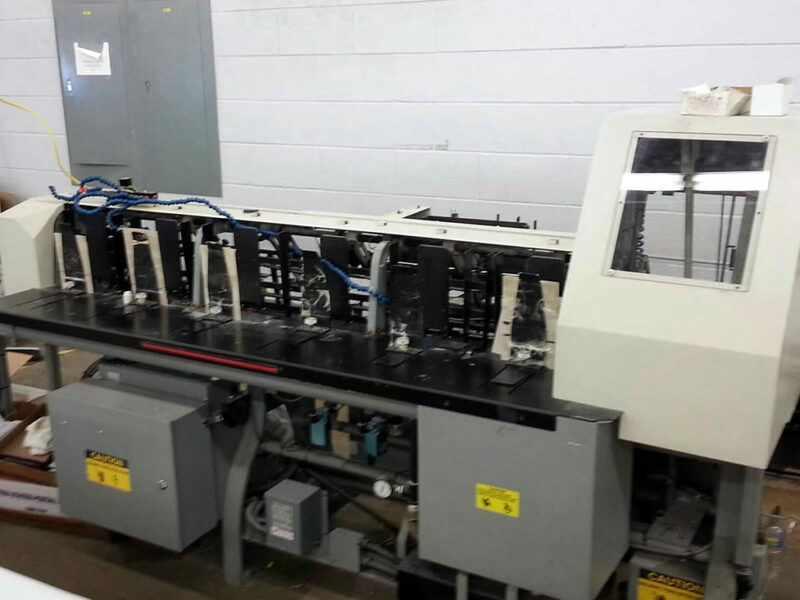 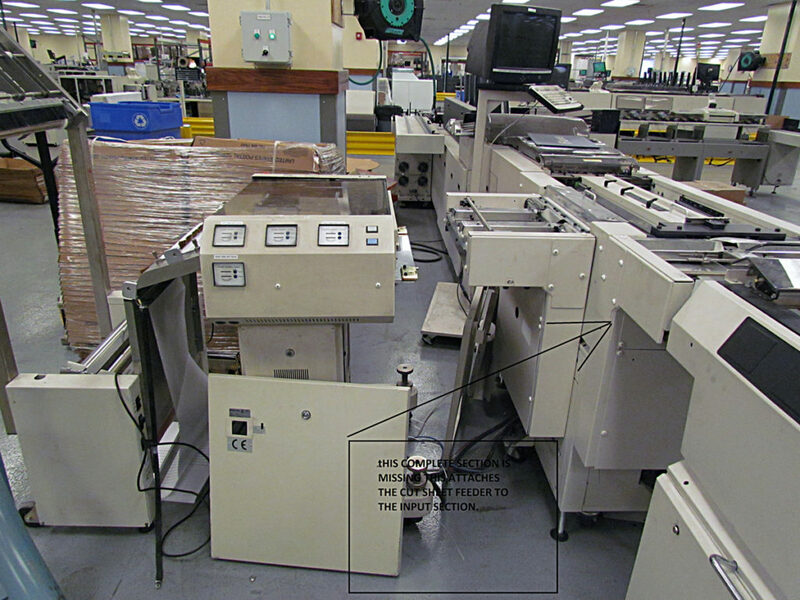 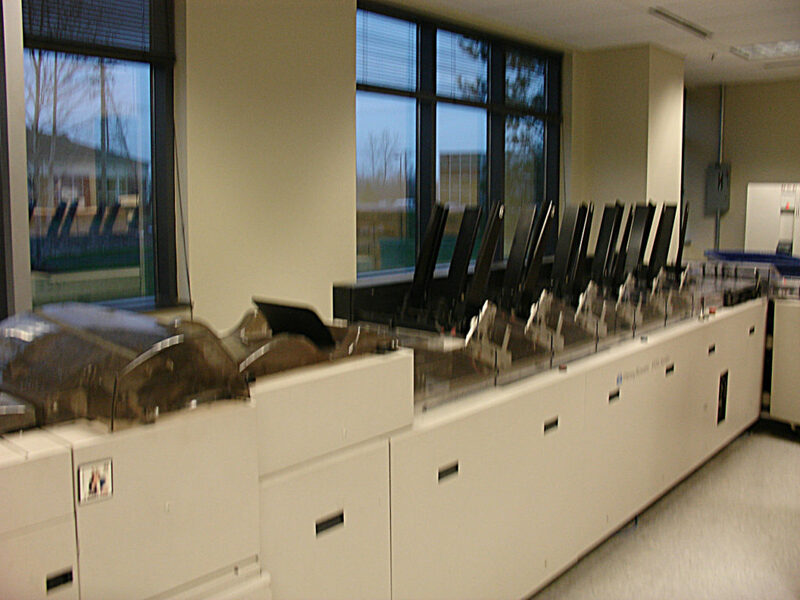 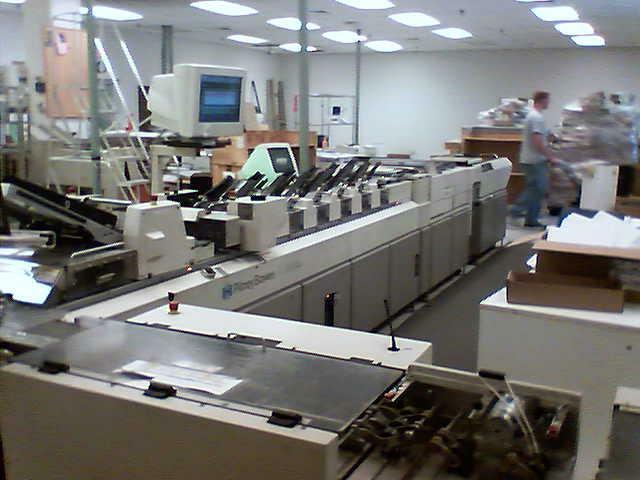 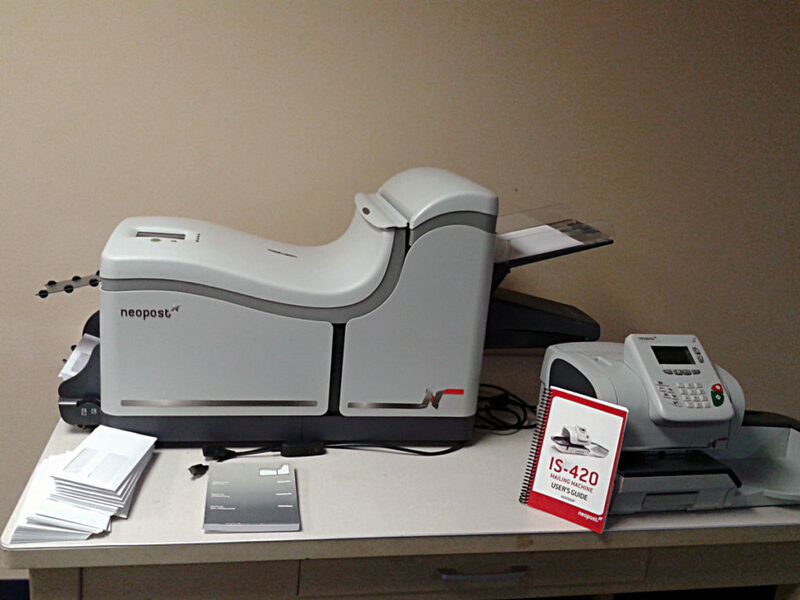 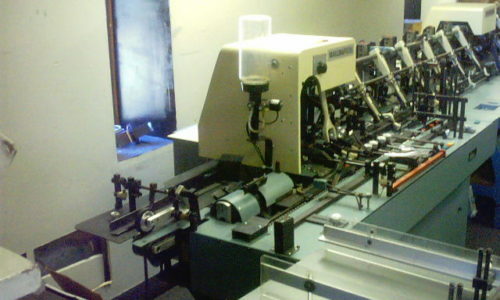 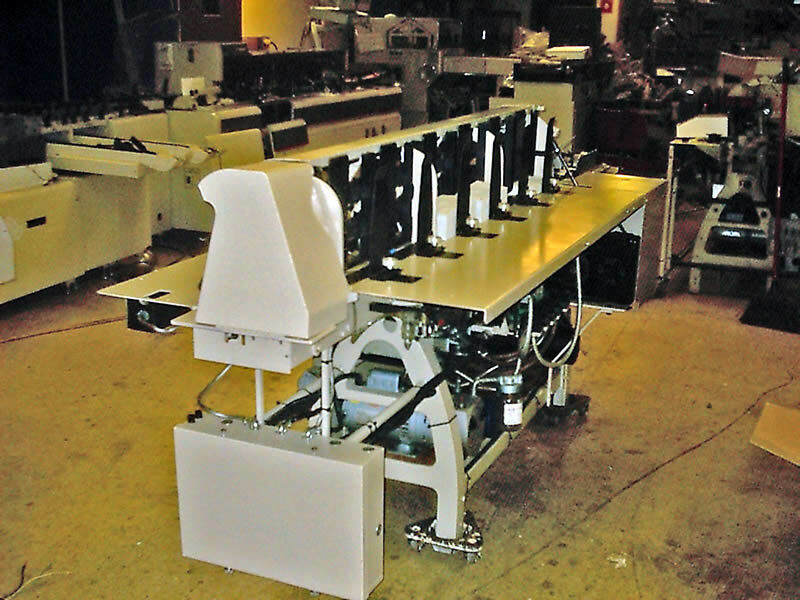 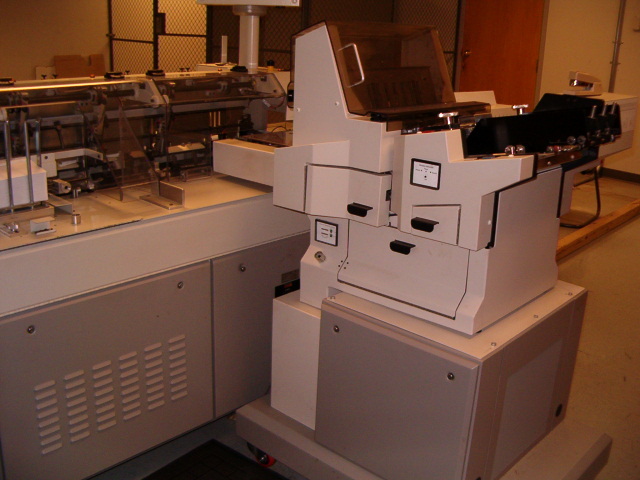 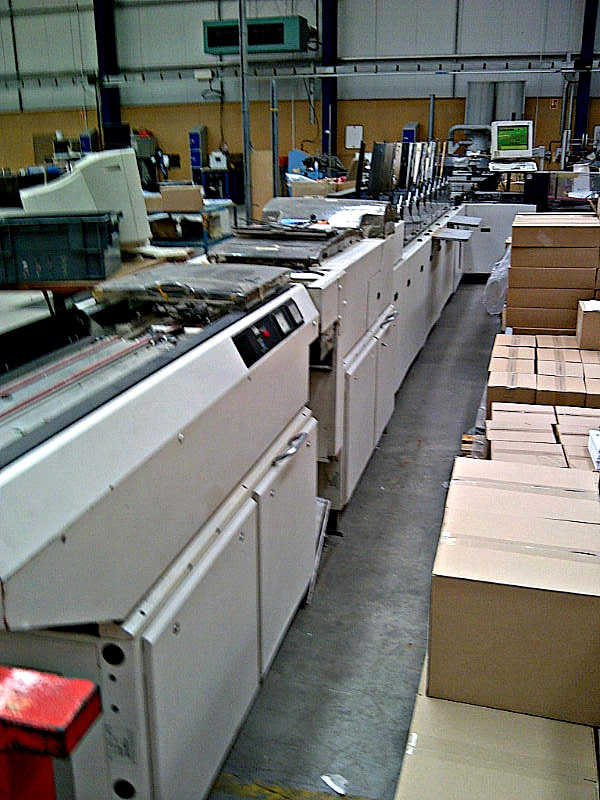 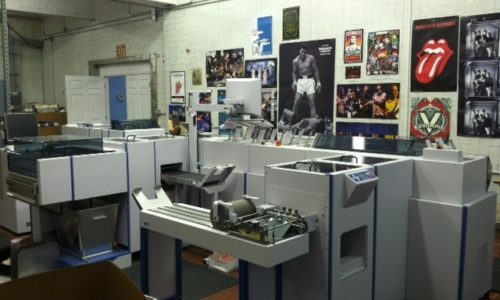 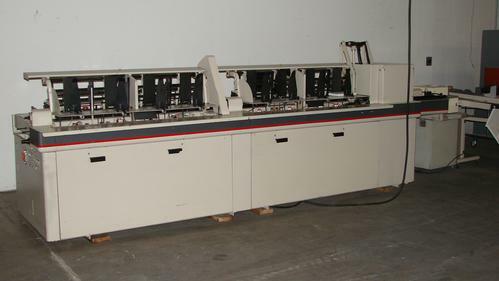 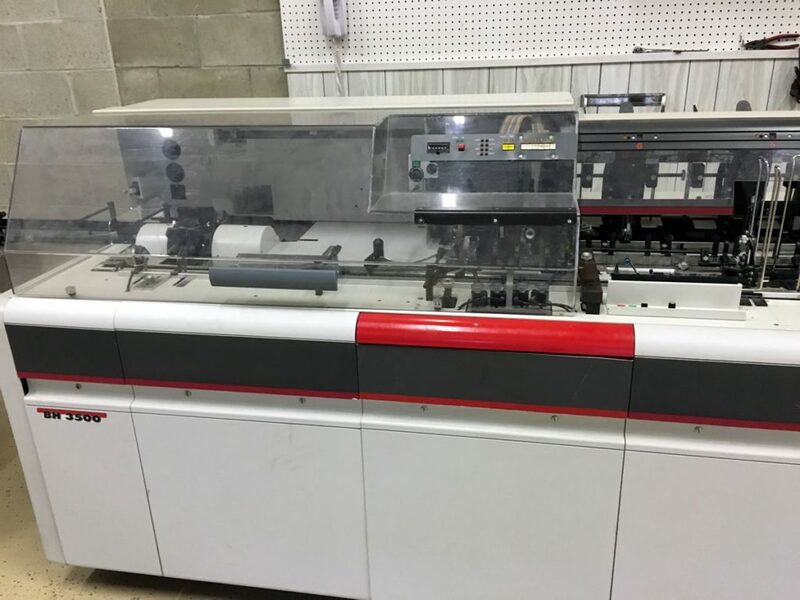 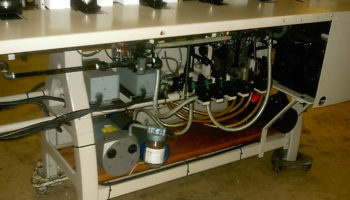 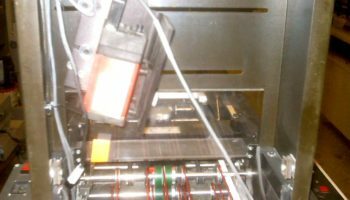 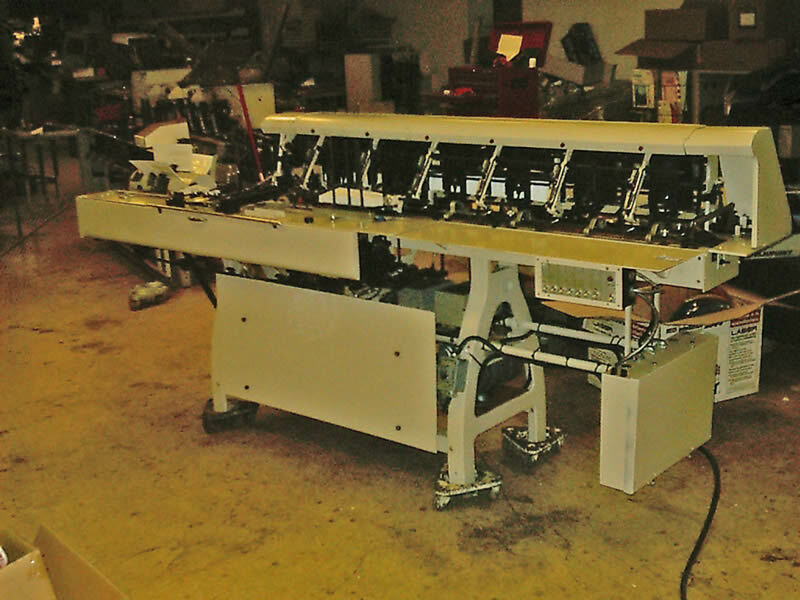 Rebuilt Equipment - ALL - Roberts Business Machines, Inc.
Roberts Business Machines has over 30 years experience in the automated mail processing equipment industry. 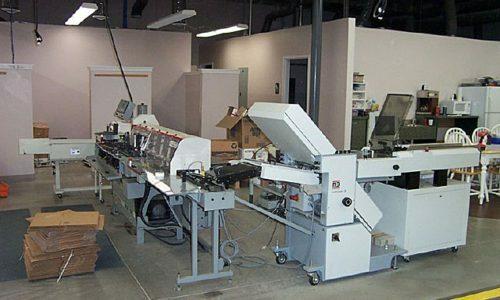 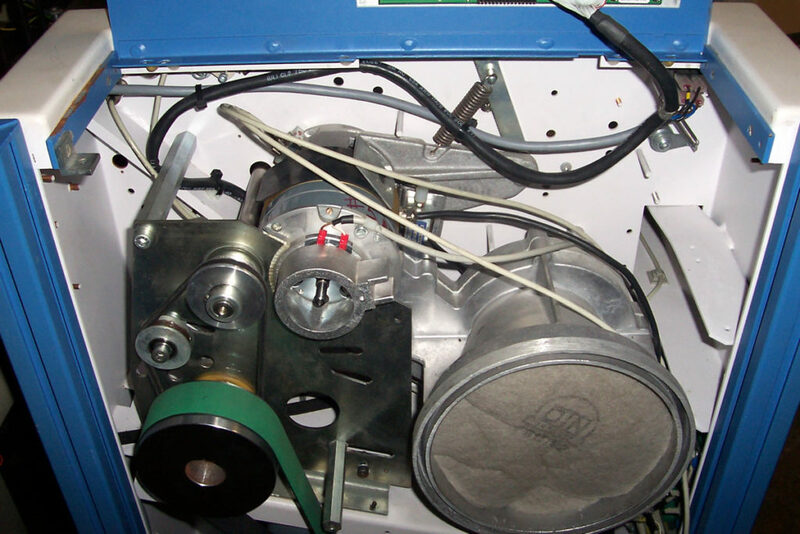 We use OEM parts in our on-site rebuilding facility and are fully trained, factory authorized service providers. 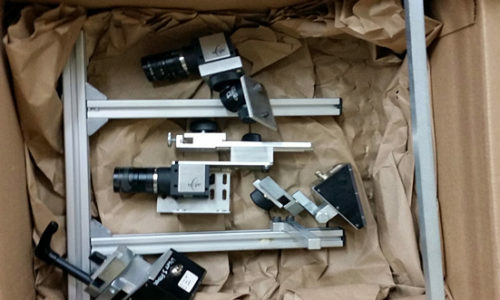 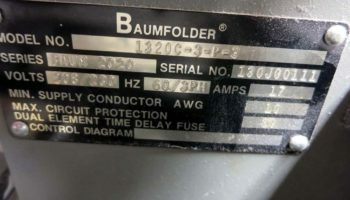 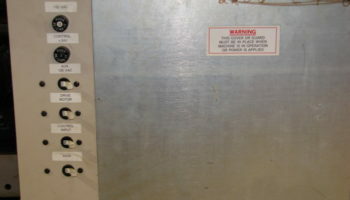 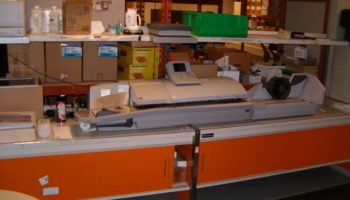 Browse our inventory and be sure to click on an item for more details and photos. 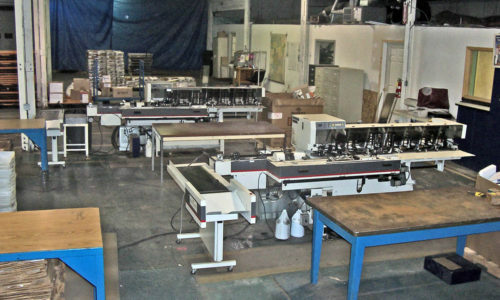 Call 1-800-842-4901 for pricing and information. 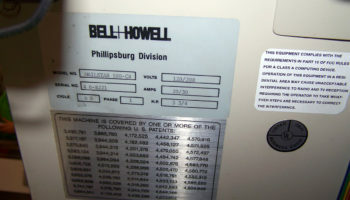 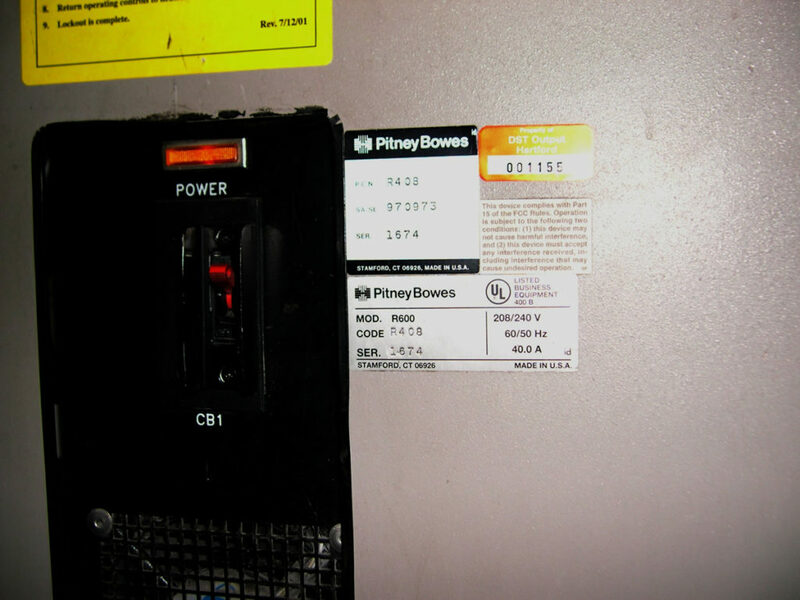 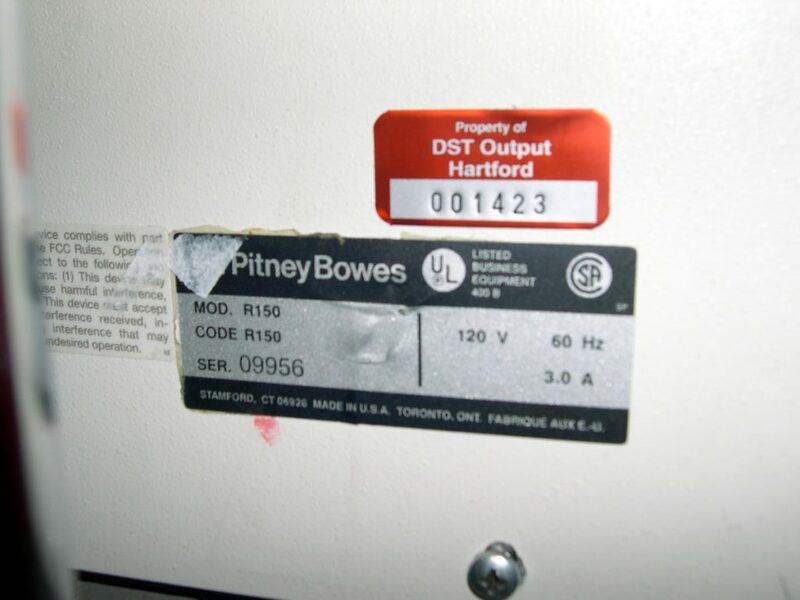 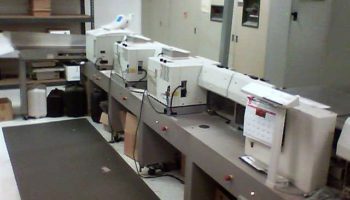 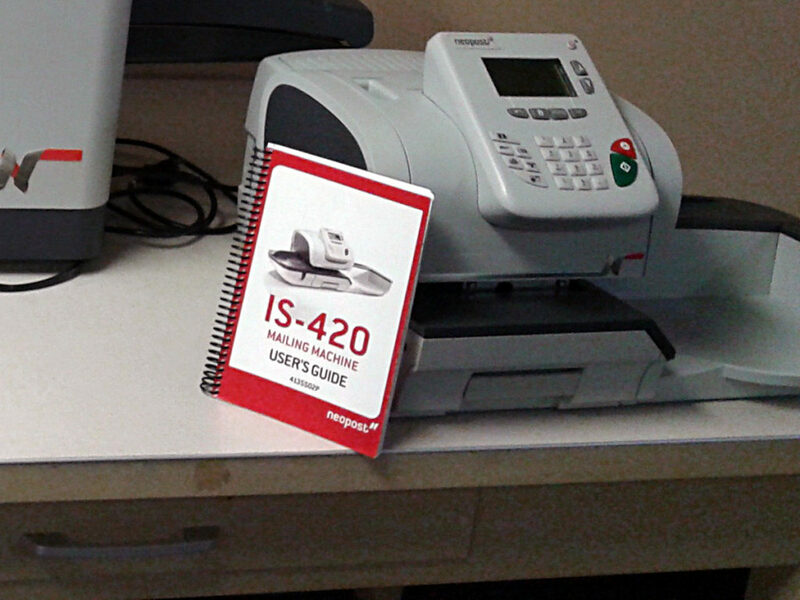 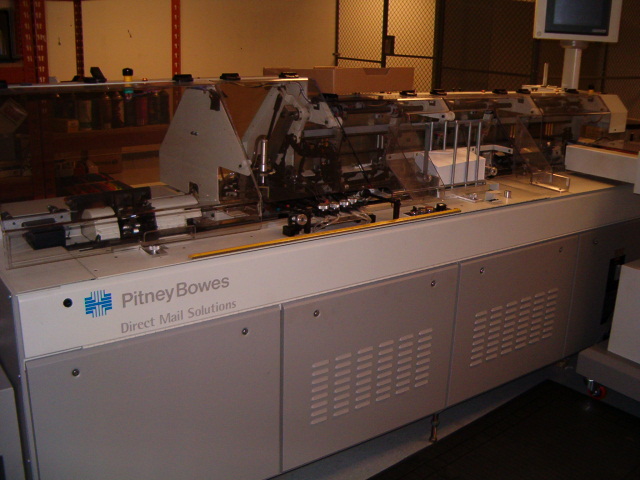 Inserting systems and other products by PitneyBowes, Bell & Howell, GBR, Standard, Mailcrafter and more are updated and added regularly. 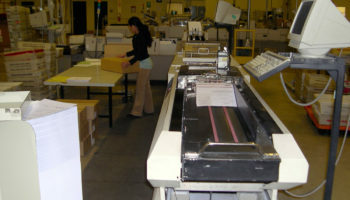 RBM will deliver a complete solution for your business. 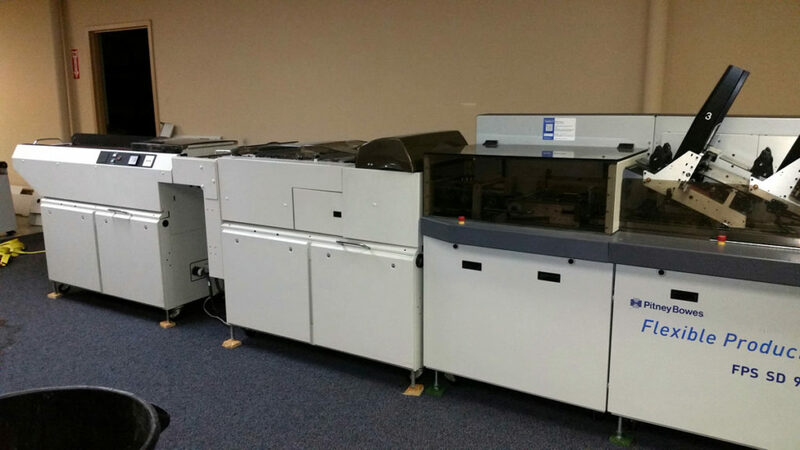 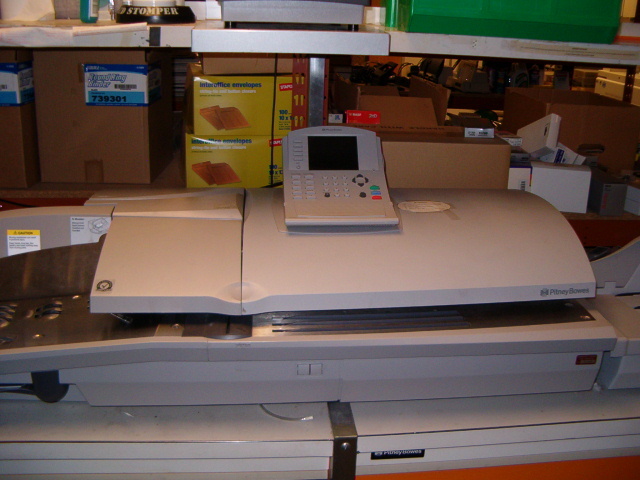 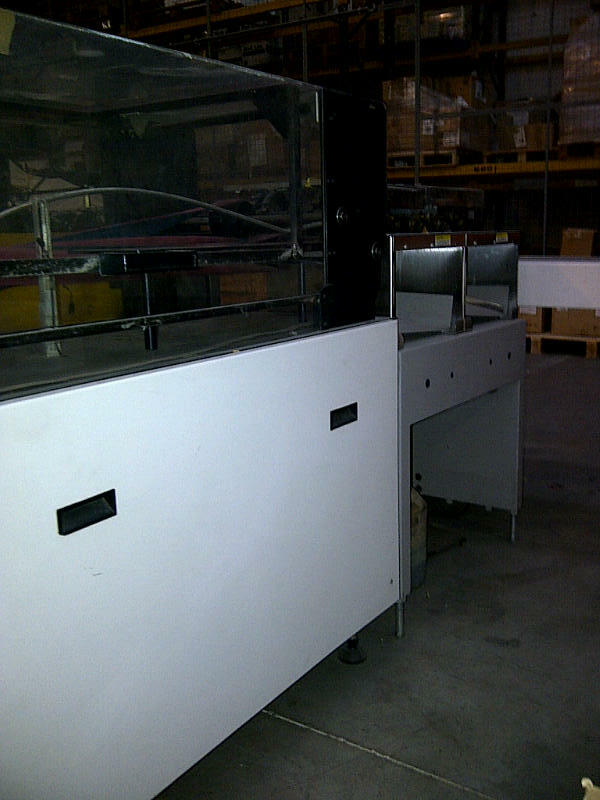 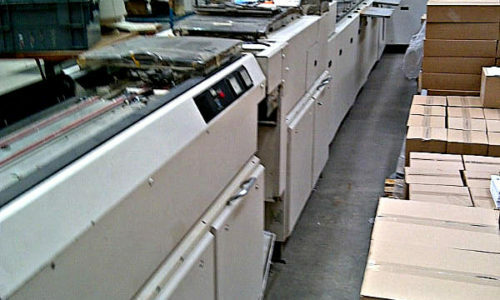 Both Units in Excellent Condition! 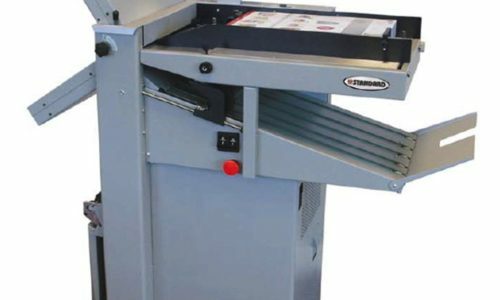 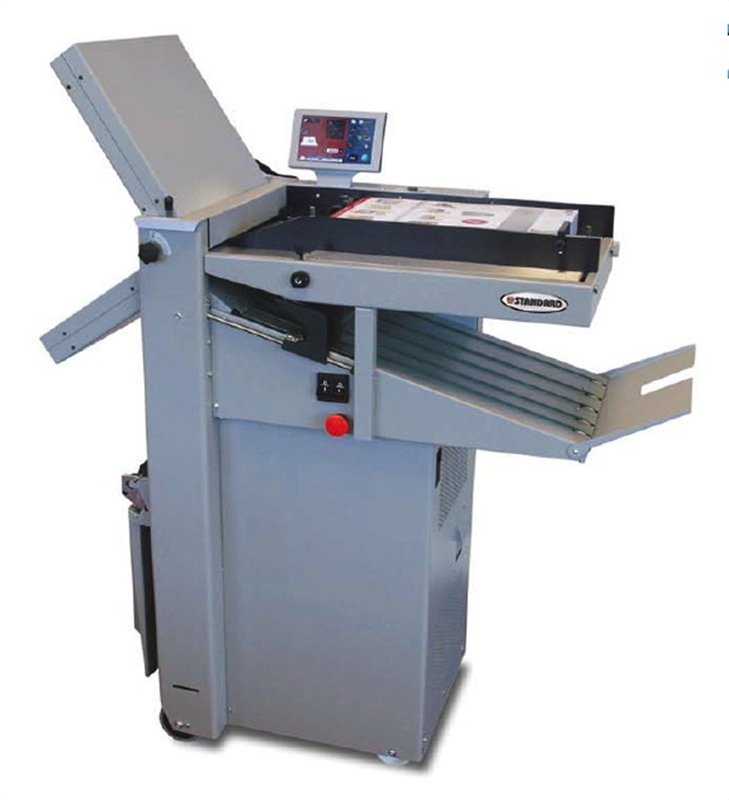 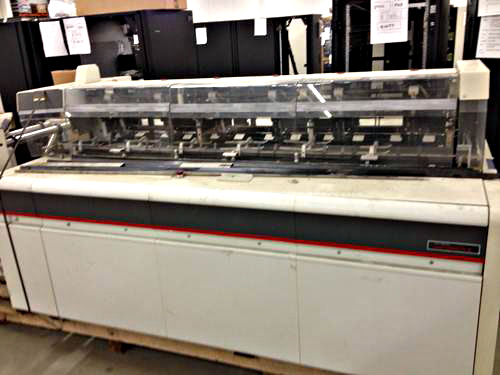 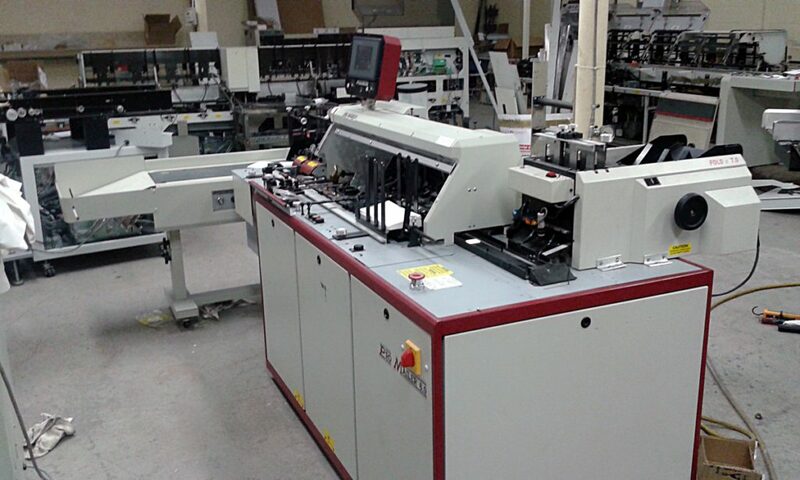 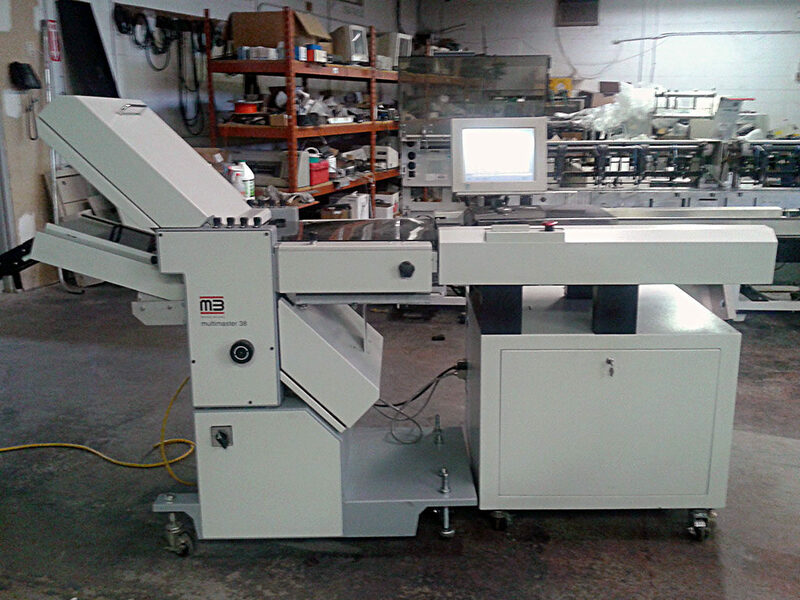 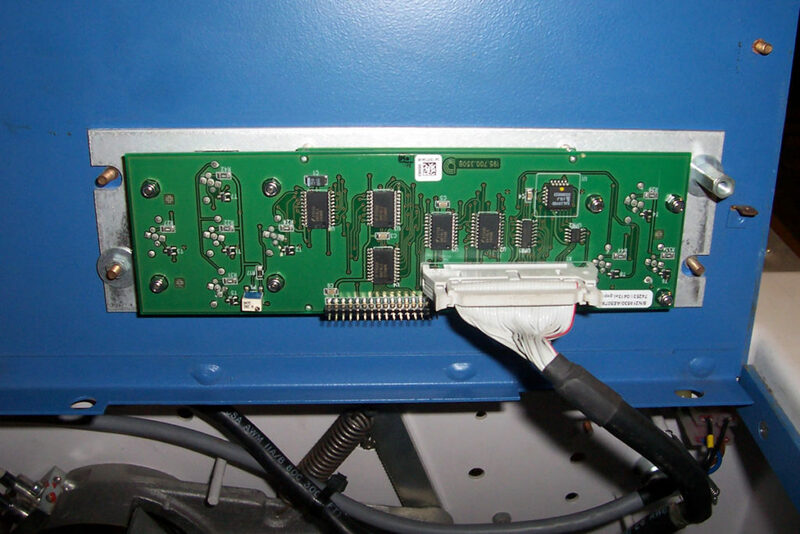 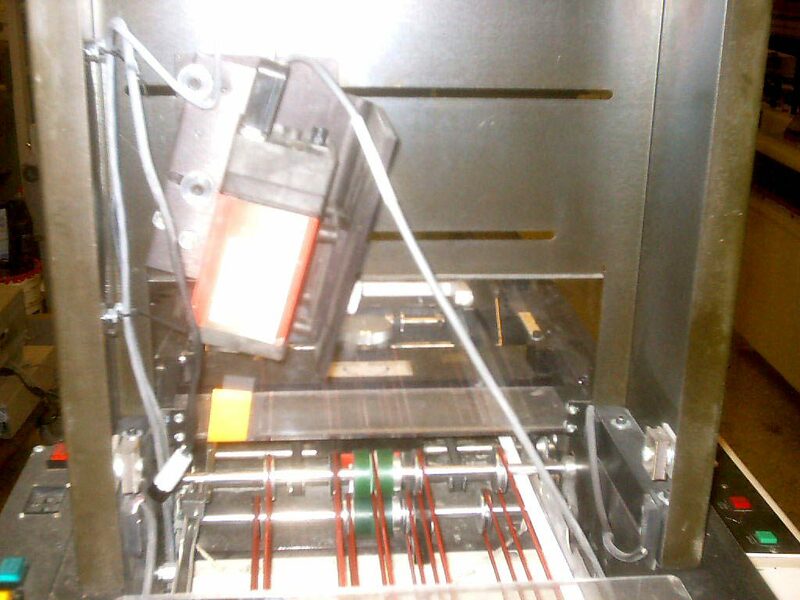 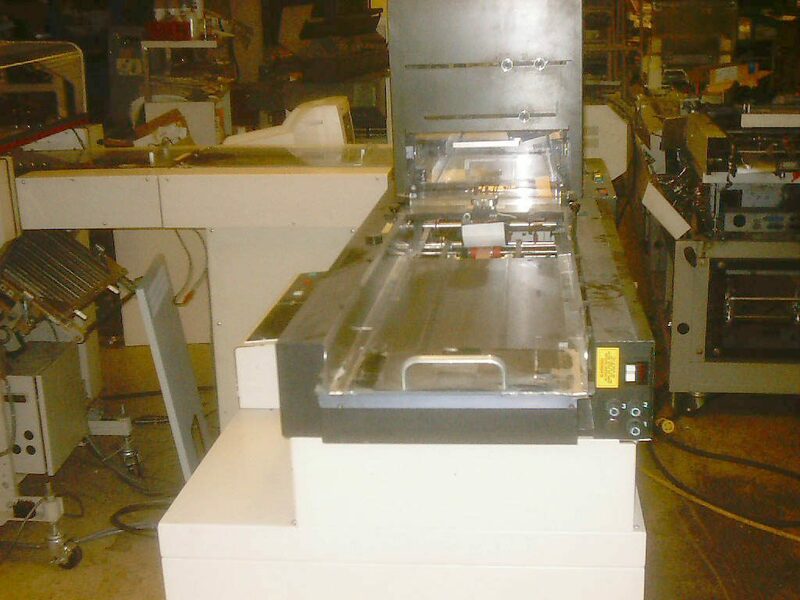 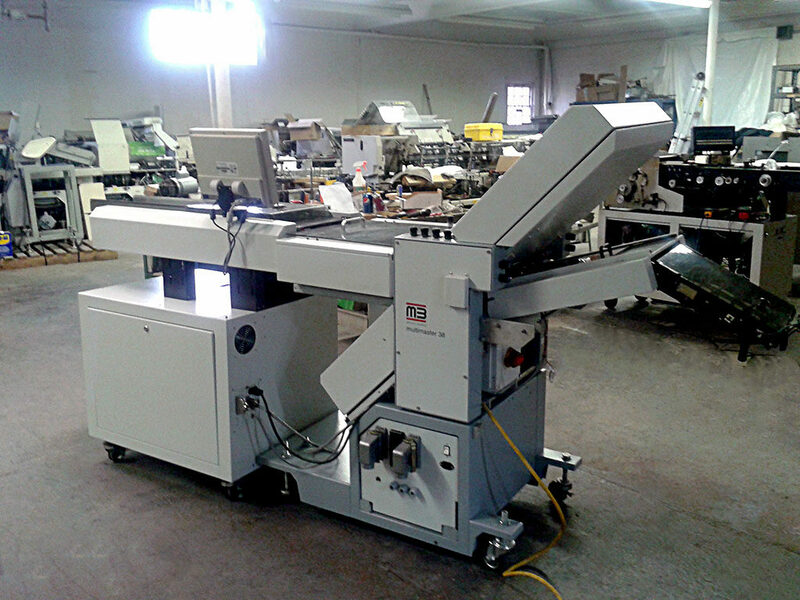 The Ideal 5221-05EP DigiCut is a programmable guillotine designed with a hydraulic clamp. 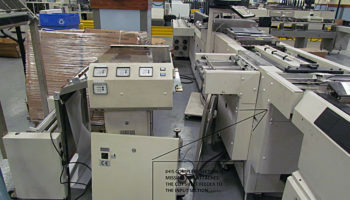 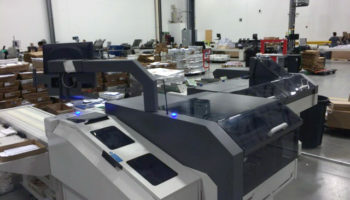 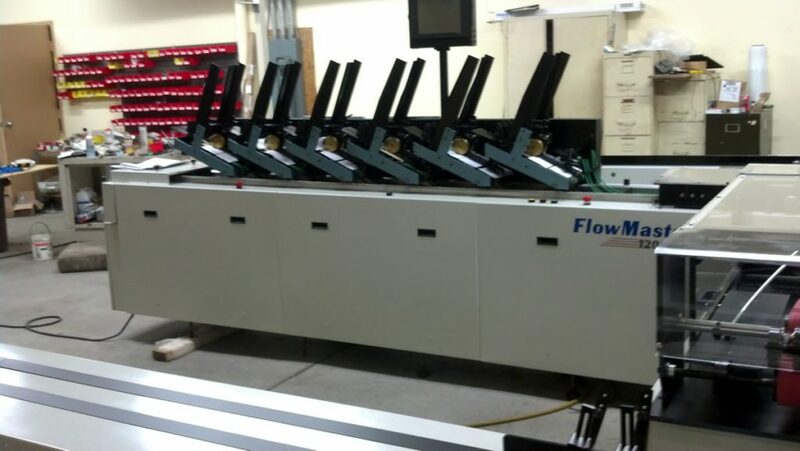 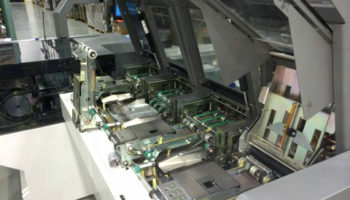 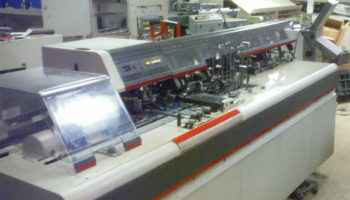 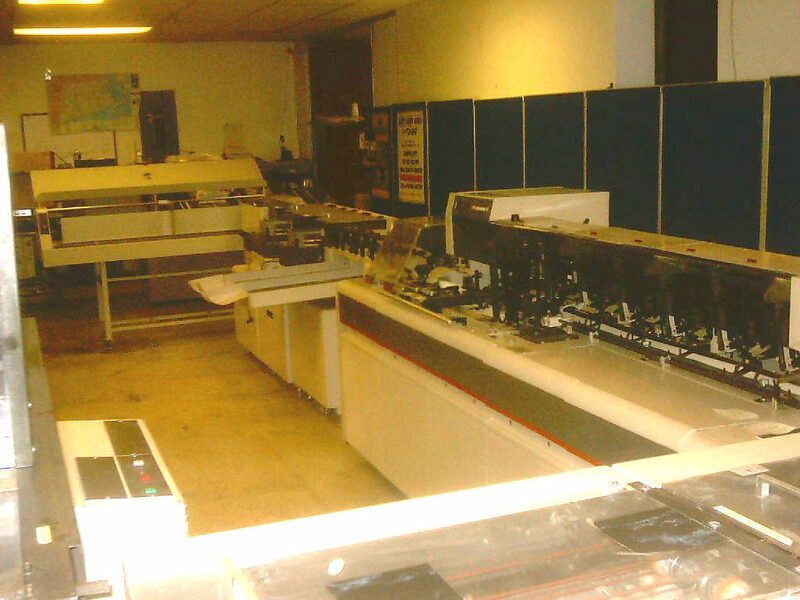 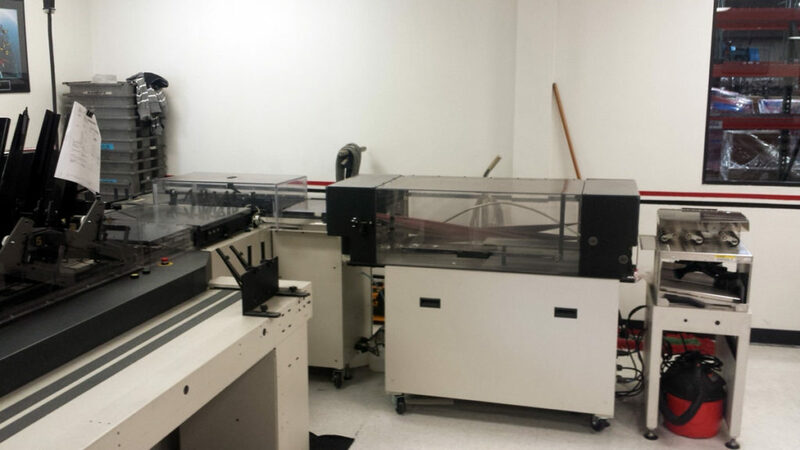 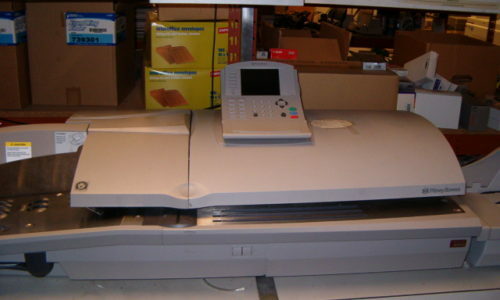 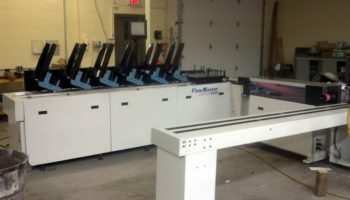 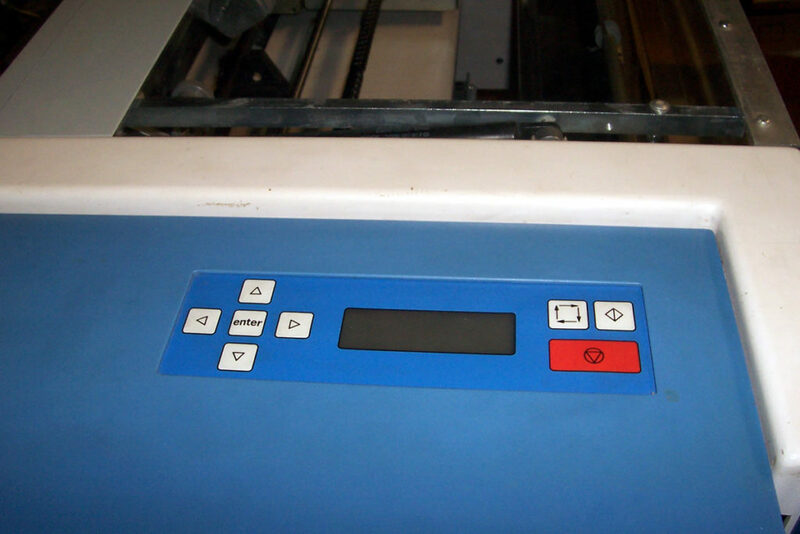 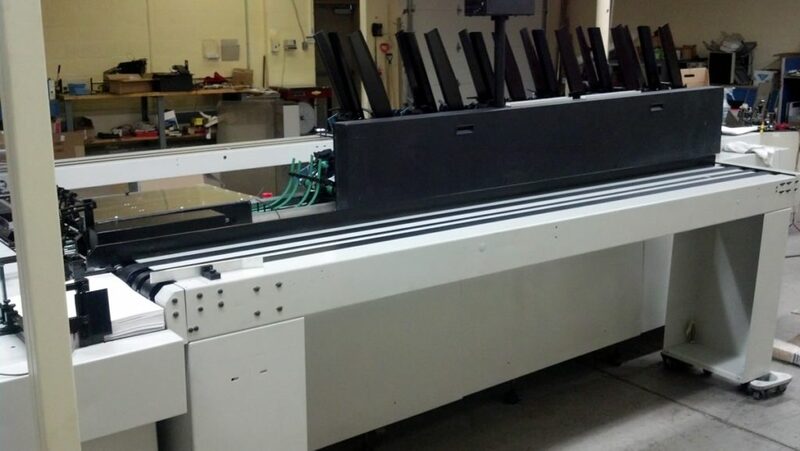 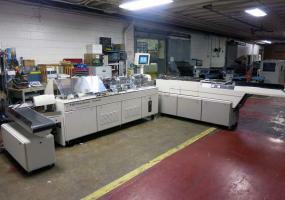 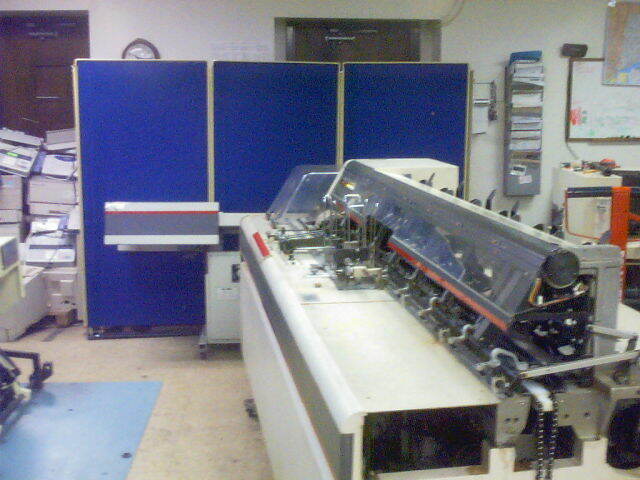 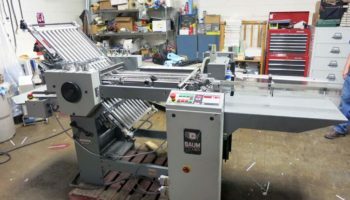 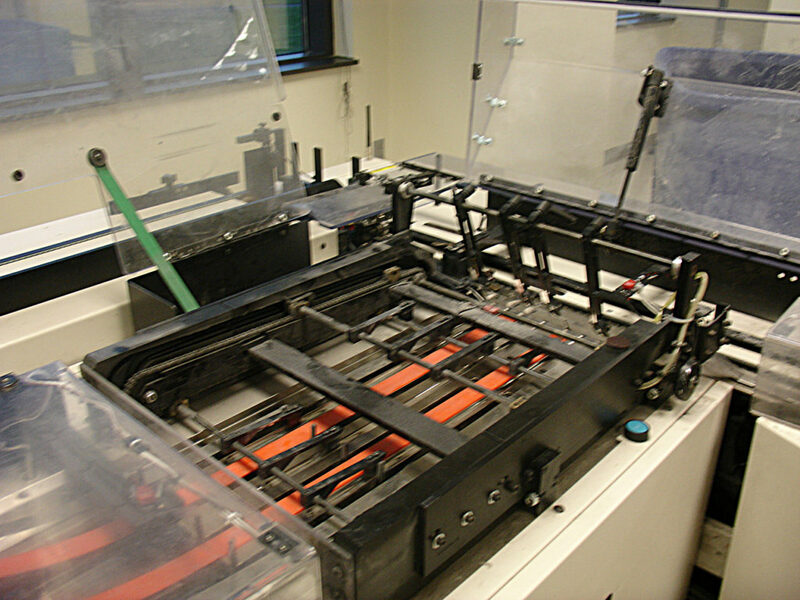 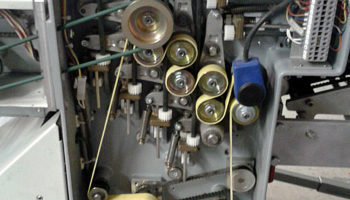 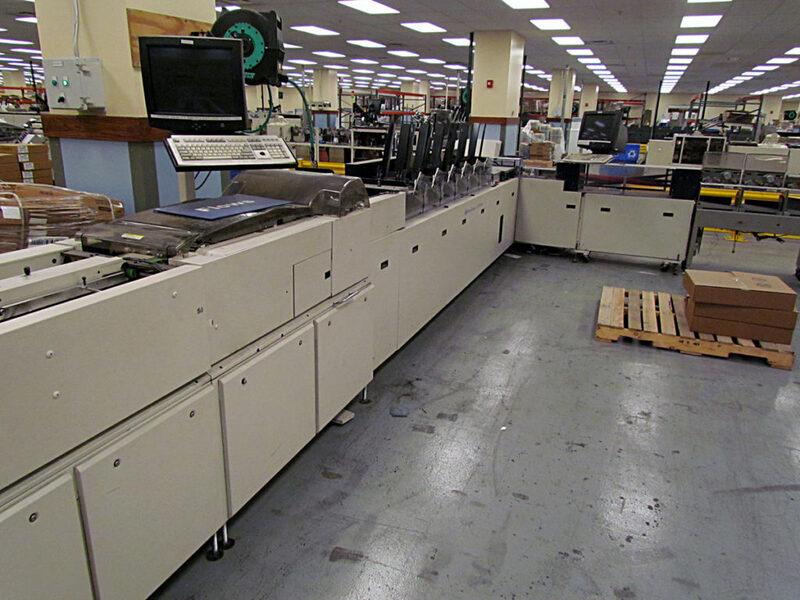 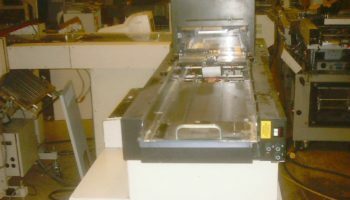 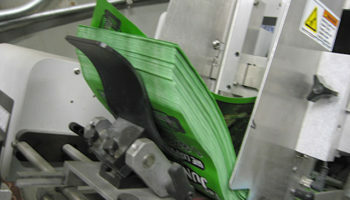 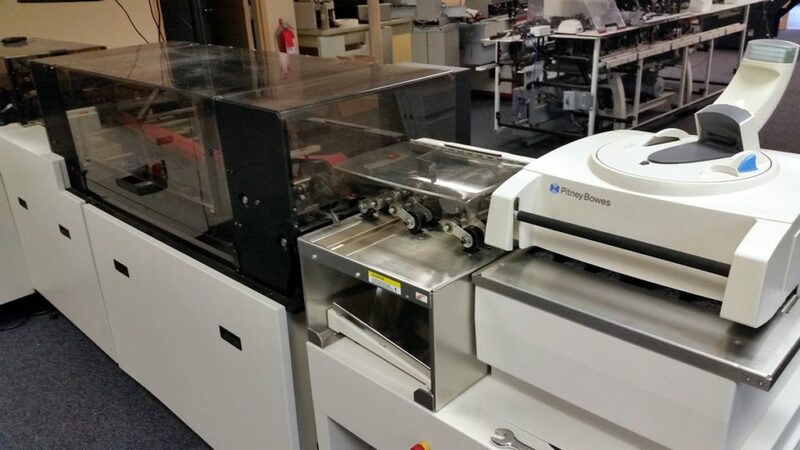 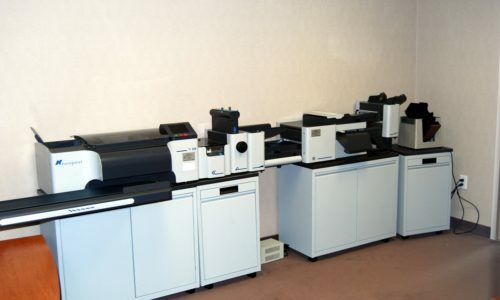 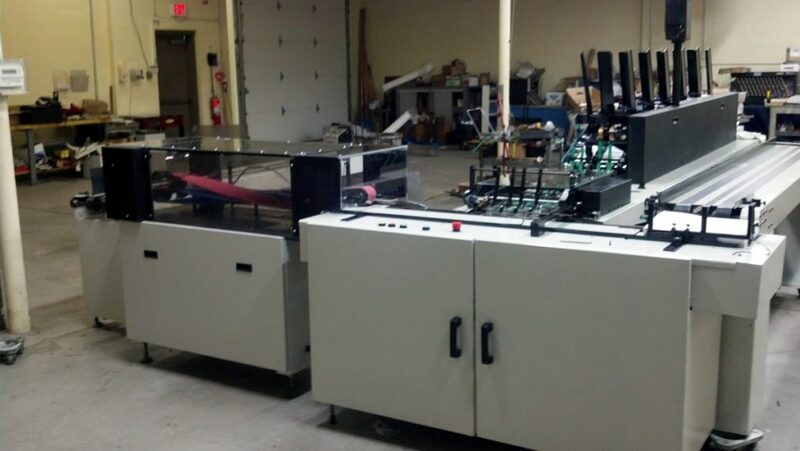 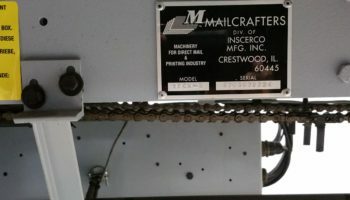 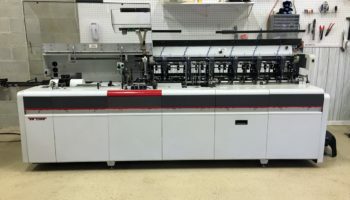 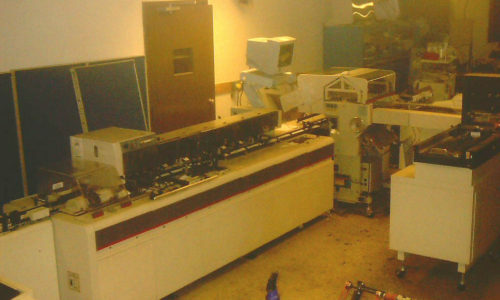 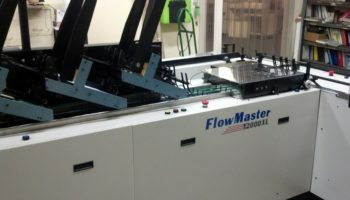 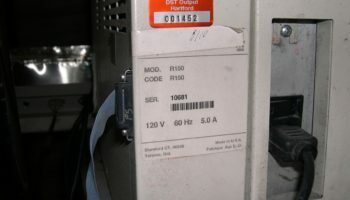 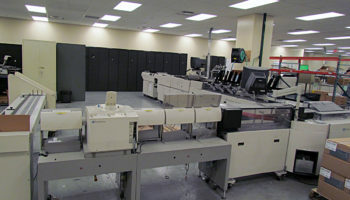 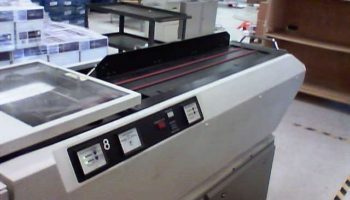 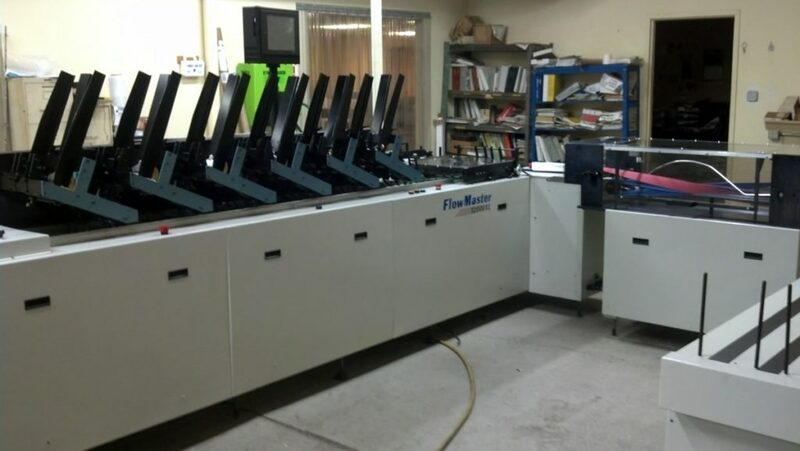 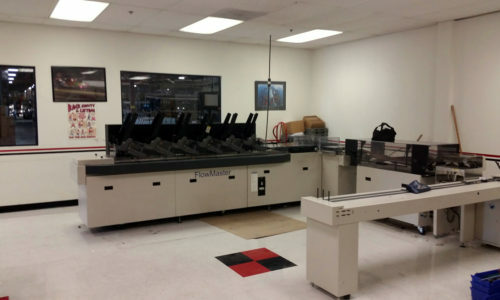 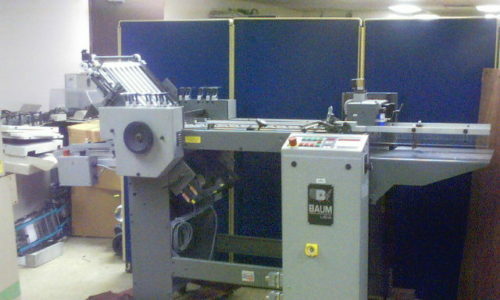 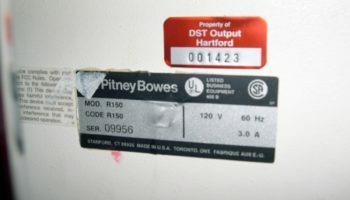 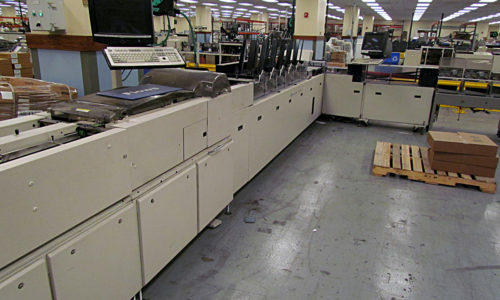 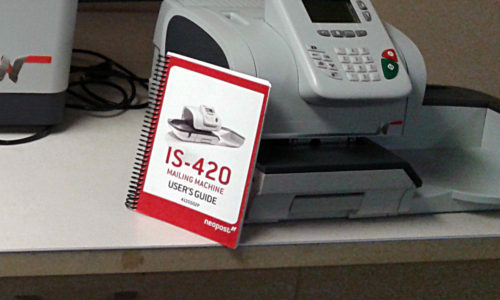 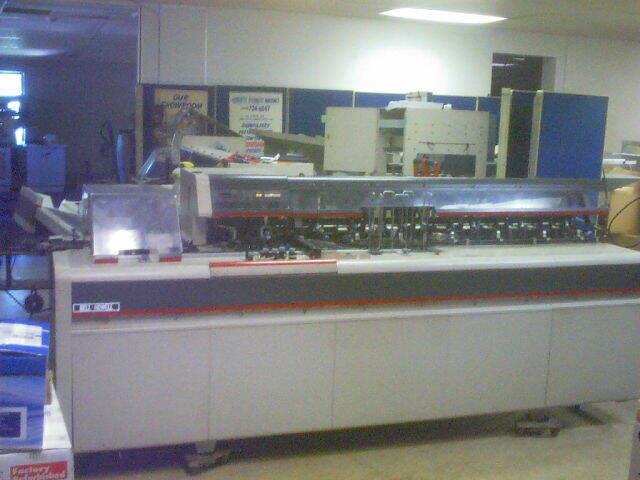 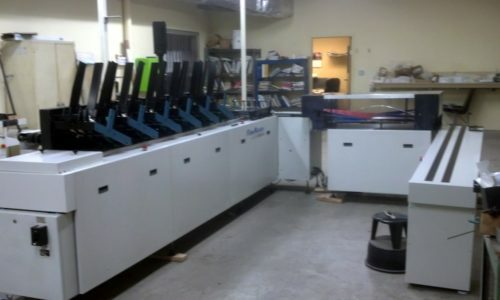 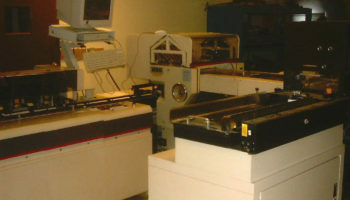 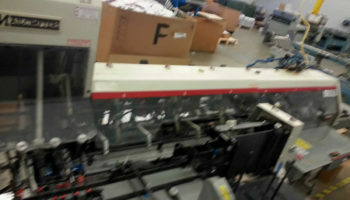 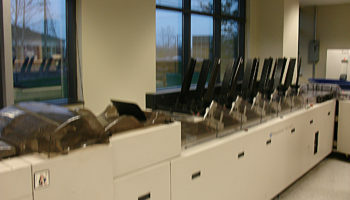 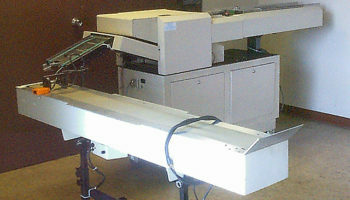 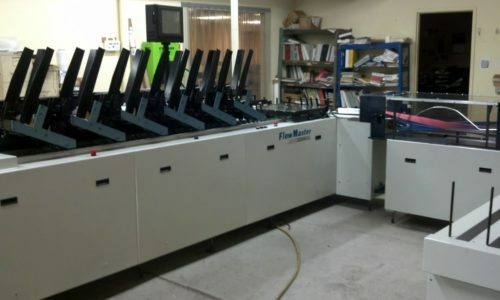 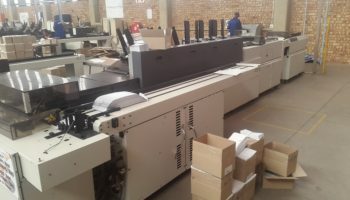 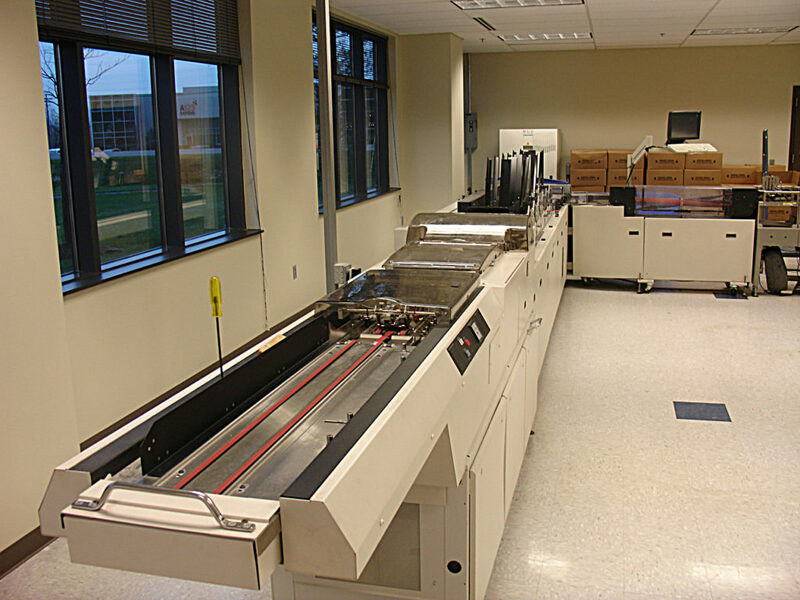 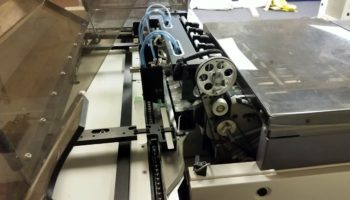 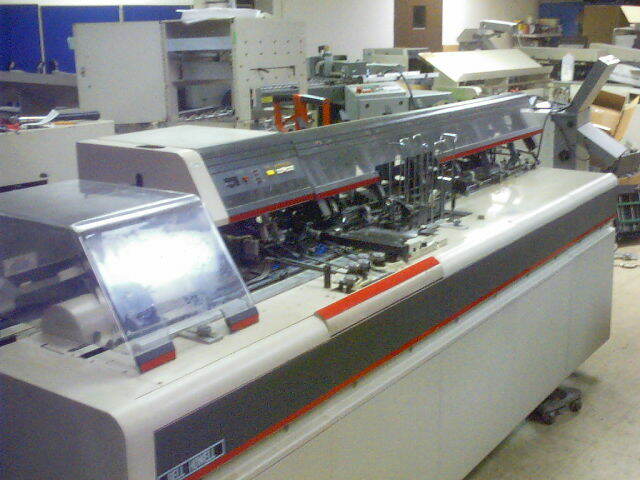 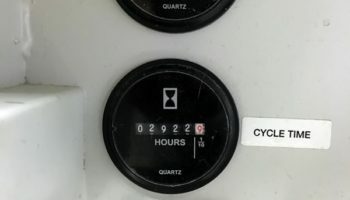 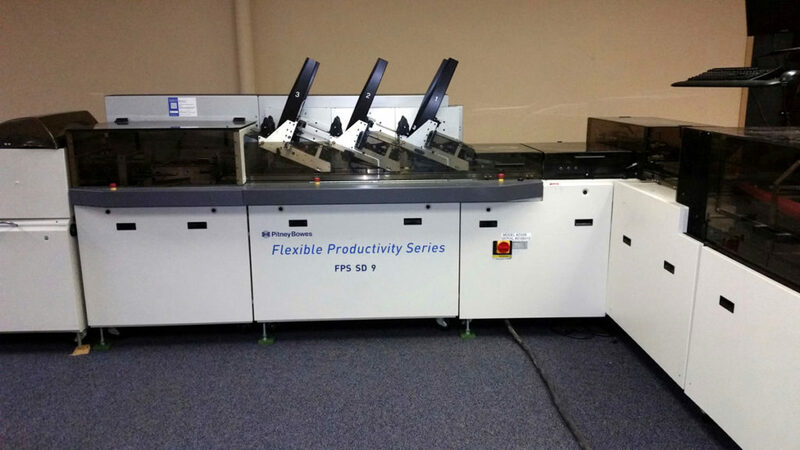 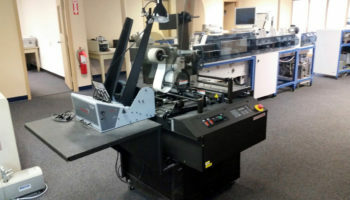 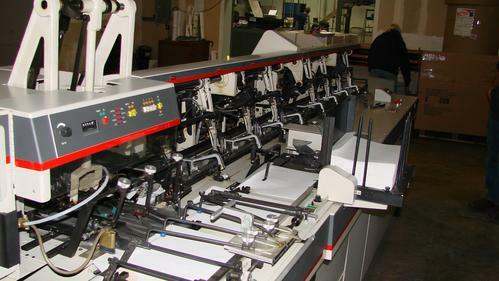 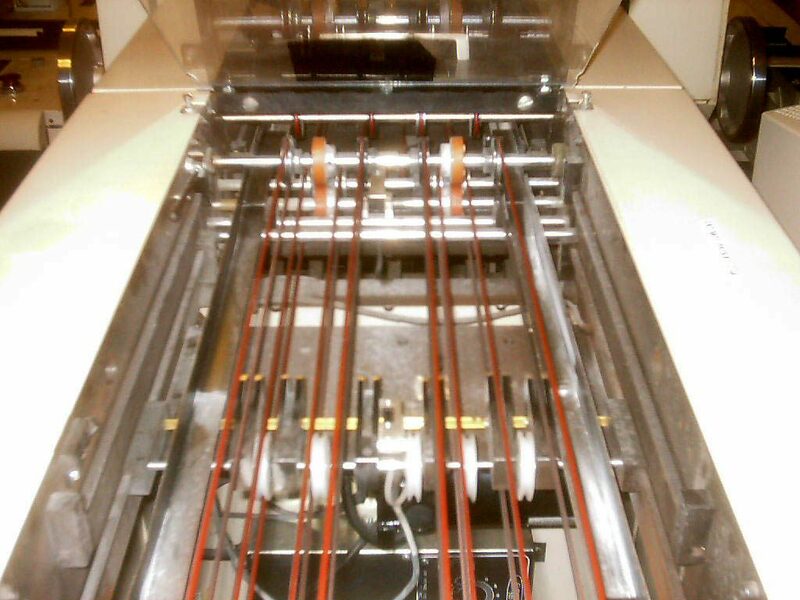 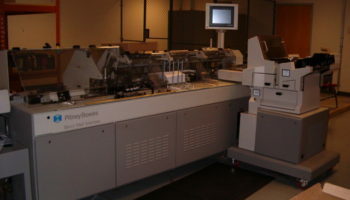 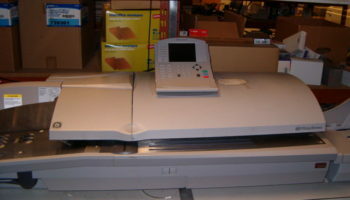 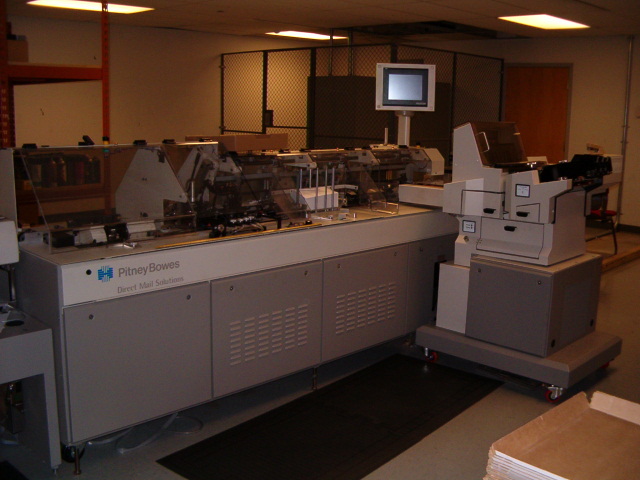 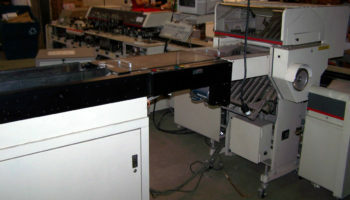 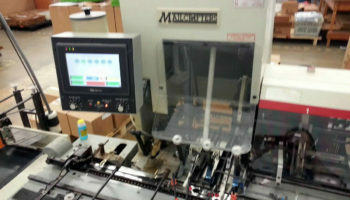 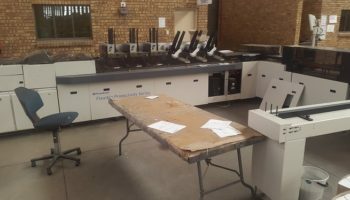 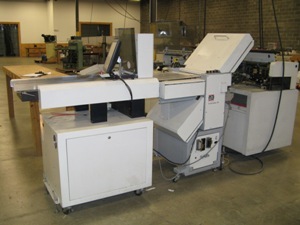 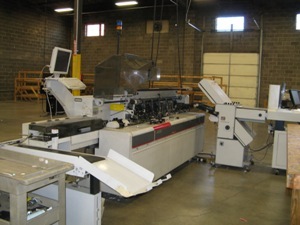 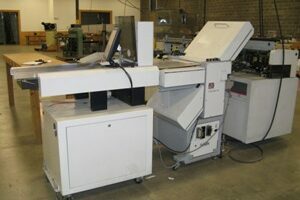 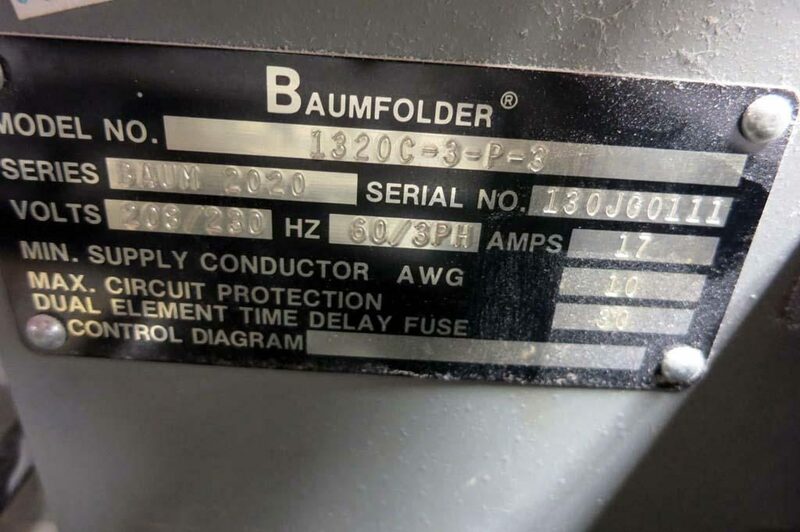 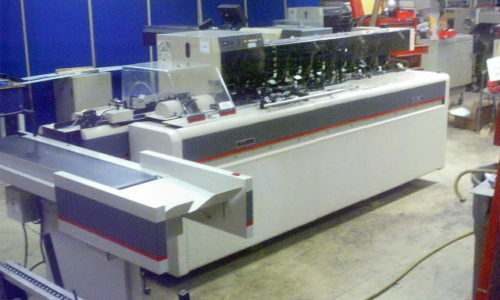 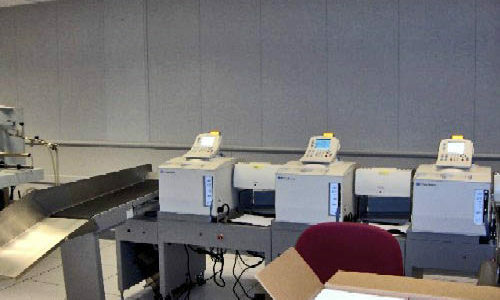 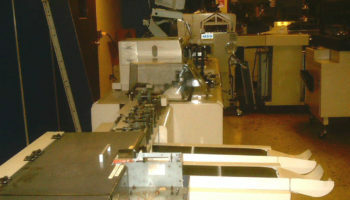 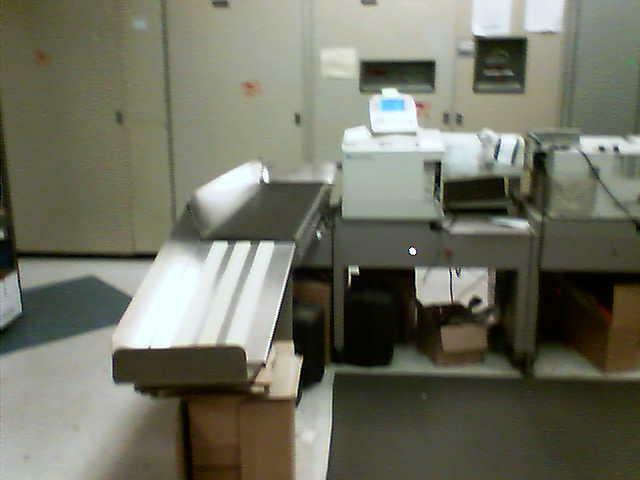 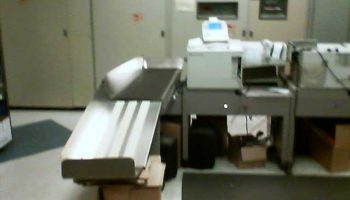 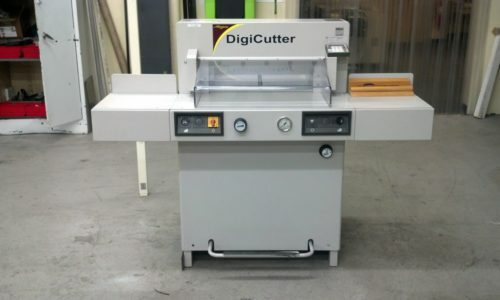 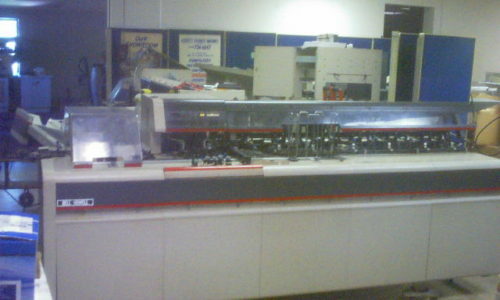 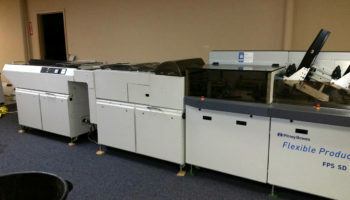 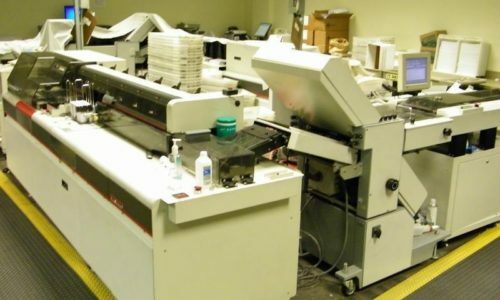 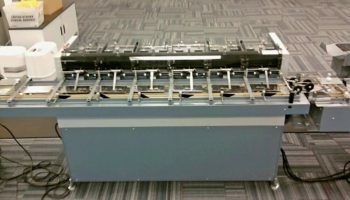 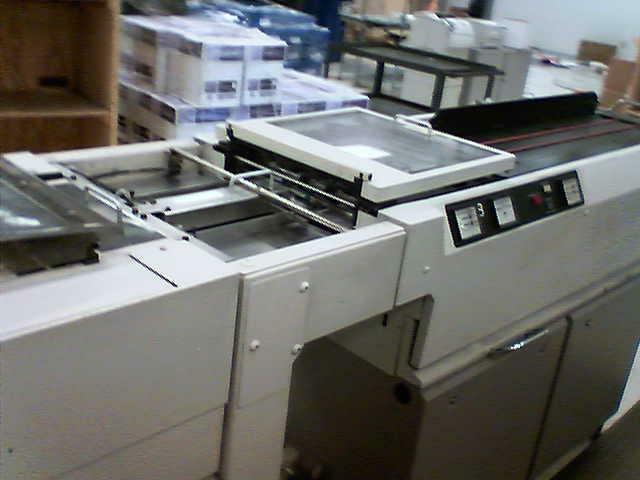 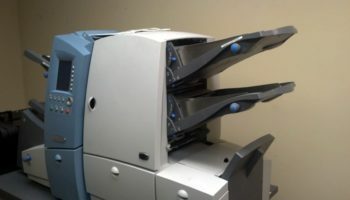 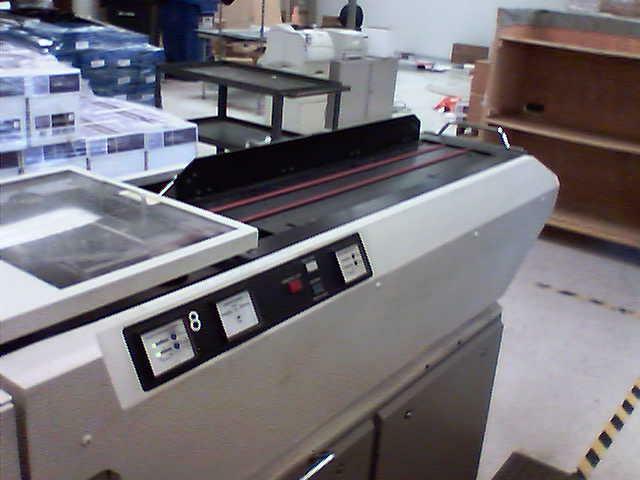 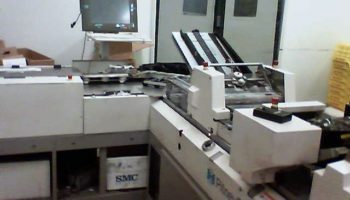 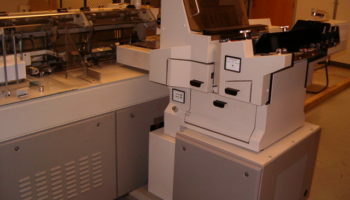 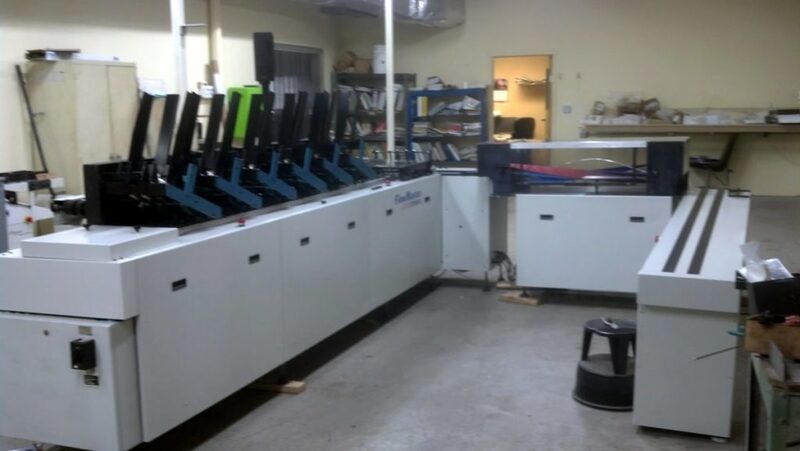 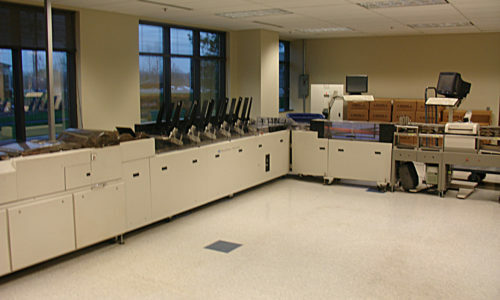 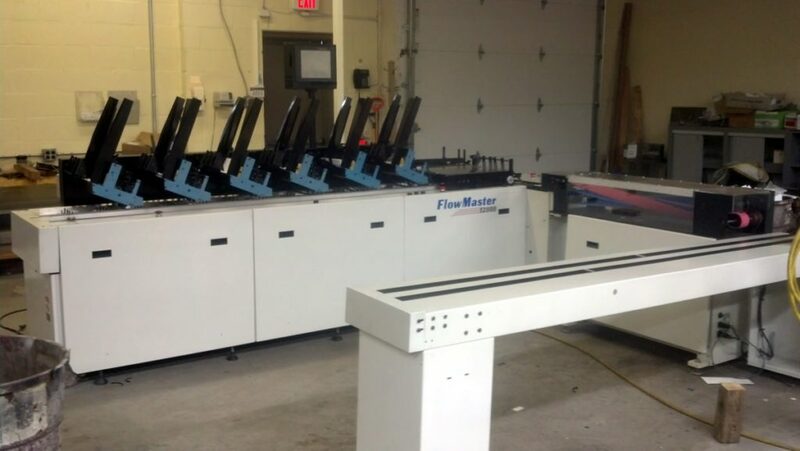 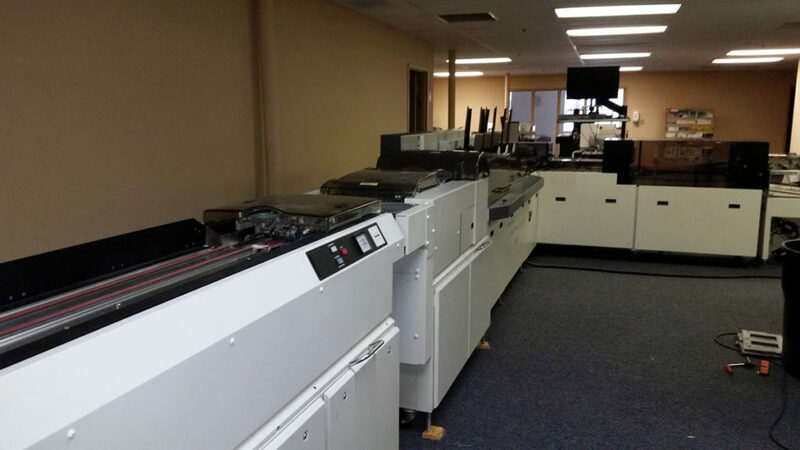 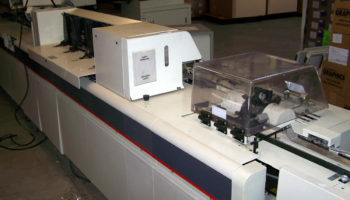 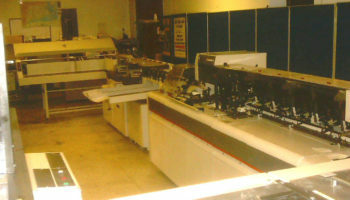 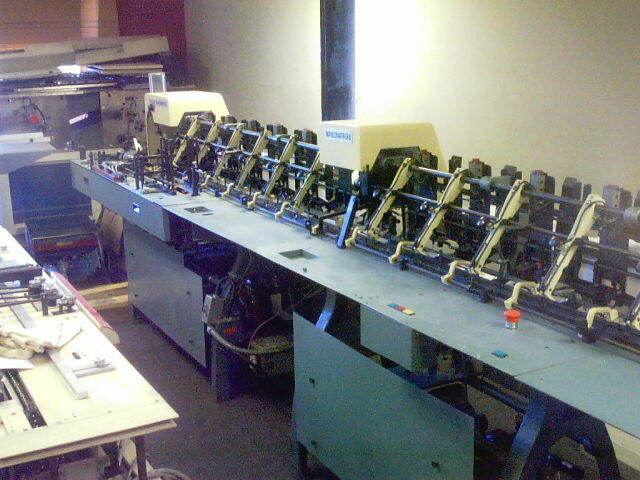 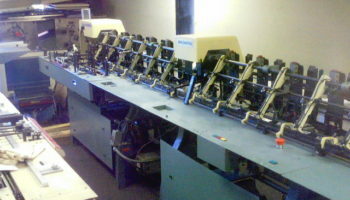 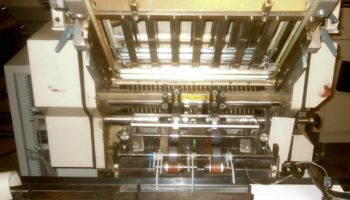 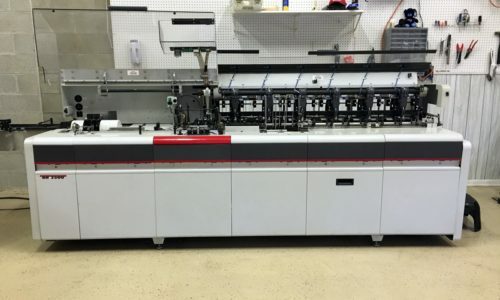 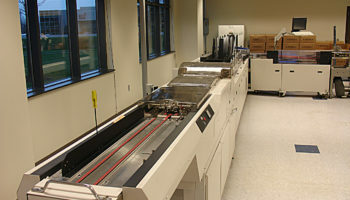 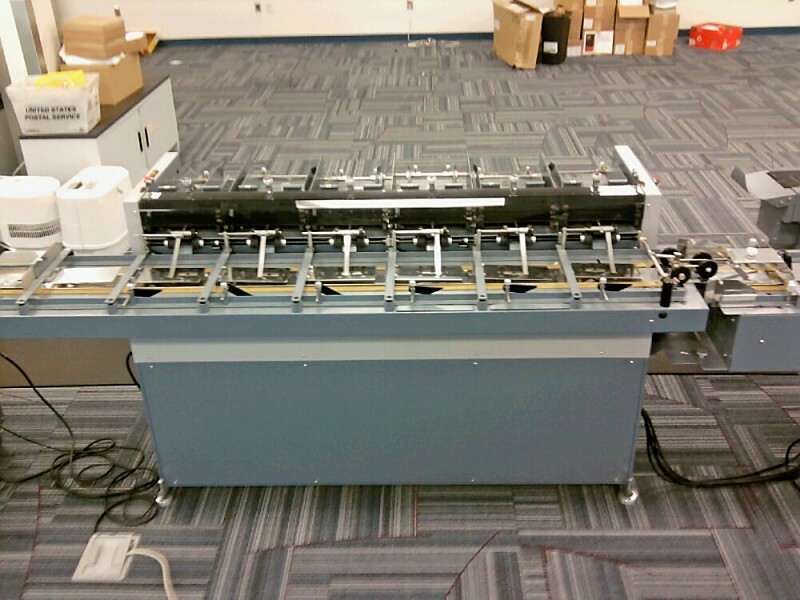 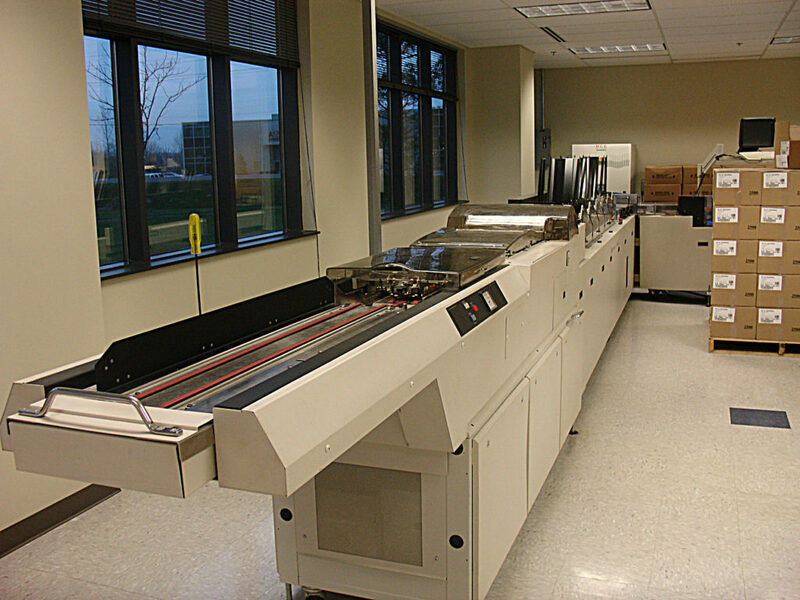 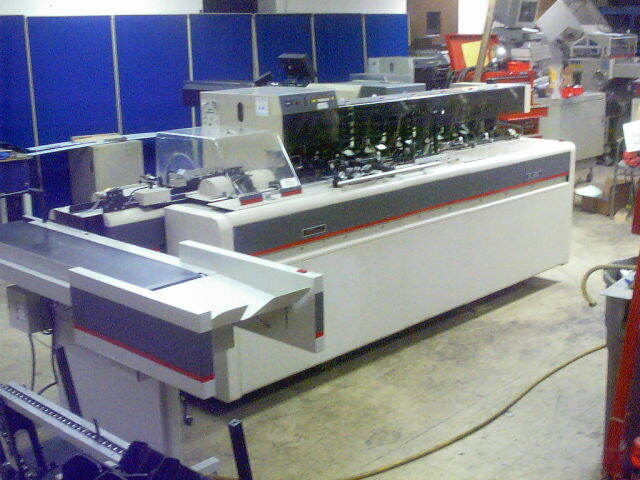 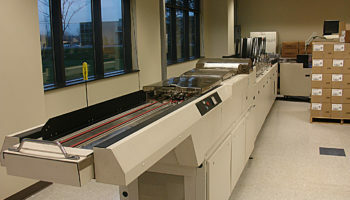 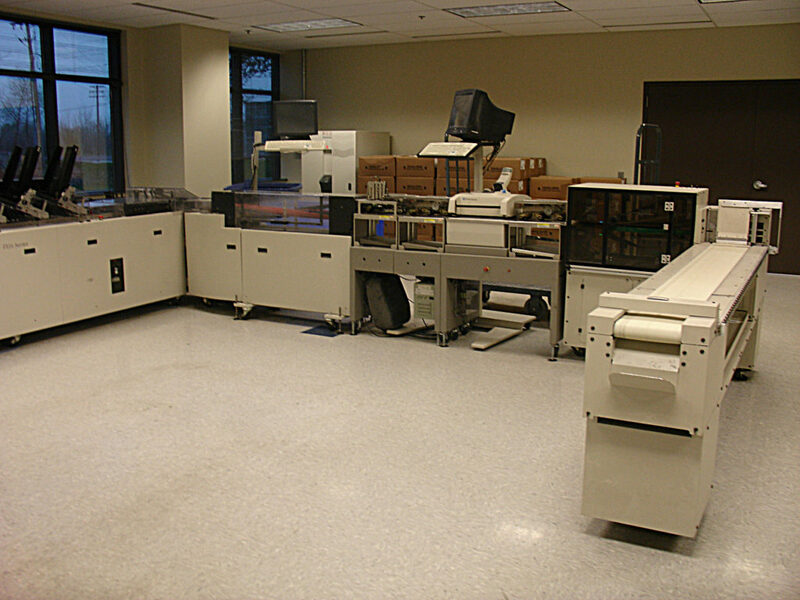 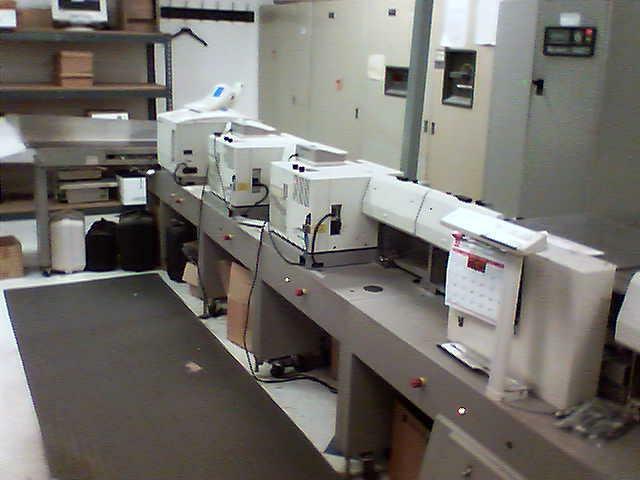 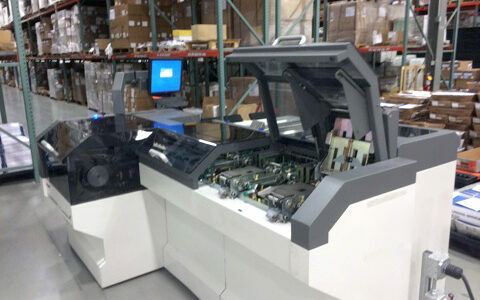 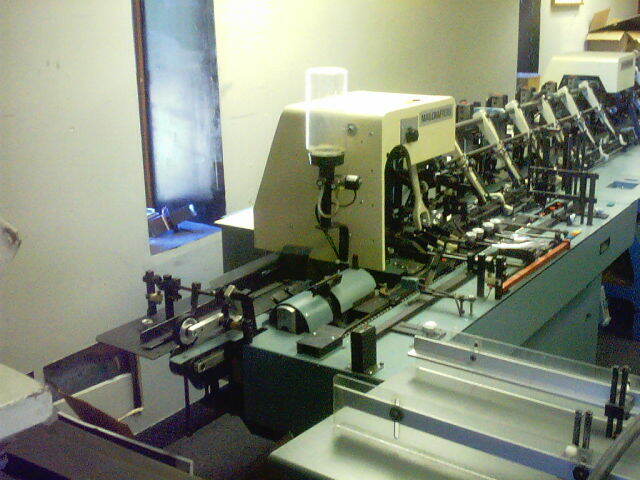 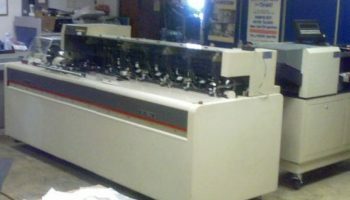 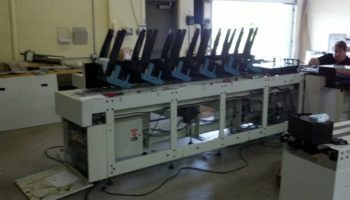 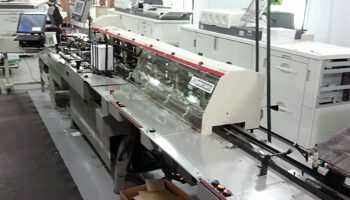 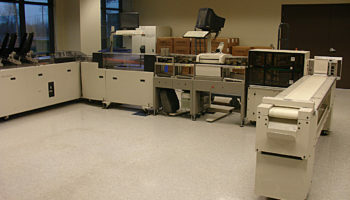 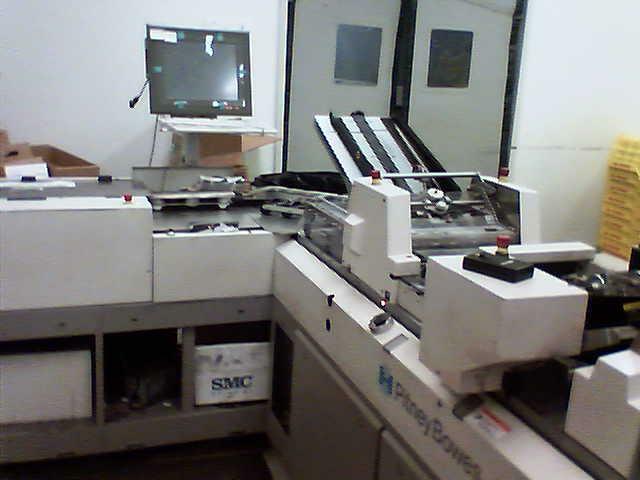 The DigiCut is perfect for trimming digital print jobs. 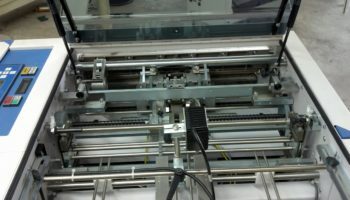 It has a clamping pressure that is infinitely adjustable with optical indicator. 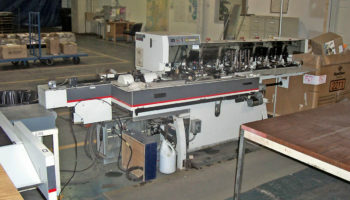 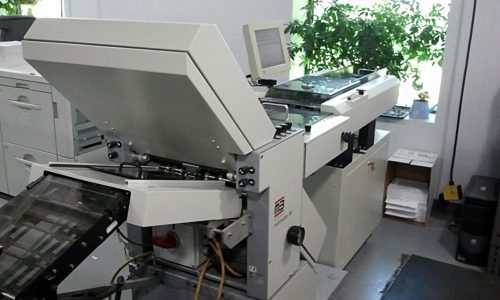 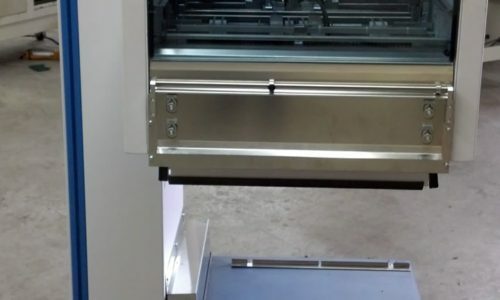 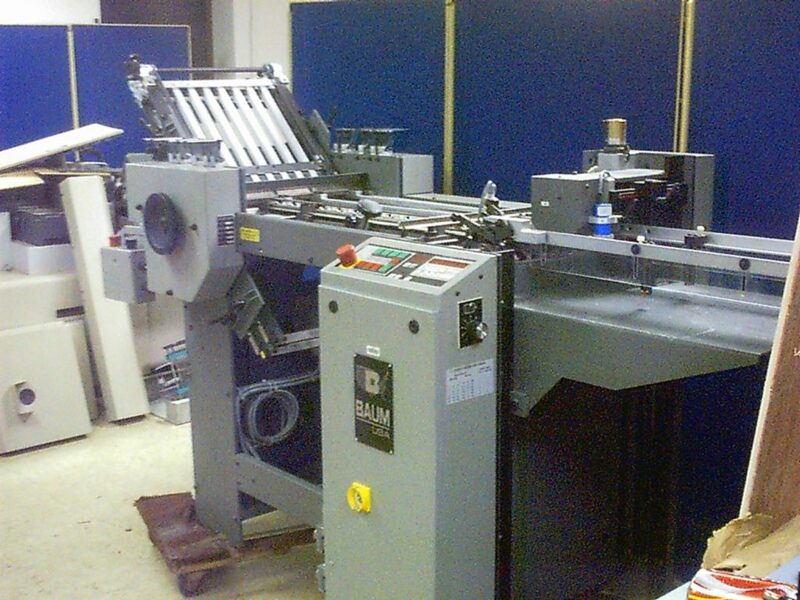 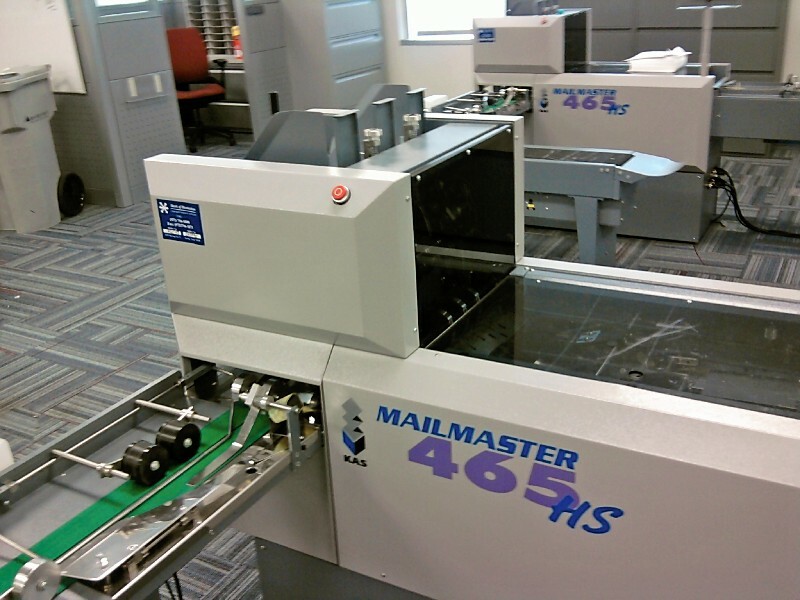 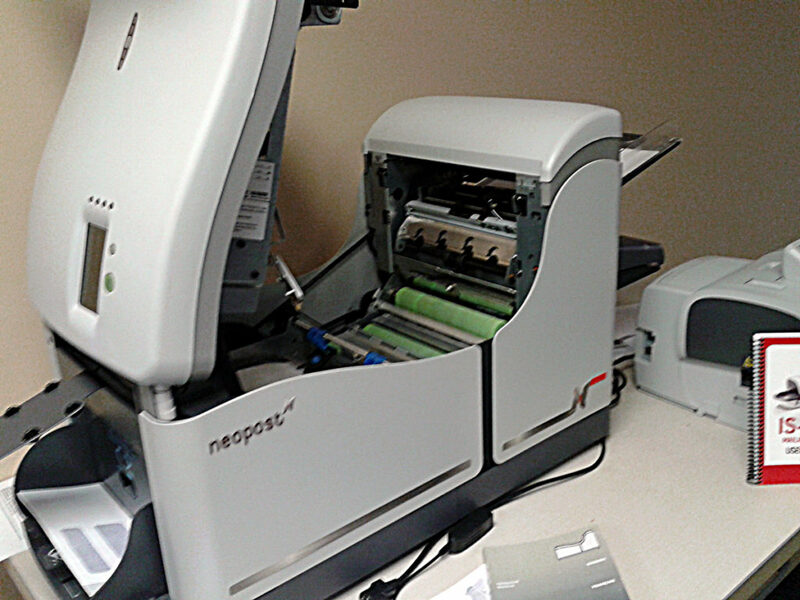 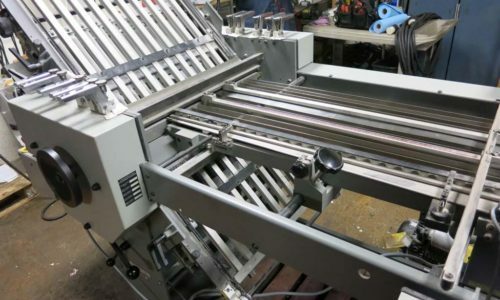 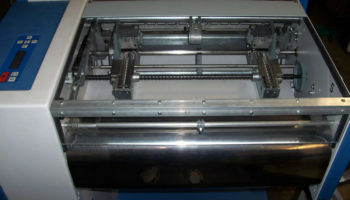 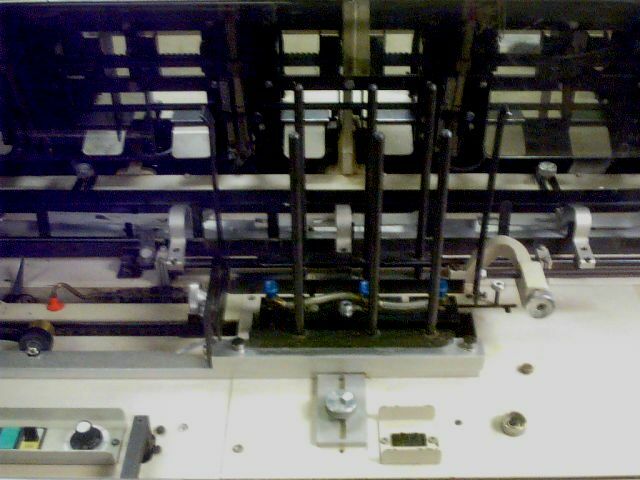 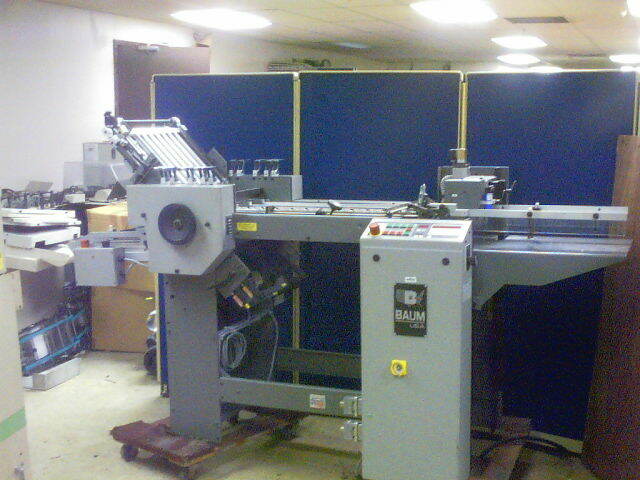 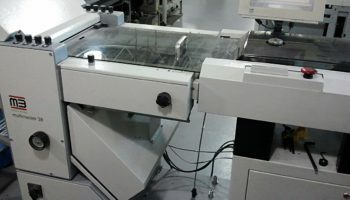 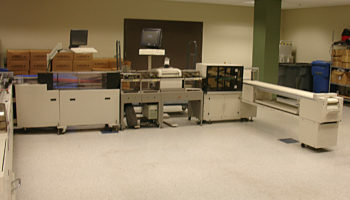 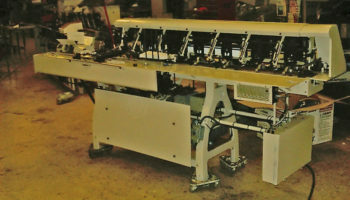 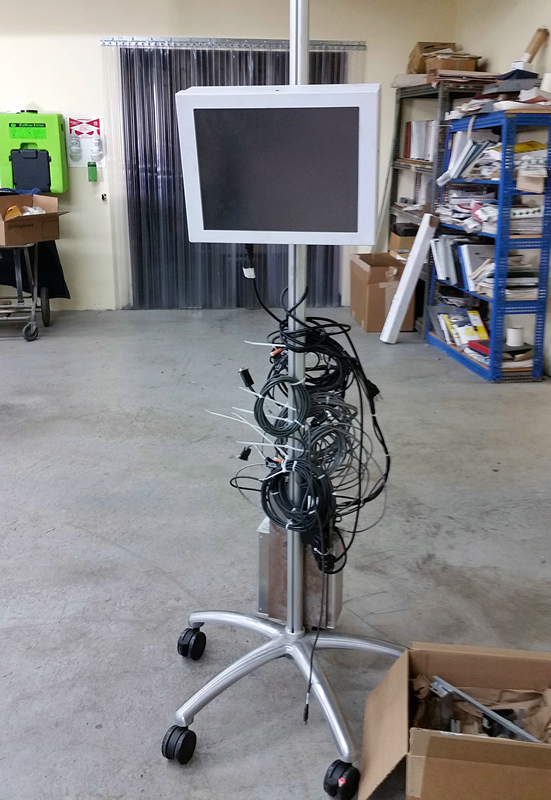 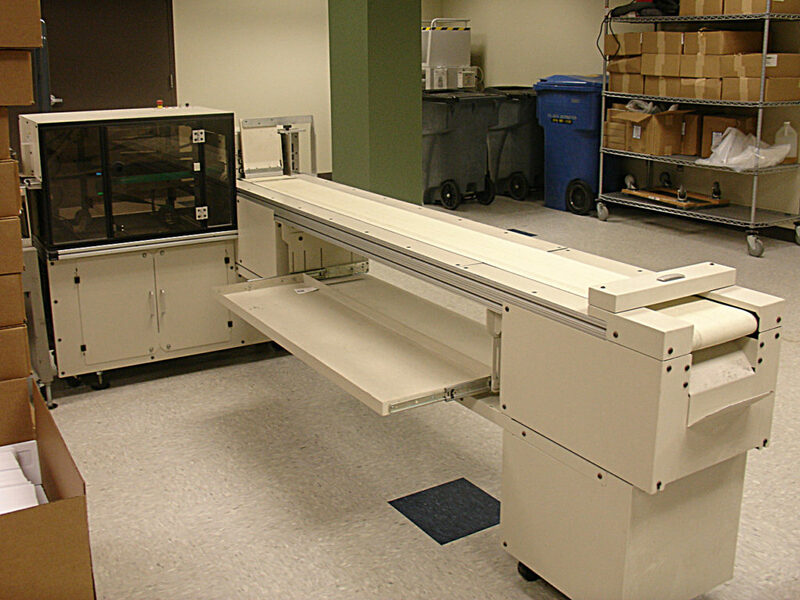 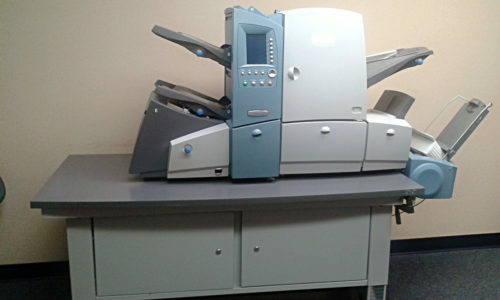 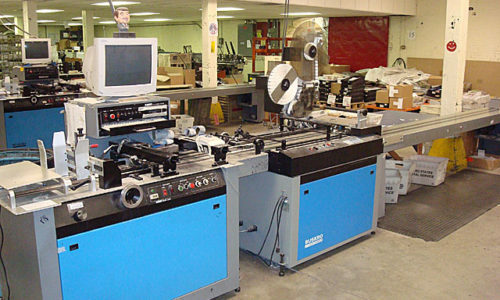 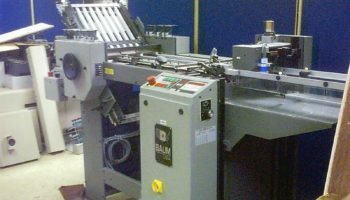 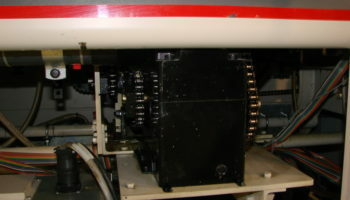 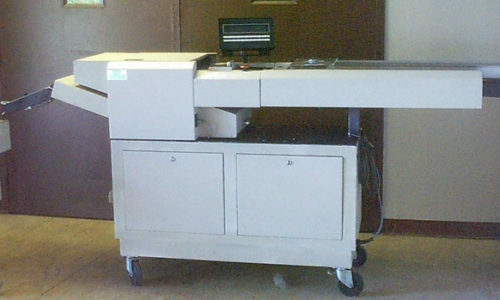 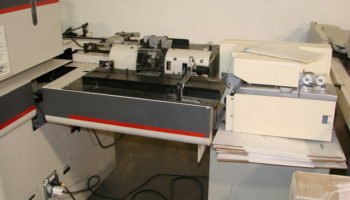 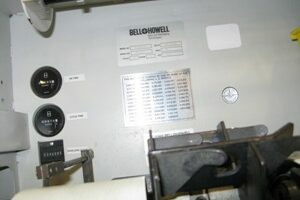 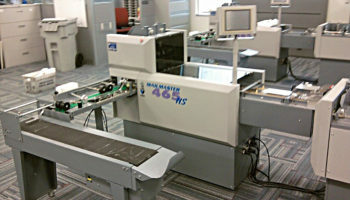 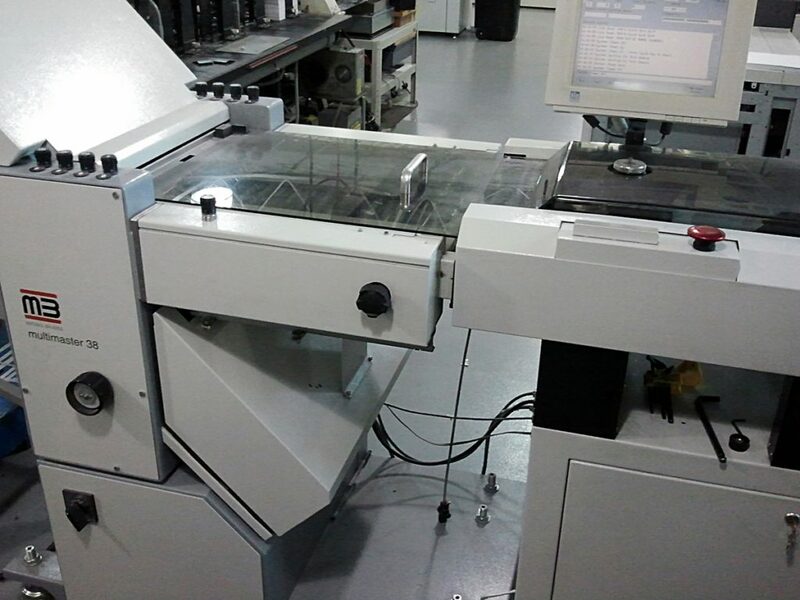 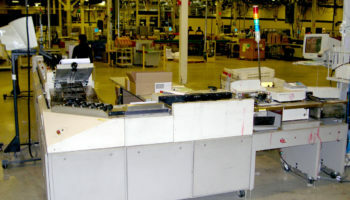 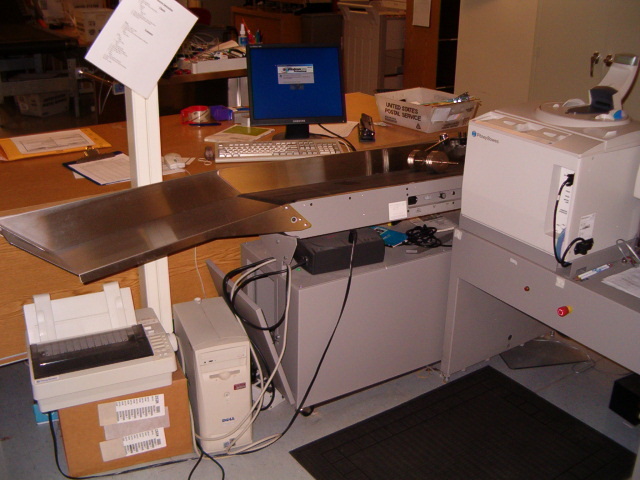 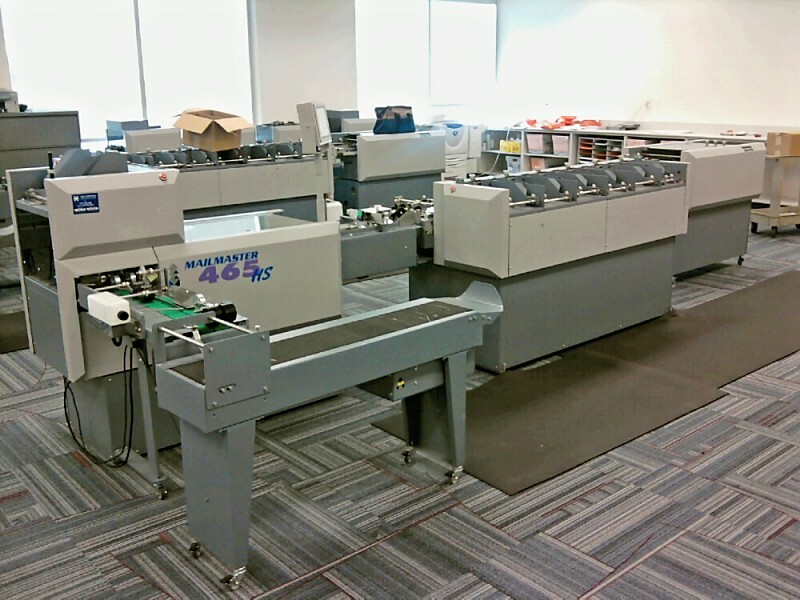 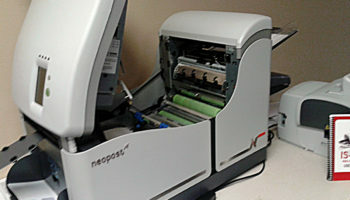 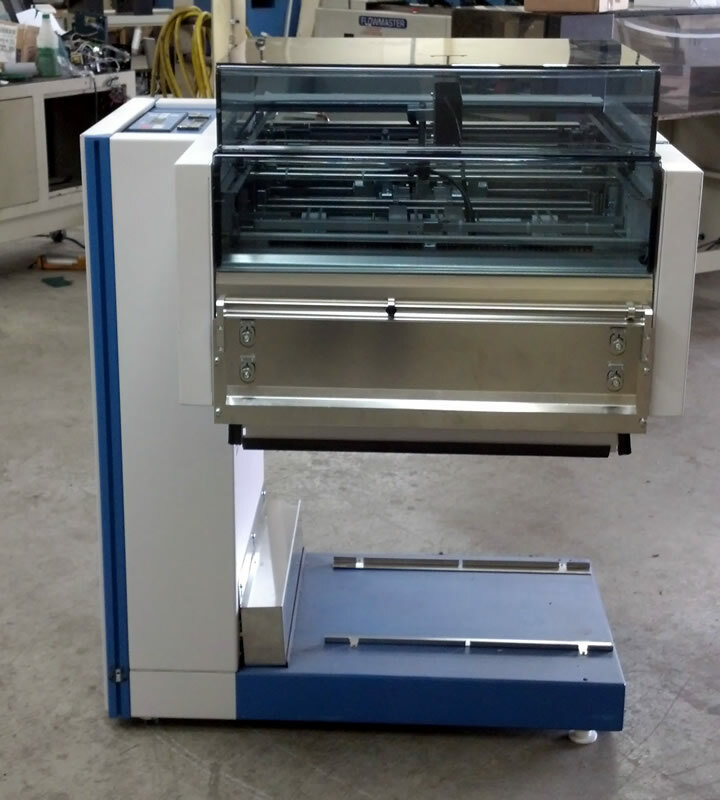 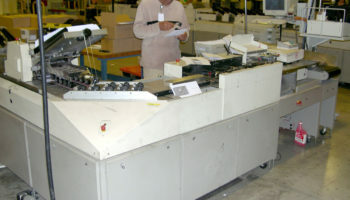 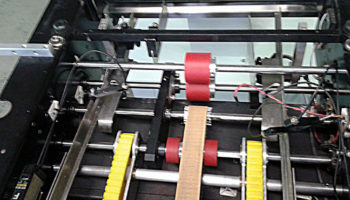 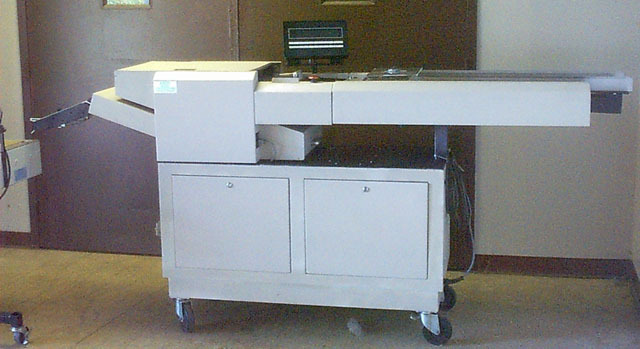 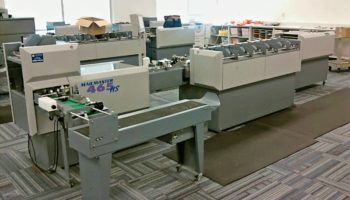 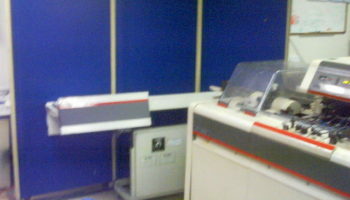 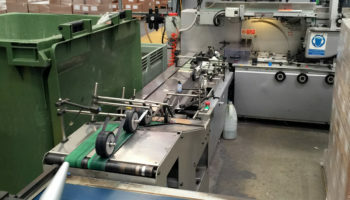 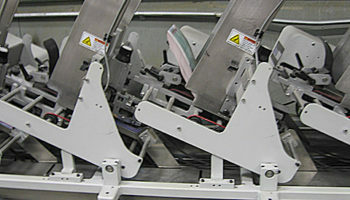 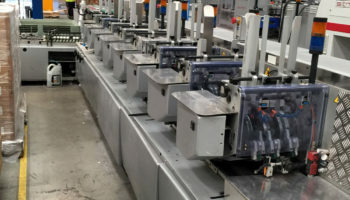 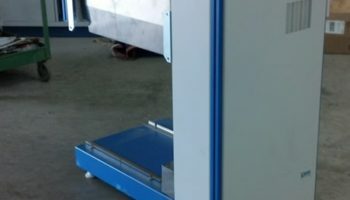 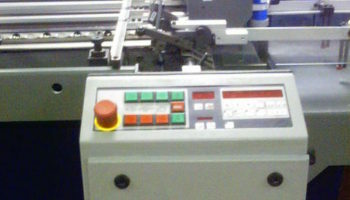 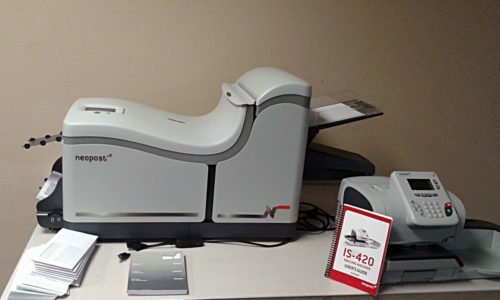 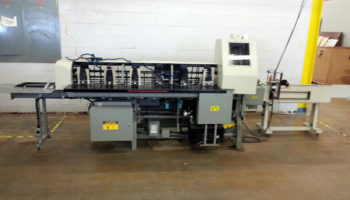 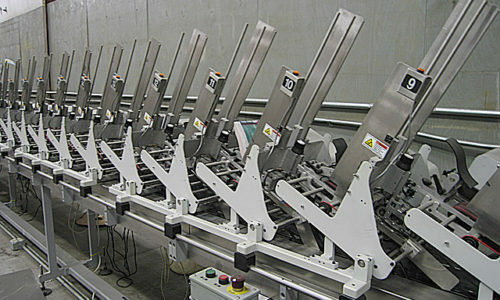 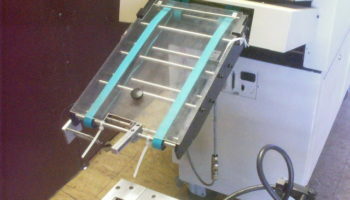 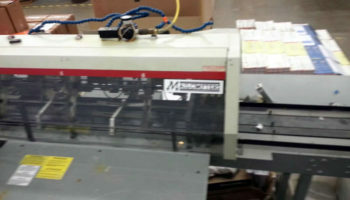 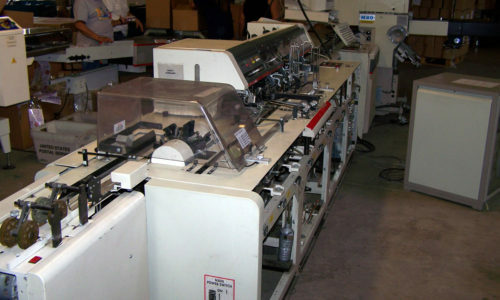 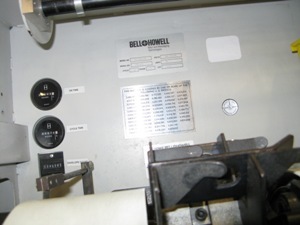 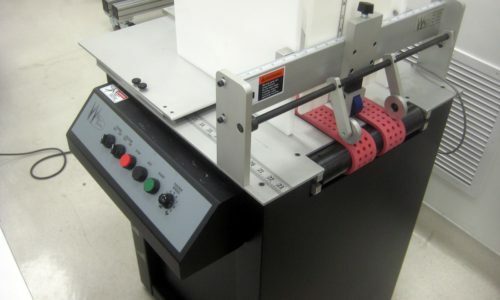 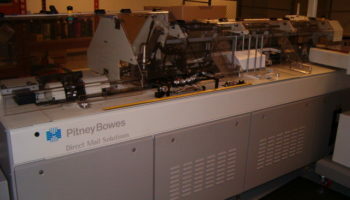 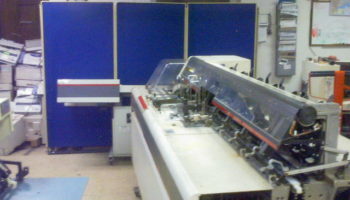 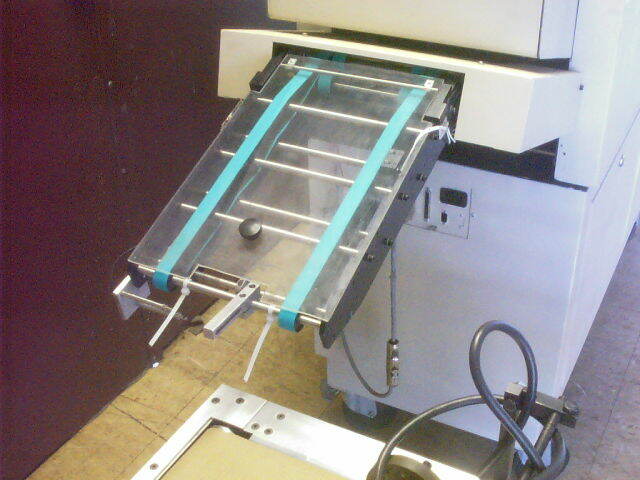 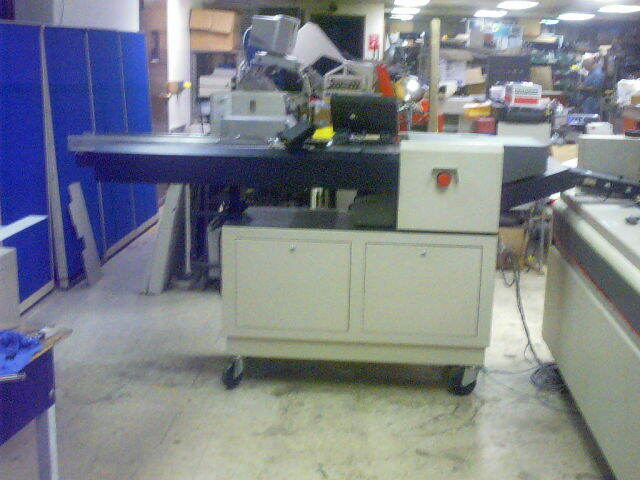 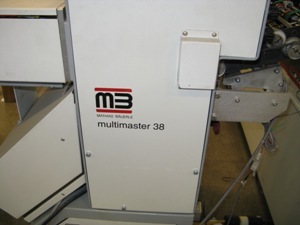 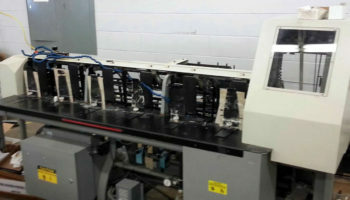 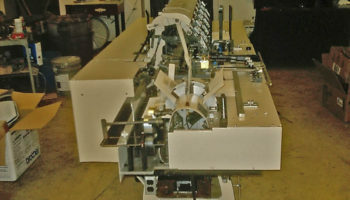 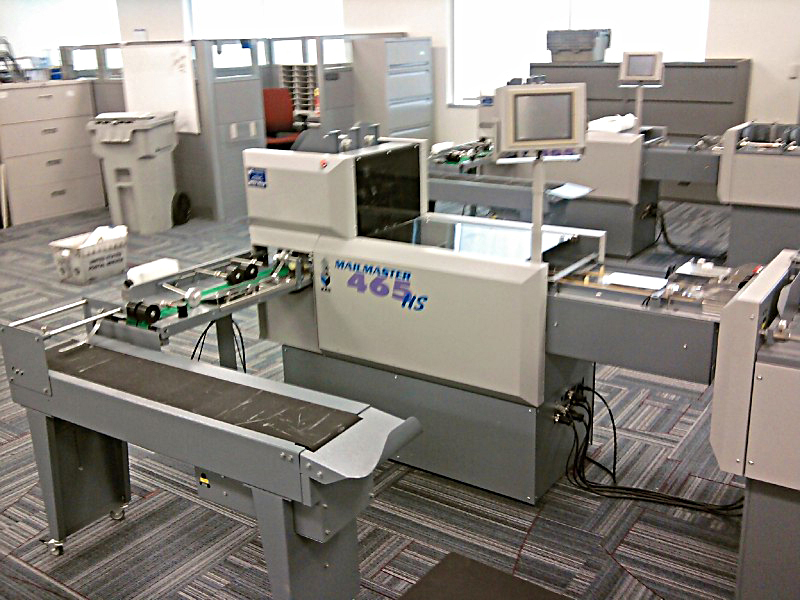 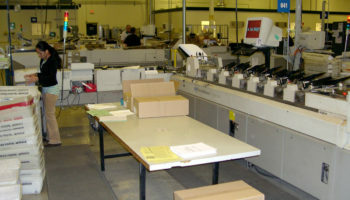 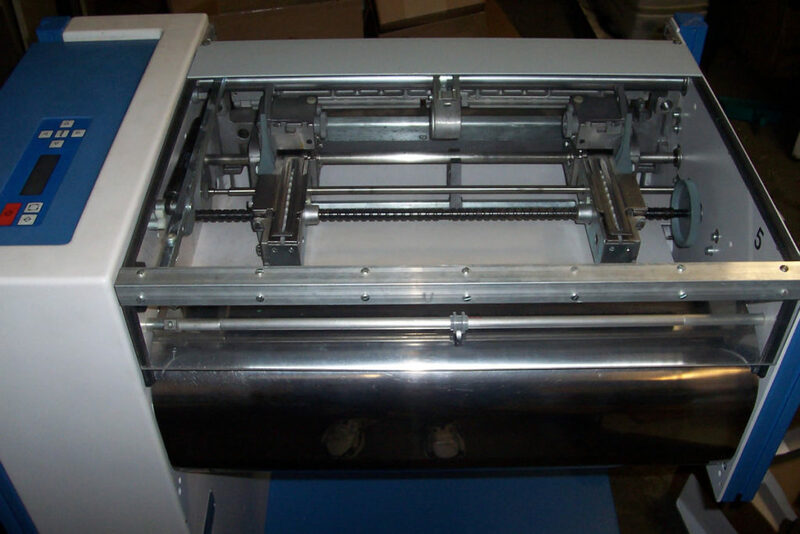 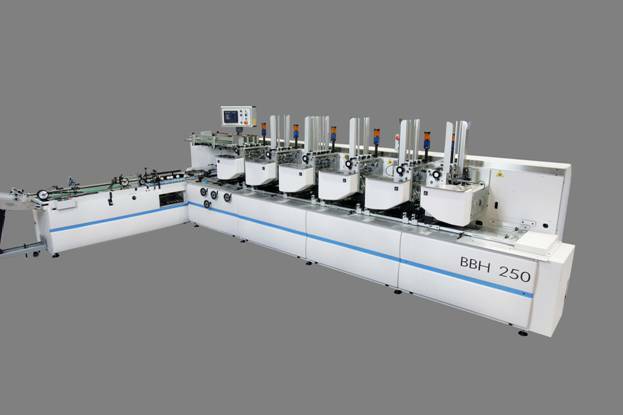 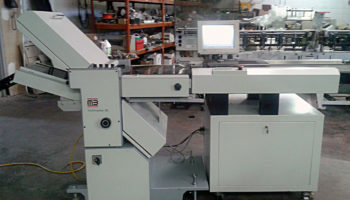 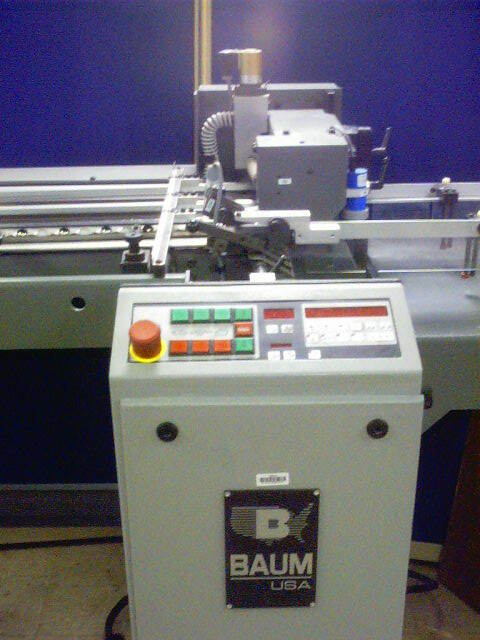 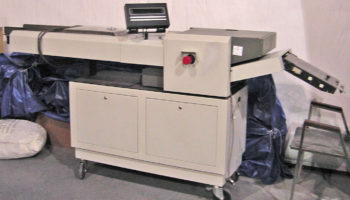 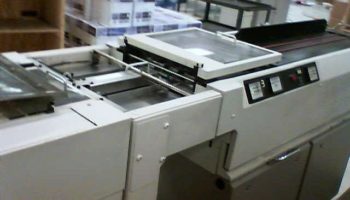 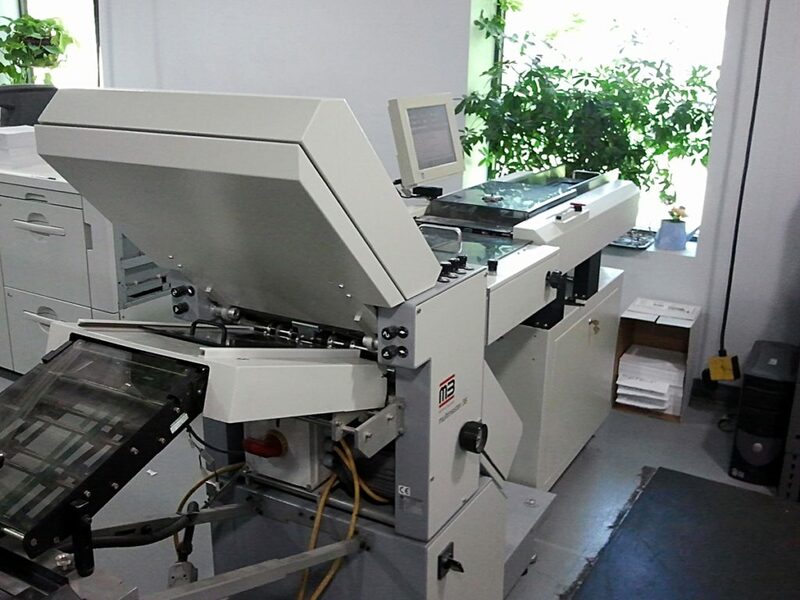 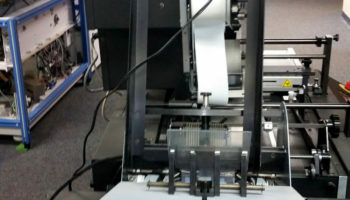 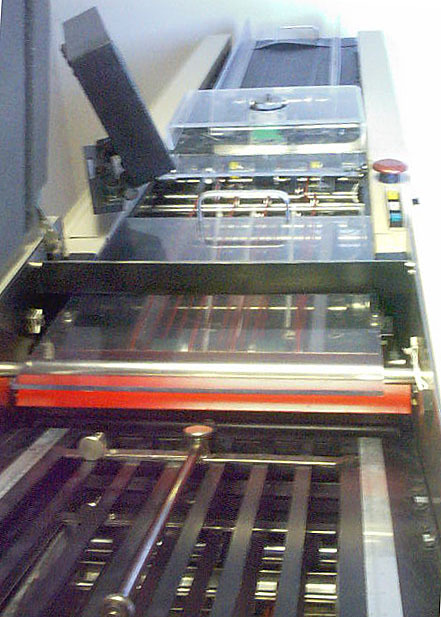 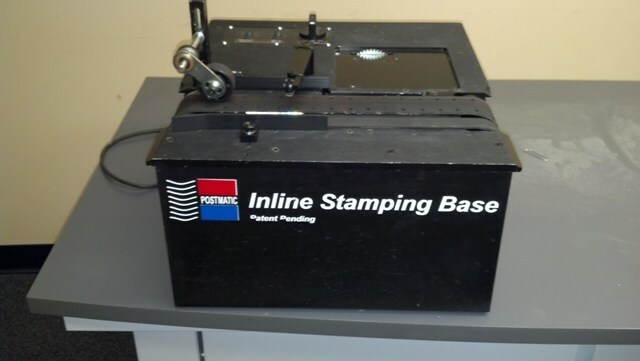 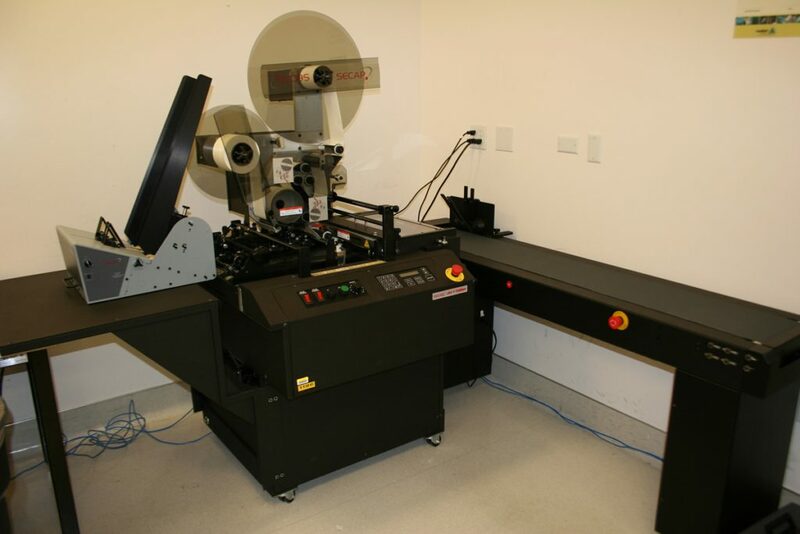 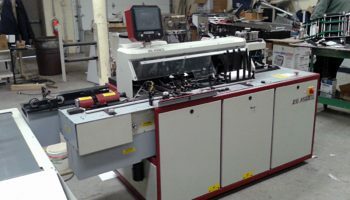 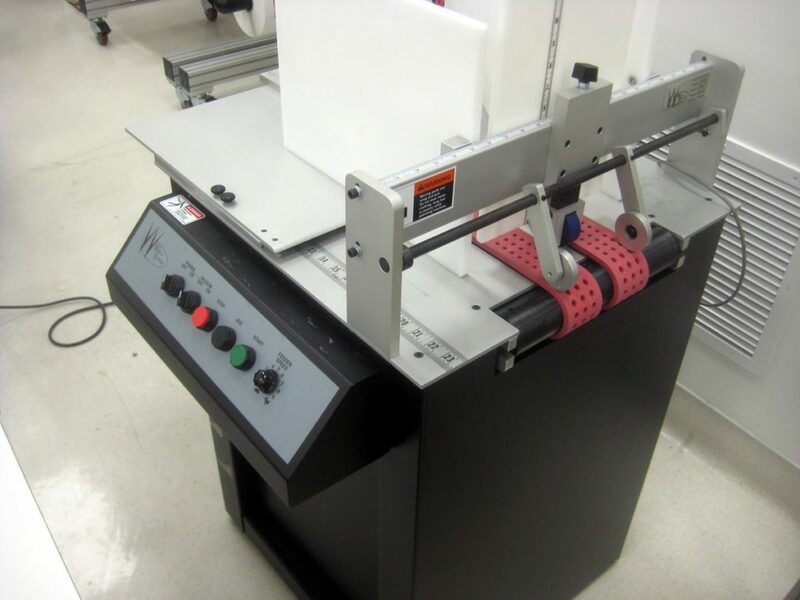 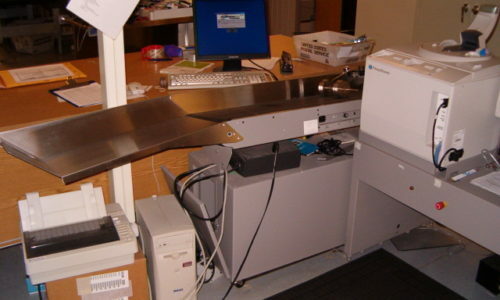 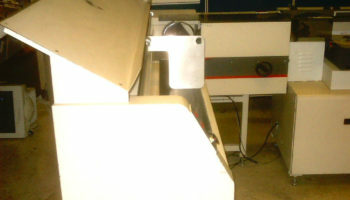 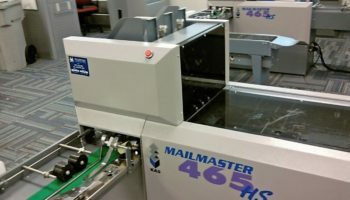 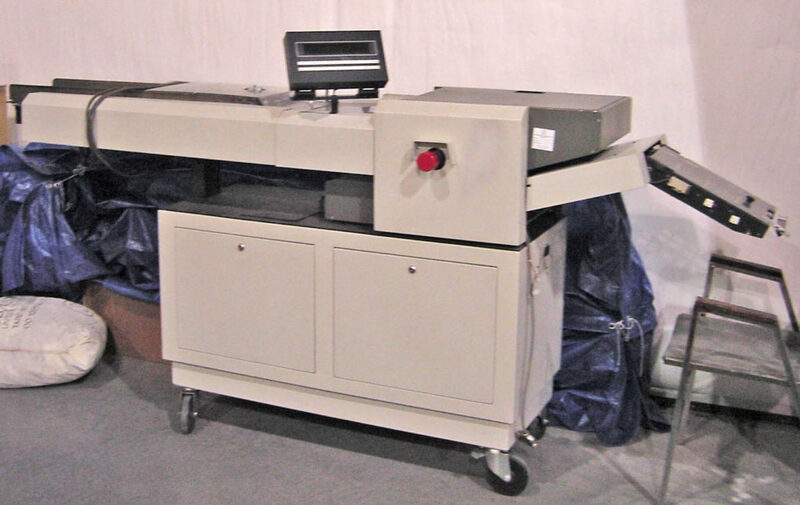 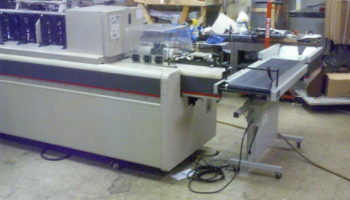 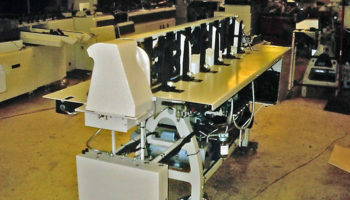 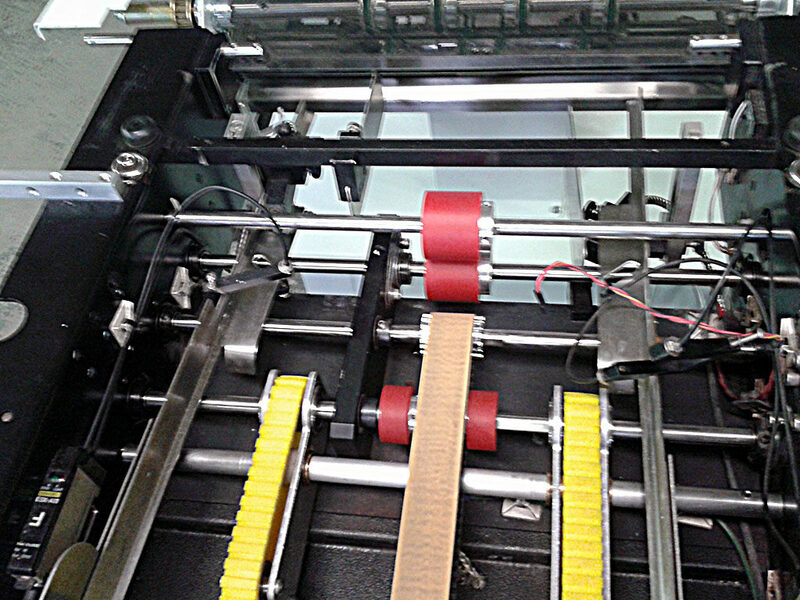 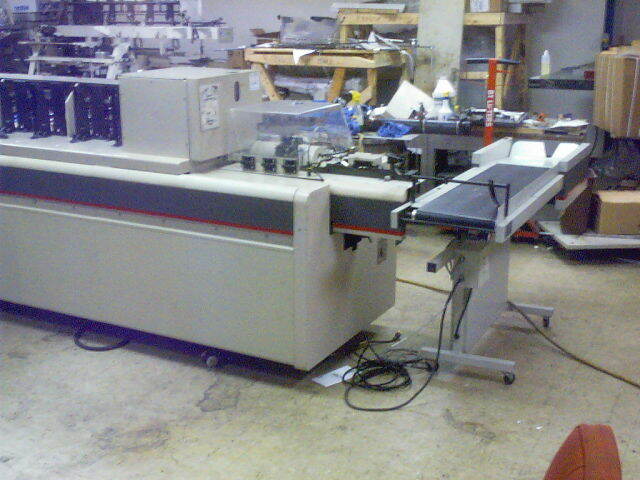 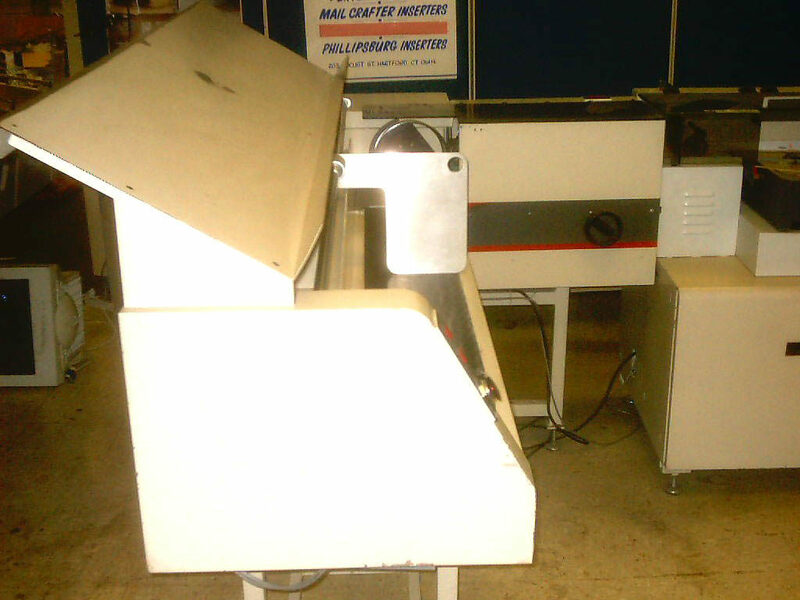 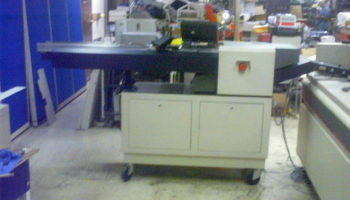 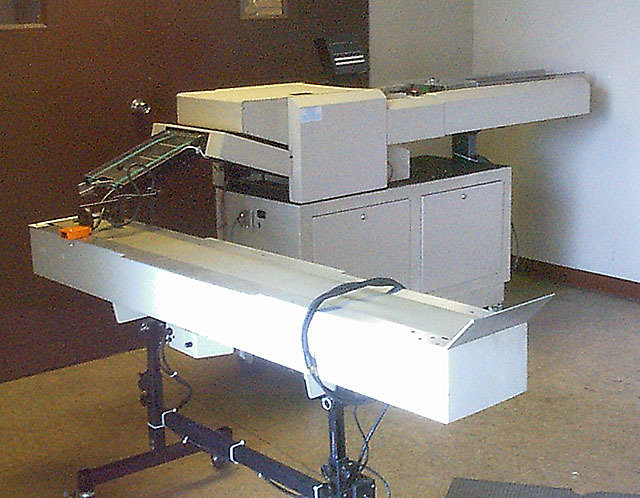 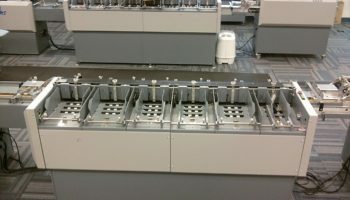 It is equipped with a foot pedal which can be used for pre-clamping when trimming bound brochures or as a mechanical cutting line indicator. 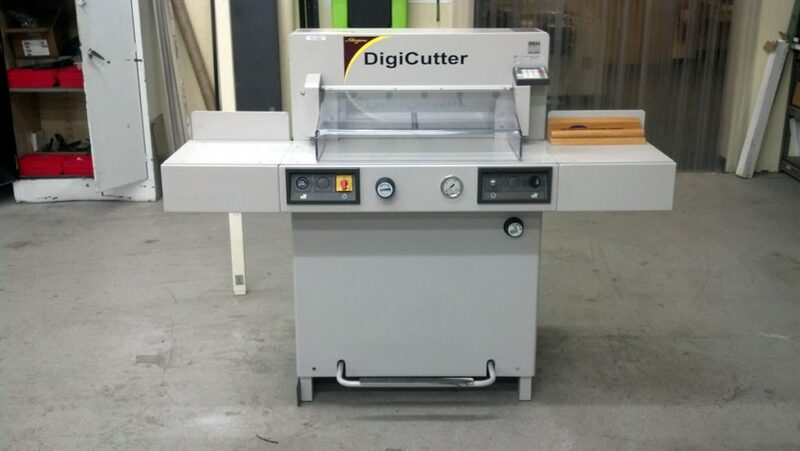 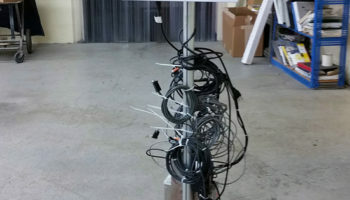 The DigiCut model has up to 9 repeat cuts that can be integrated into one single program step for easy and convenient use. 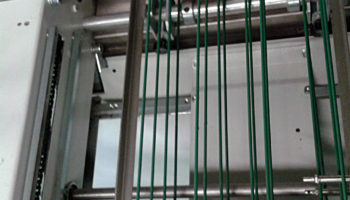 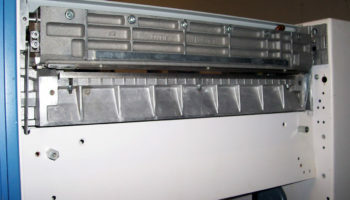 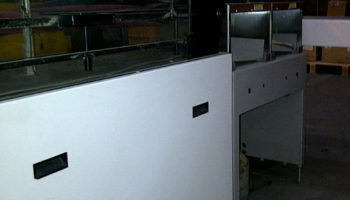 The modular Linium infeed conveyer will put product into the former of the horizontal flow wrapper. 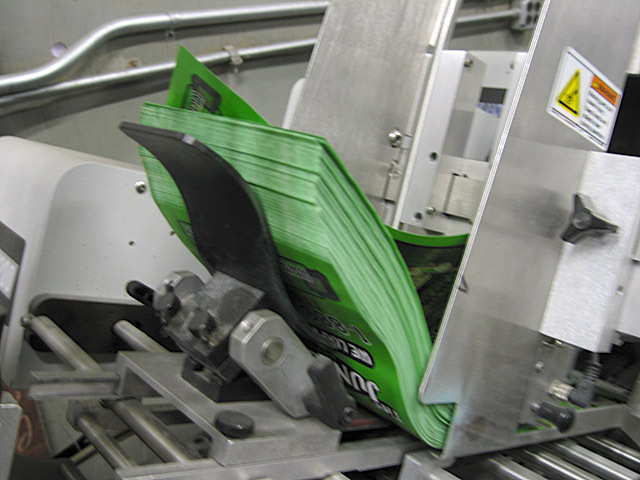 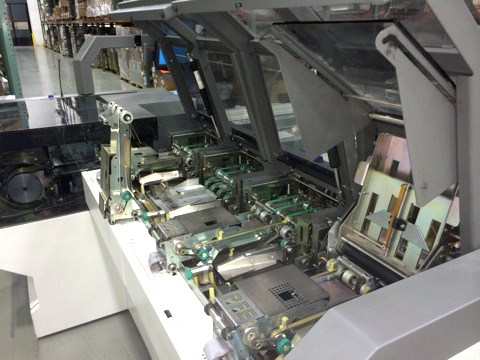 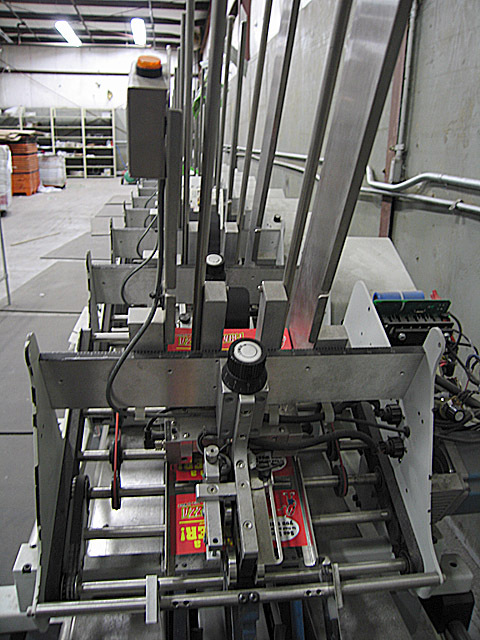 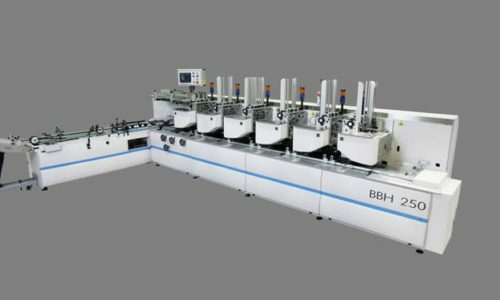 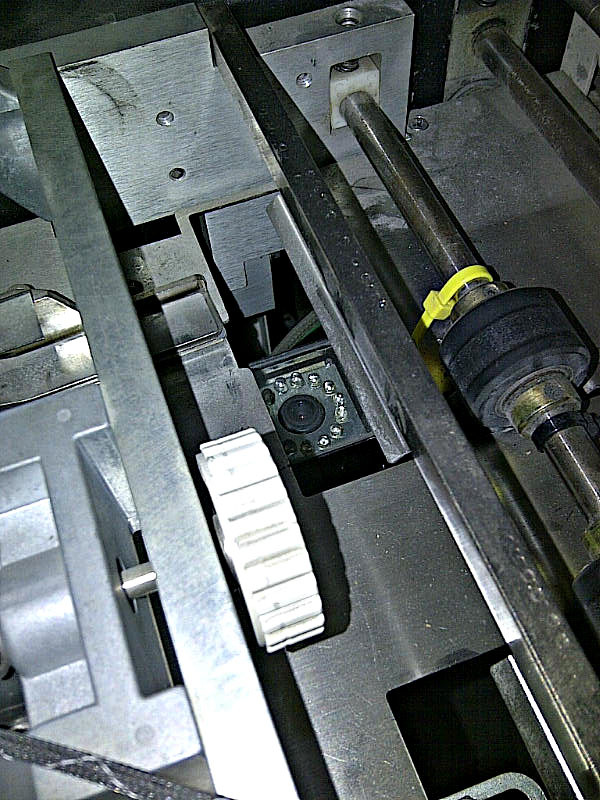 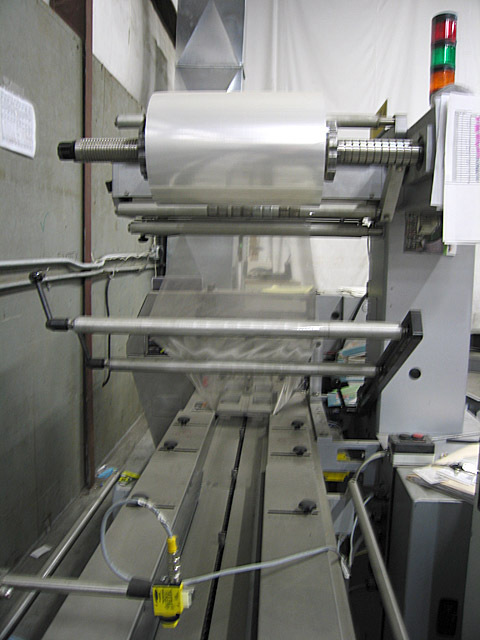 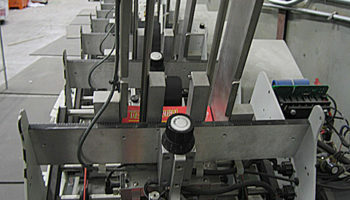 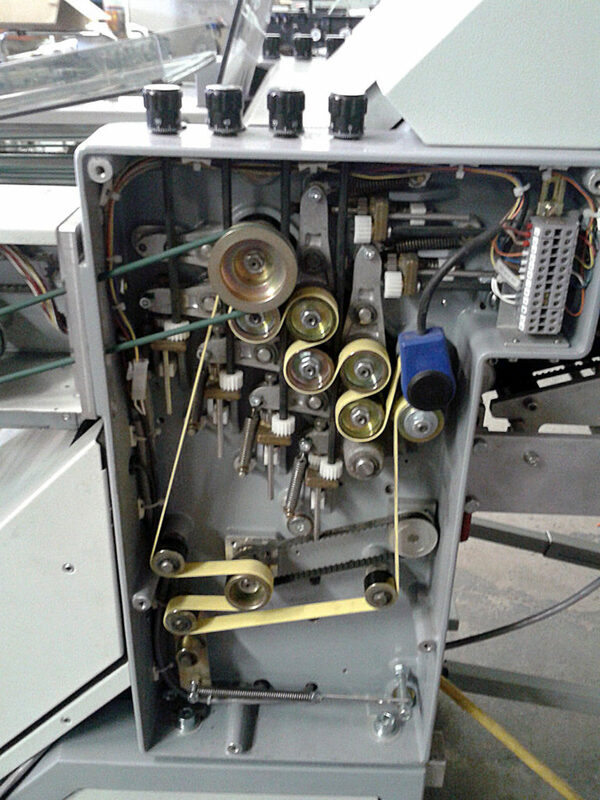 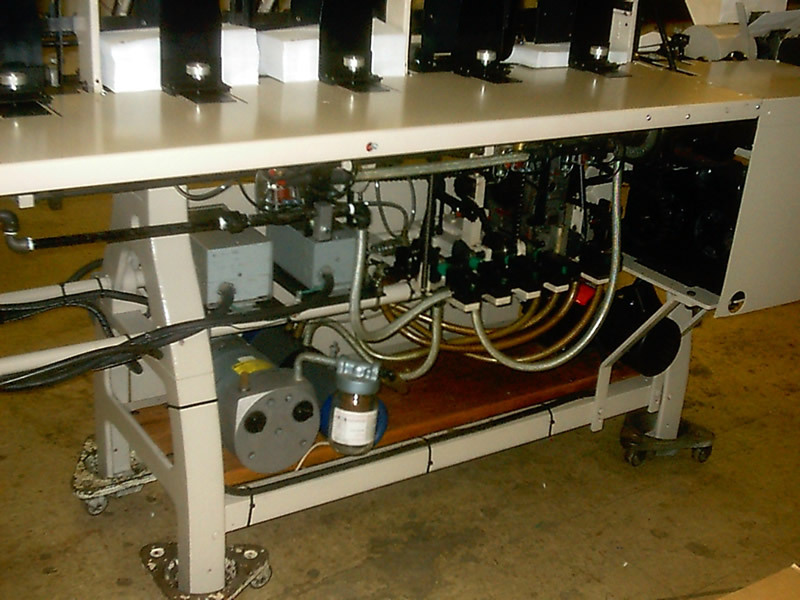 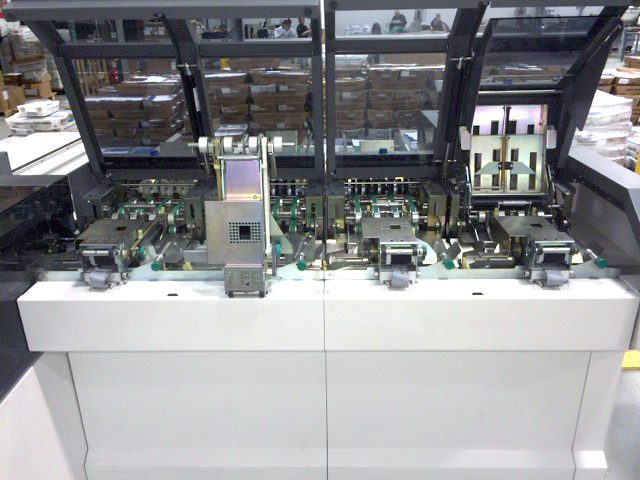 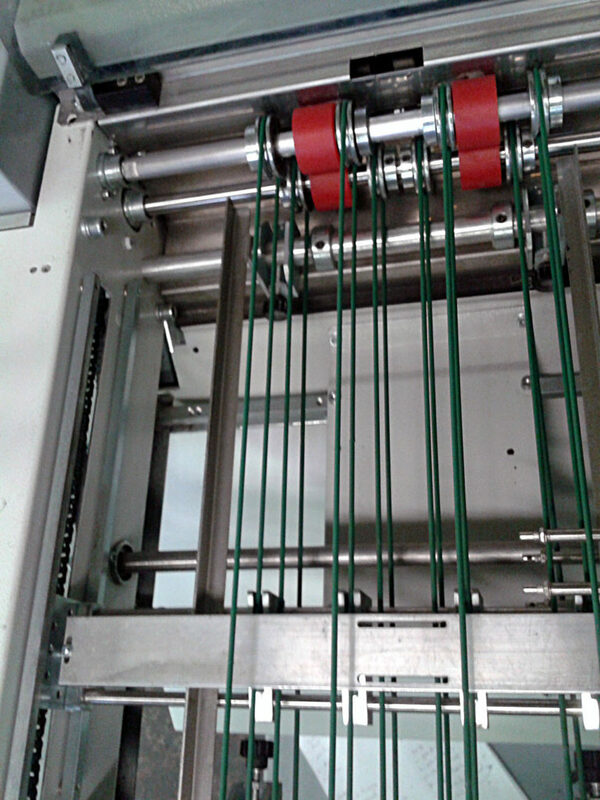 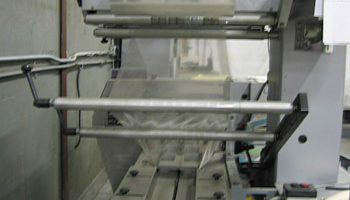 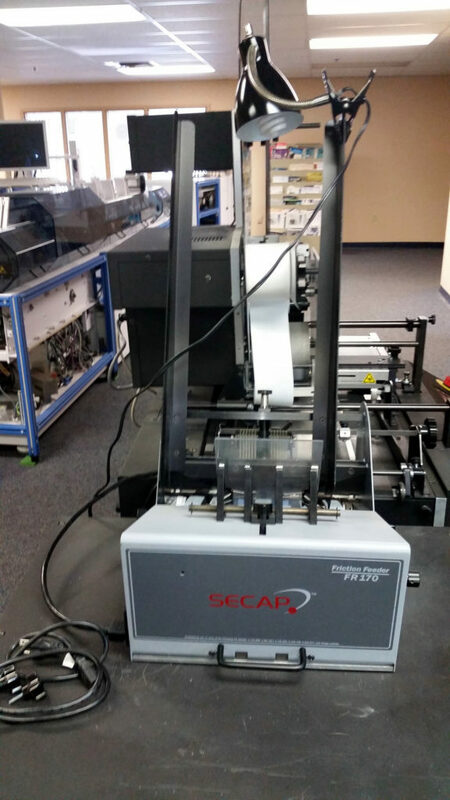 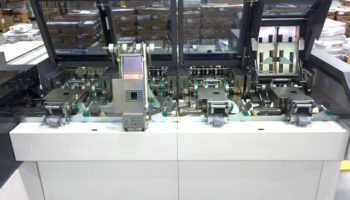 A servo drive ensures accurate placement of the product into the film tube for consistent packages. 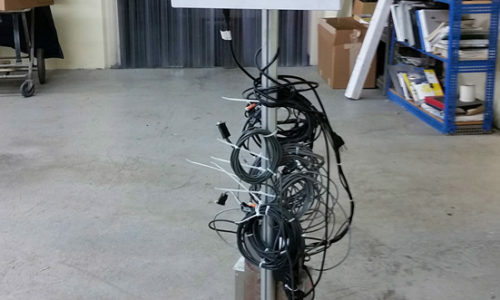 FeedNet provides the communications necessary to support your system’s sophisticated software features. 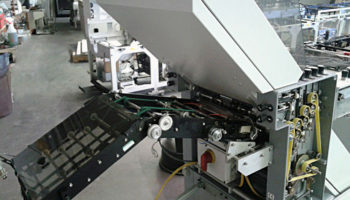 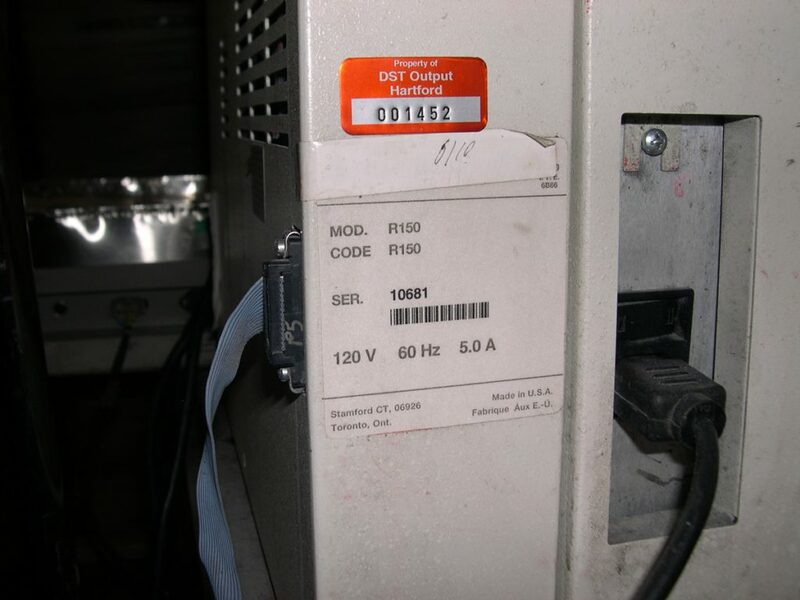 Compatible with BH1200 Universal Feeding Solutions. 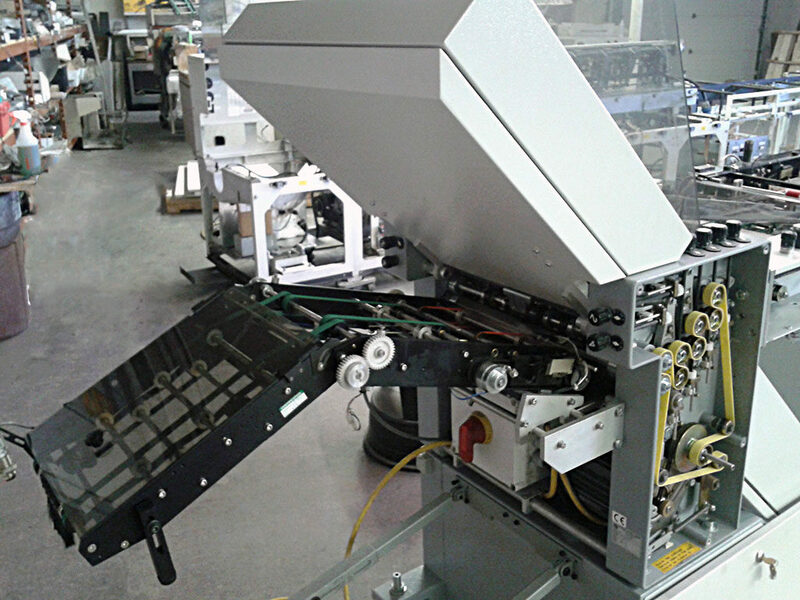 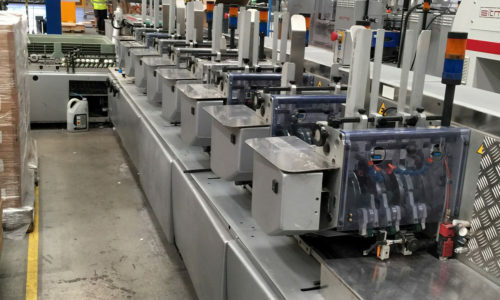 Every Linium 300 wrapper comes with simple to operate electronic controls and mechanical adjustments that offer fast and precise product changeover capabilities. 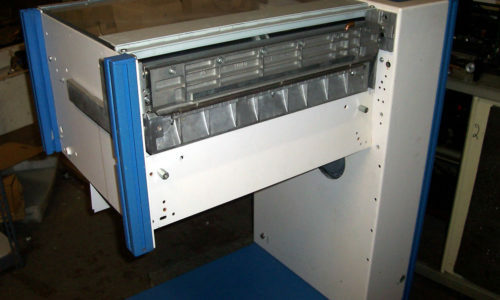 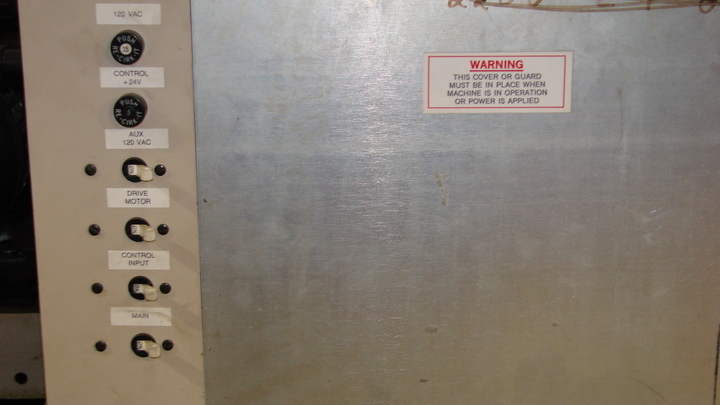 Steel plate frame construction and sanitary design provide reliable and safe operation. 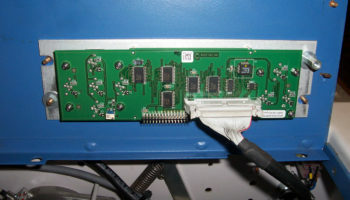 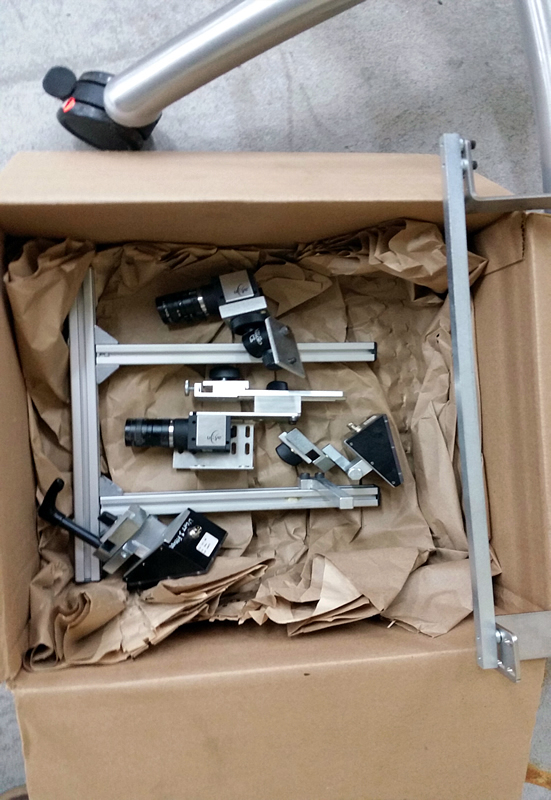 Sealed Brushless Servo-motor Driven Infeed, Finwheel and Cutting-head Modules. 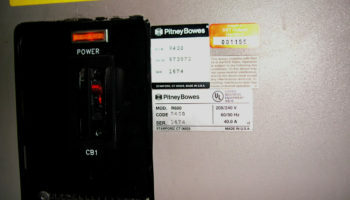 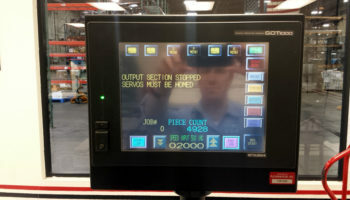 Pre-programmable Controls for up to 20 products. 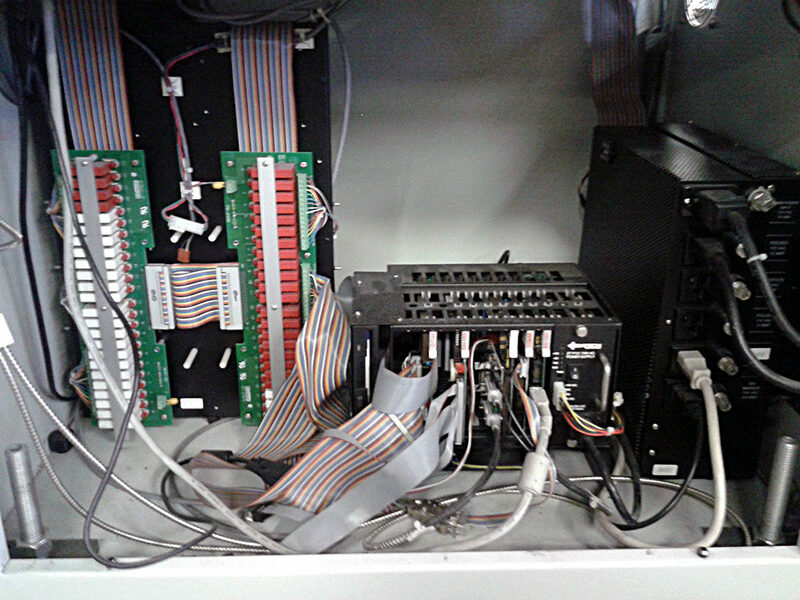 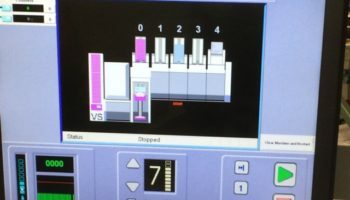 Highly Developed and Functional Operator Interface. 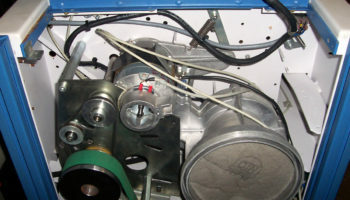 Air Pressure Regulated Finwheel Pressure with Individual Regulators and Indicators. 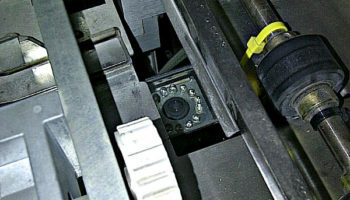 Two-way Eye Correction of Registered Film. 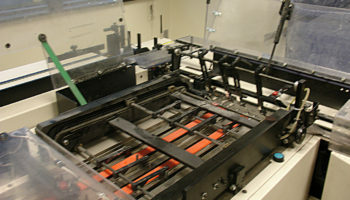 Controlled Acceleration and Deceleration of Wrapper During Start/Stop. 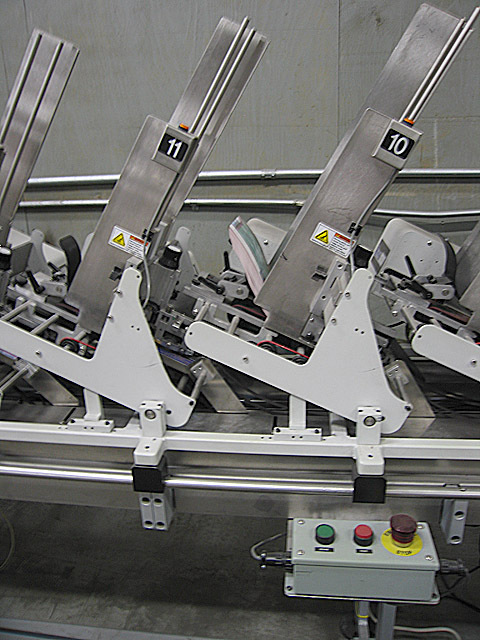 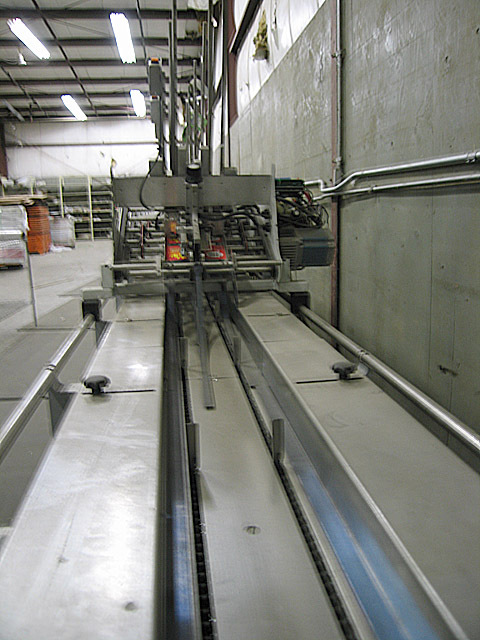 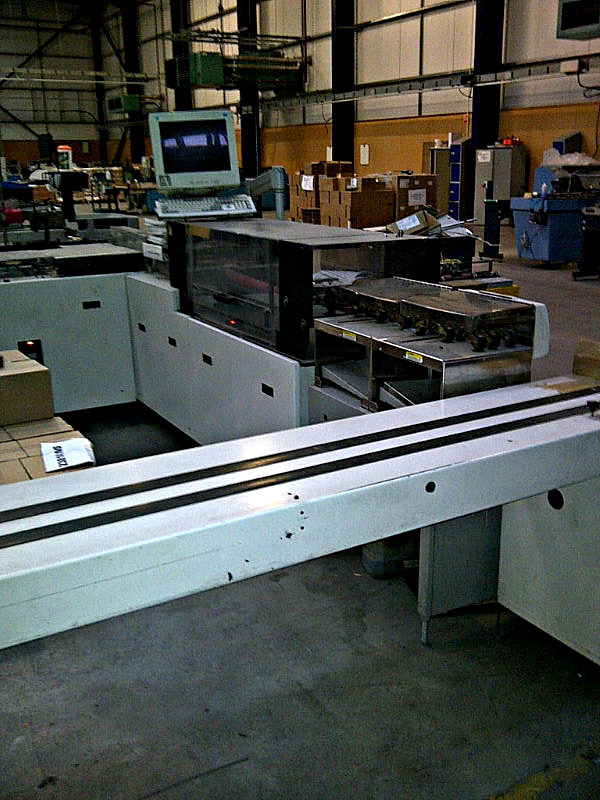 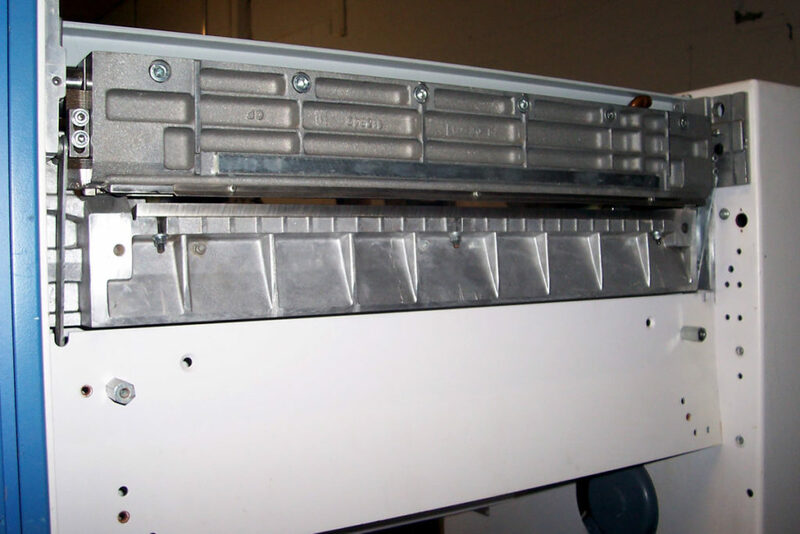 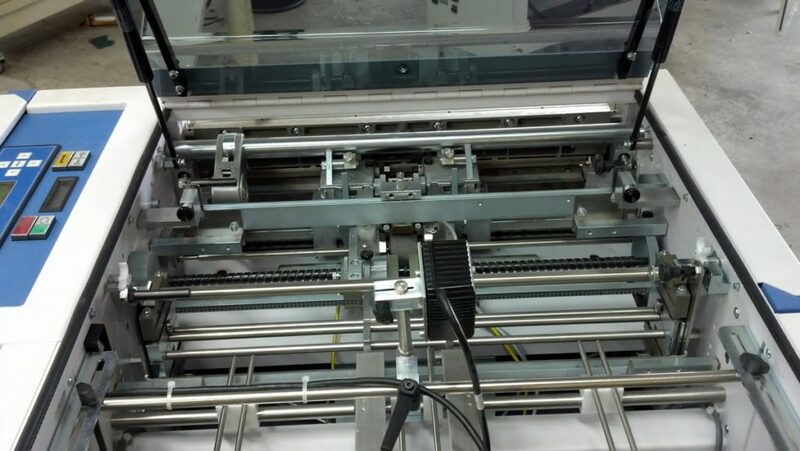 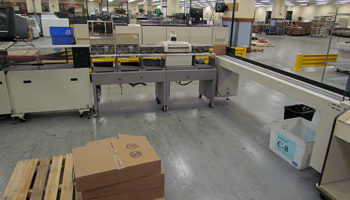 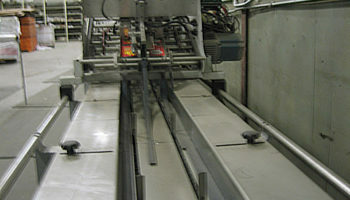 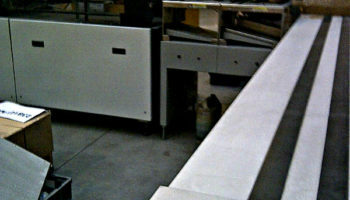 10-foot long shingling conveyor with standard speed controls for product delivery. 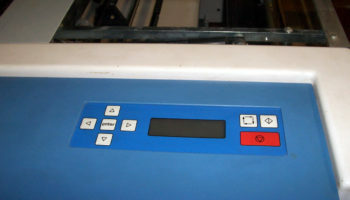 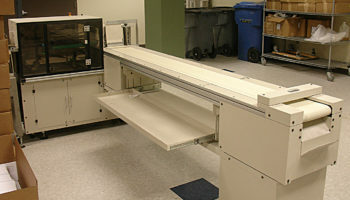 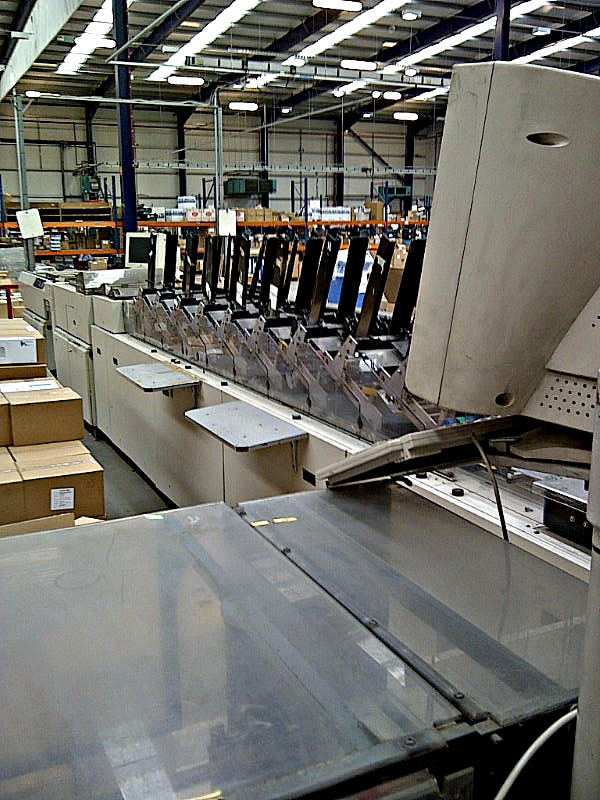 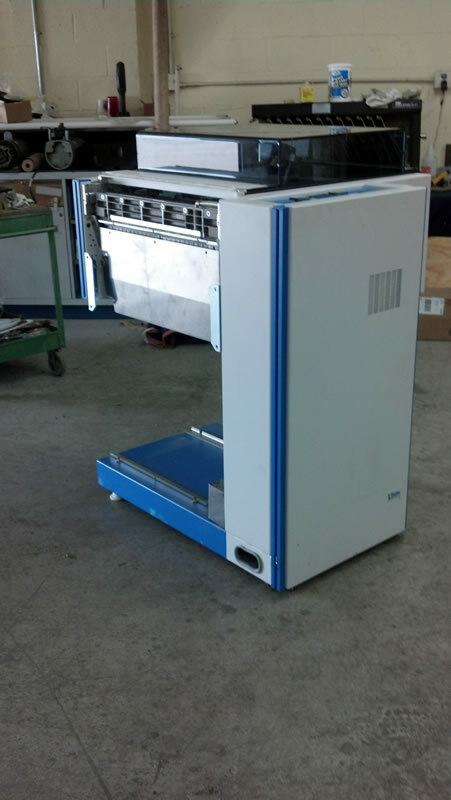 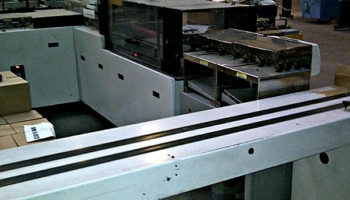 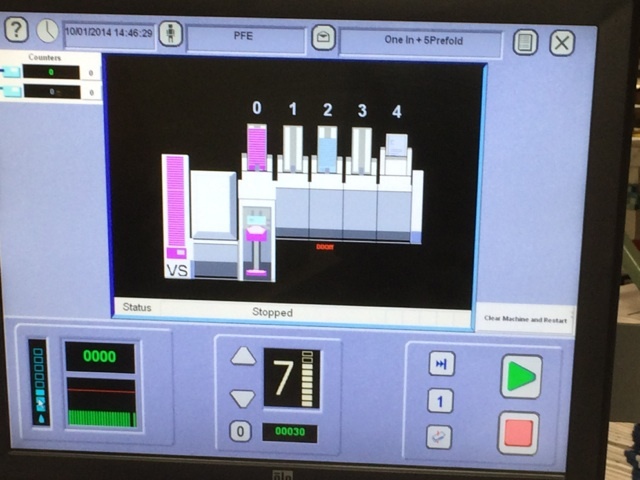 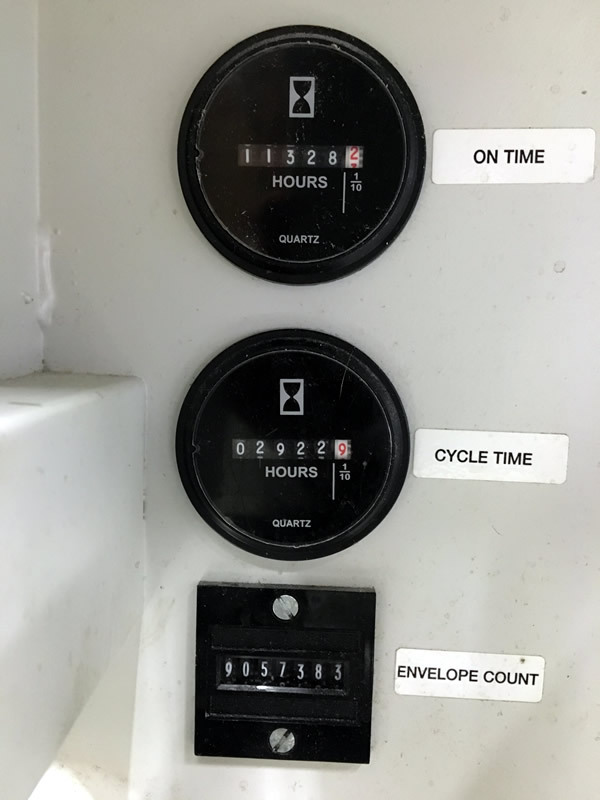 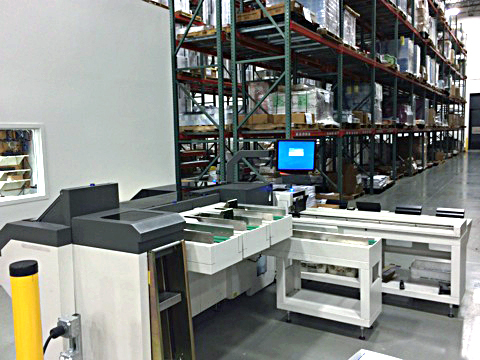 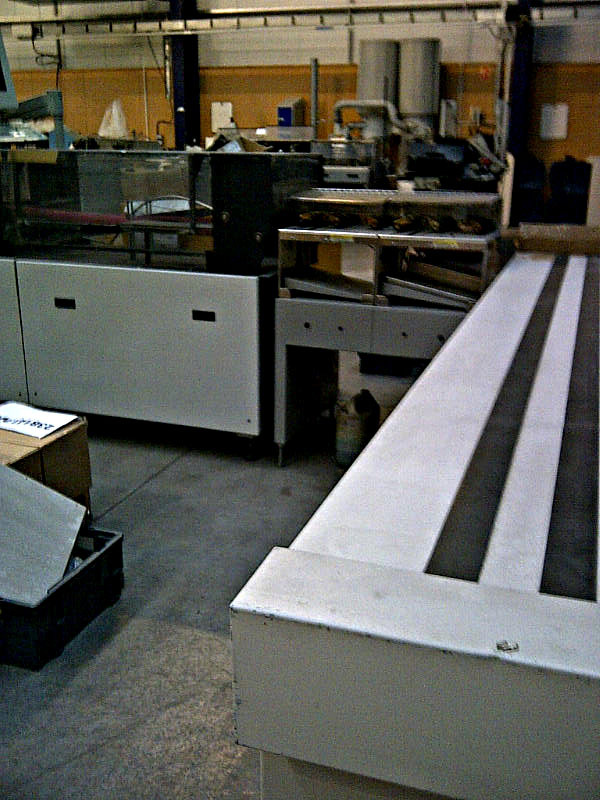 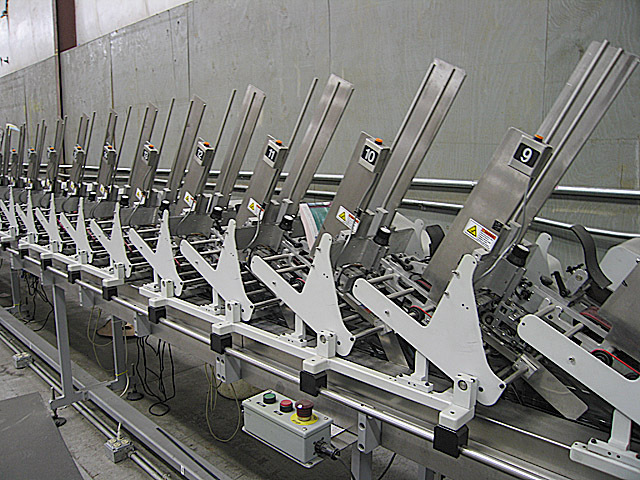 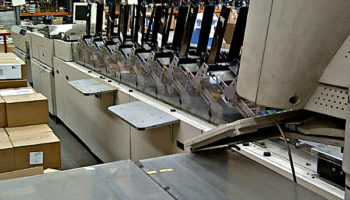 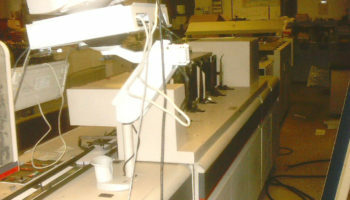 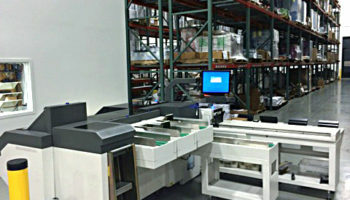 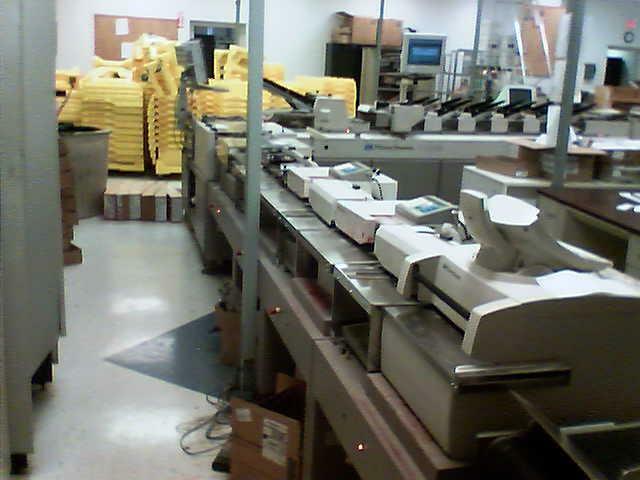 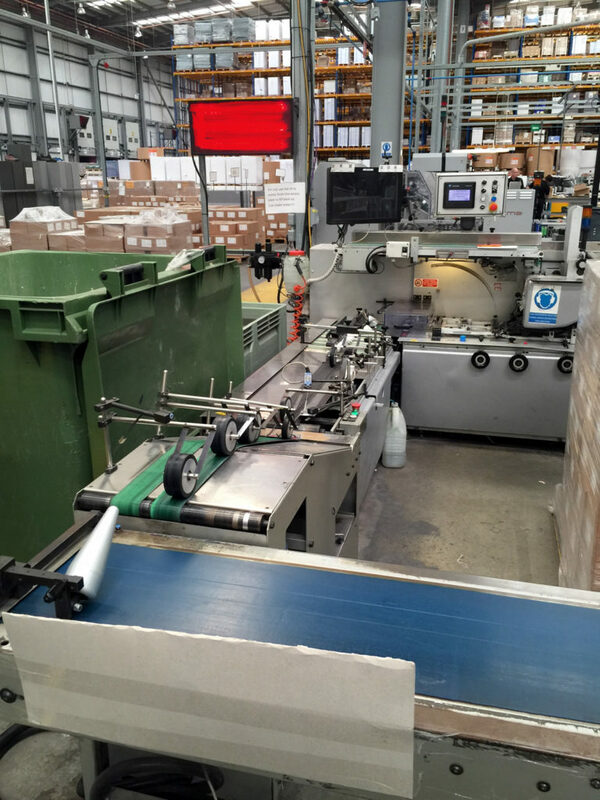 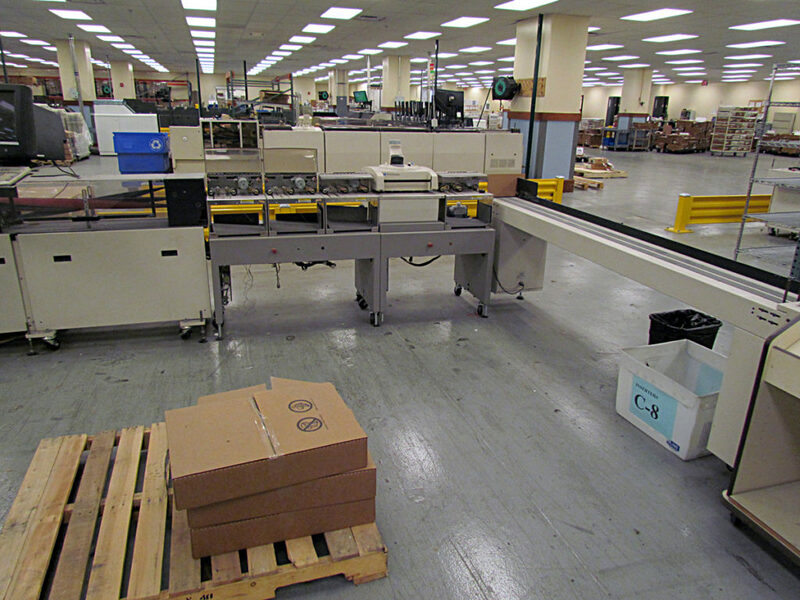 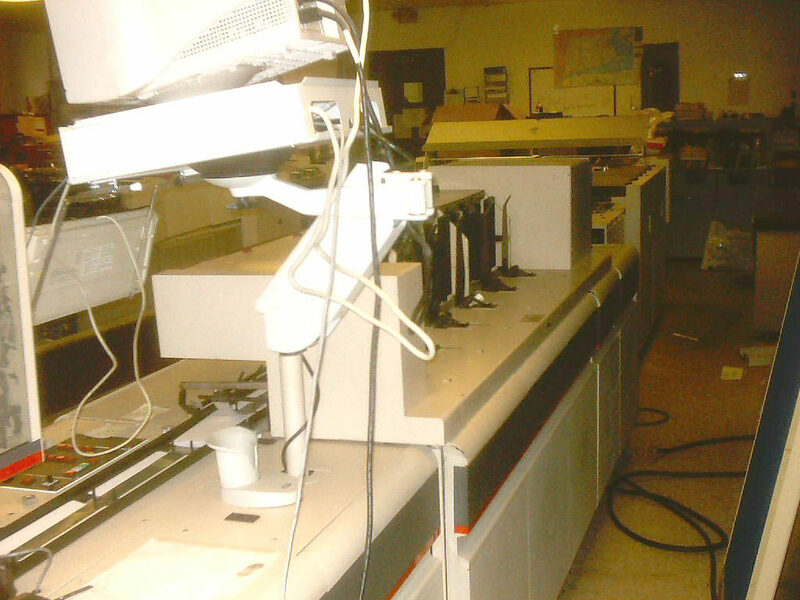 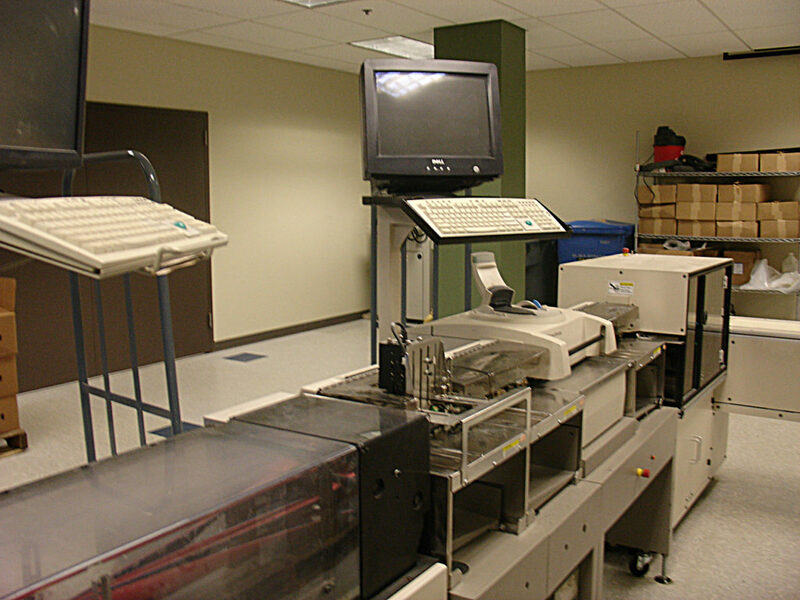 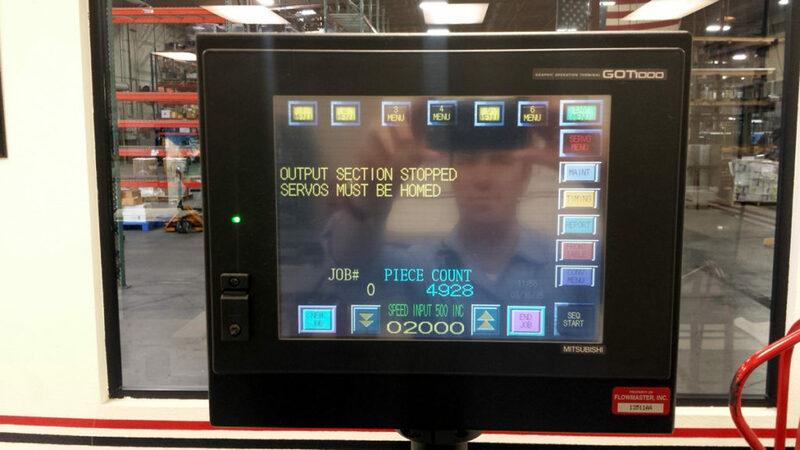 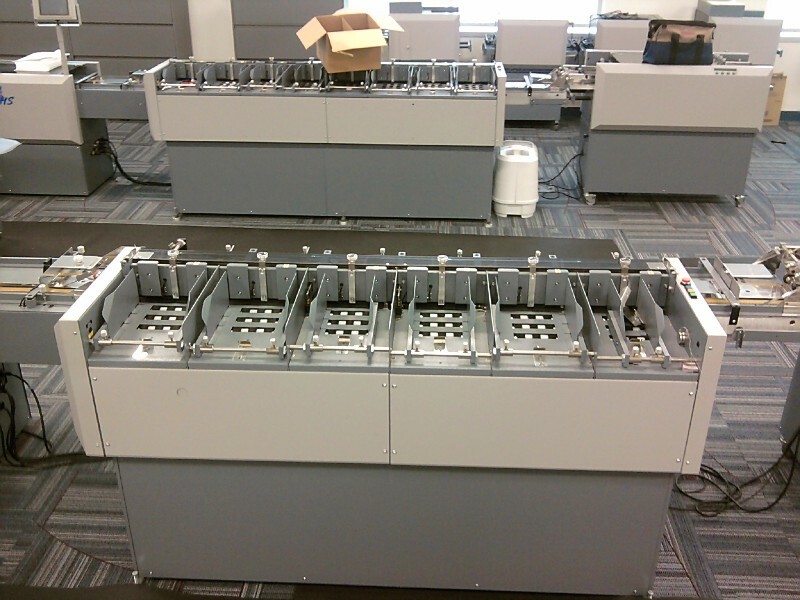 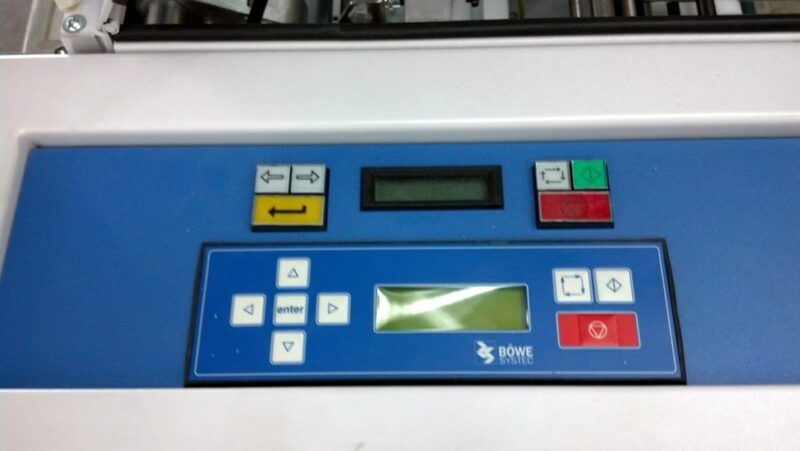 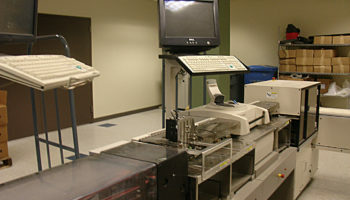 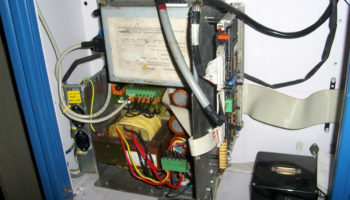 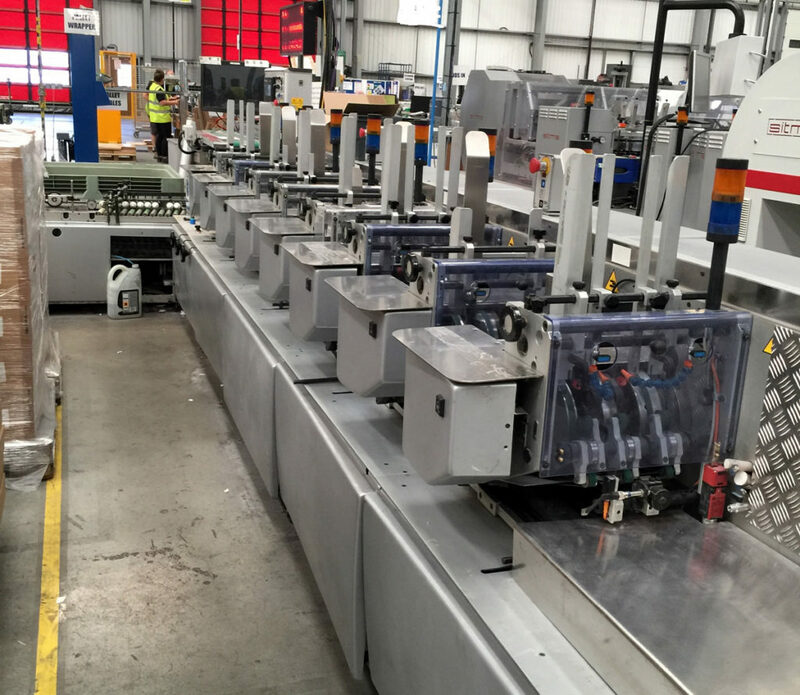 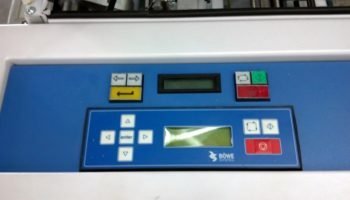 Preset batch counting or database driven controls are available for this conveyor.